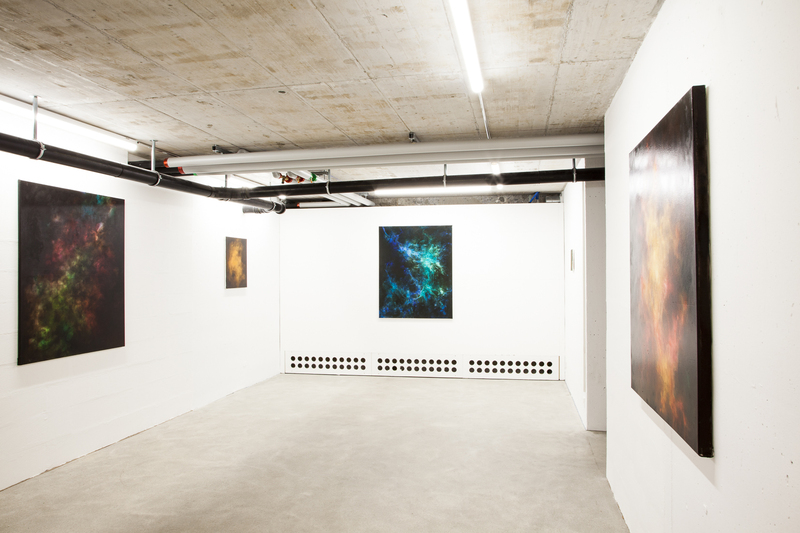 Duo show with Susan Noesen titled "Points Of View" curated by Anouk Weis at the Cercle Cité in Luxembourg. 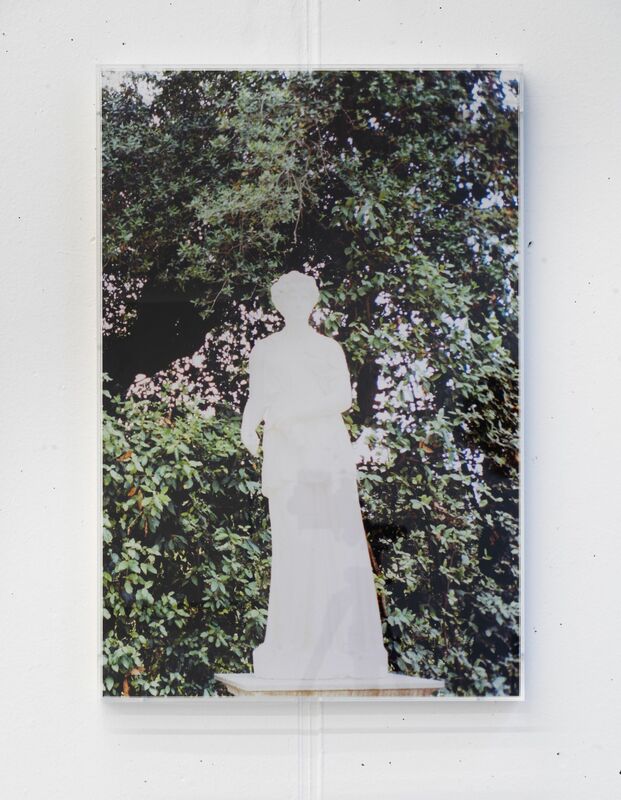 Participation of Aurélie Gravas to the group show titled "Ladies Only" at the Galerie Georges-Philippe & Nathalie Vallois in Paris - FR. 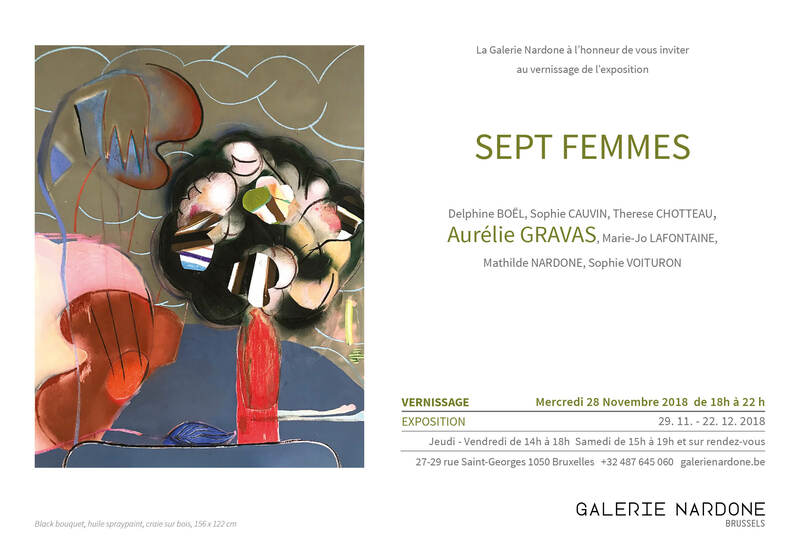 With Pilar Albarracín, Bianca Argimón, Lauren Coullard, Aurélie Gravas, Vivian Greven, Lucie Picandet and Niki de Saint Phalle. 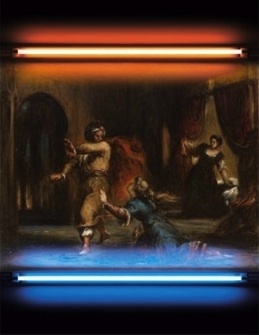 Exhibition of Sophie Bouvier Ausländer titled Mare Vostrum at the Musée des Beaux-Arts du Locle - CH. 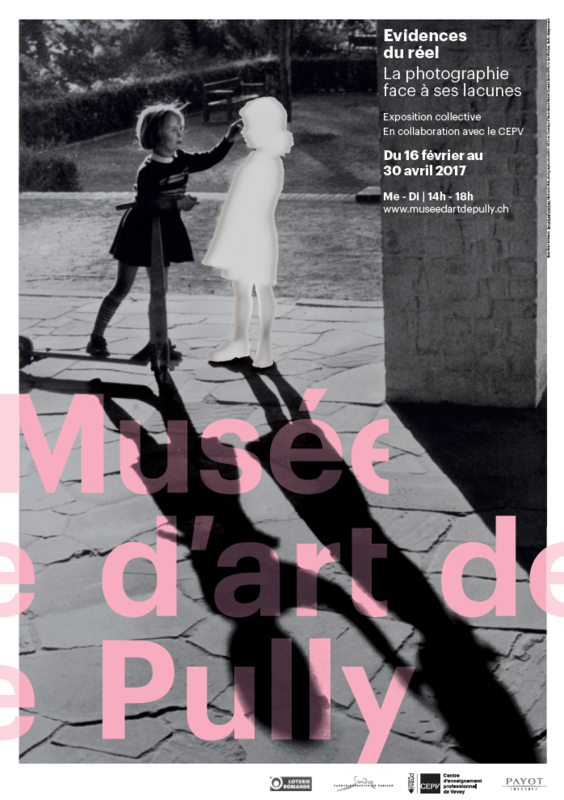 A l’occasion des 70 ans du Musée d’Art de Pully, vernissage mercredi 16 janvier d'une exposition consacrée aux acquisitions du musée ces 10 dernières années. 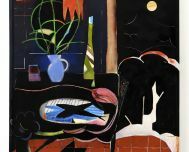 Mathieu Bernard-Reymond y présentera la vidéo « La flèche du temps » (2018). 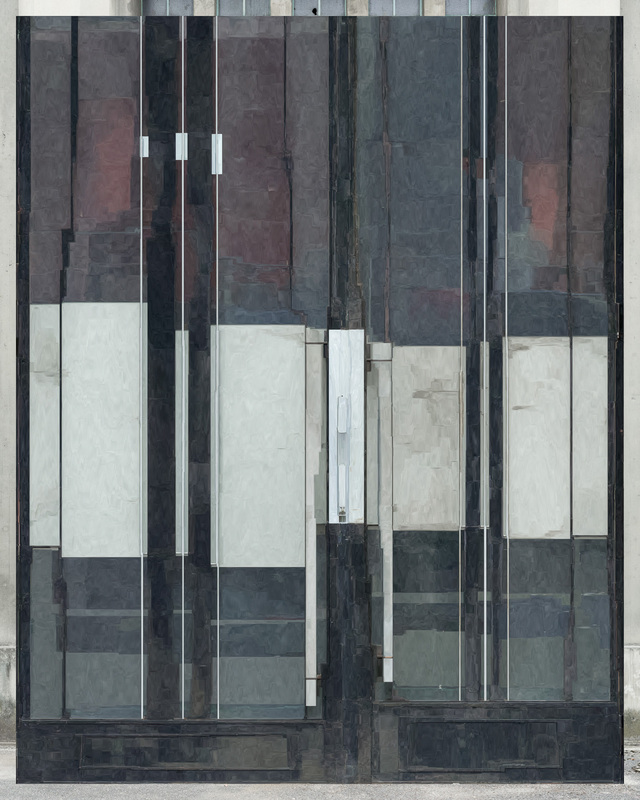 Mirko Baselgia was commissioned a door from his "Midada da structura" series for the new Muzeum Susch opened in Engadin - CH. 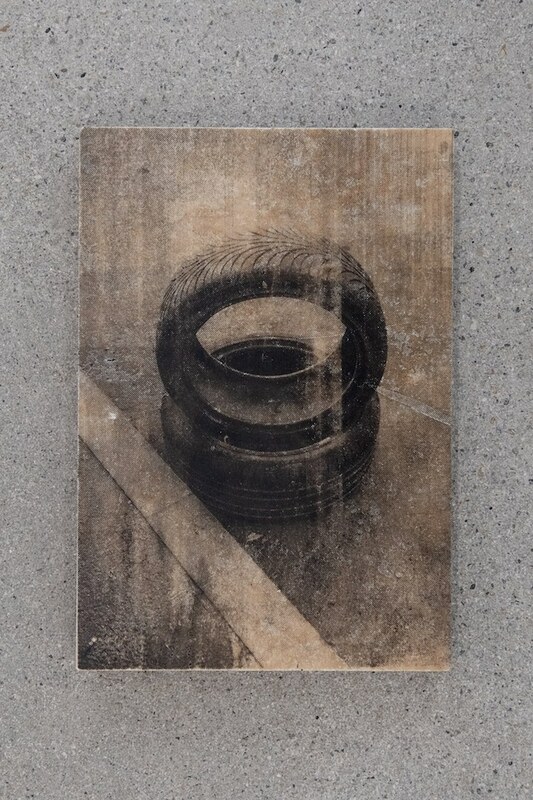 Participation of Mathieu Bernard-Reymond with his Trades series to the Lianzhou Foto Festival in China. 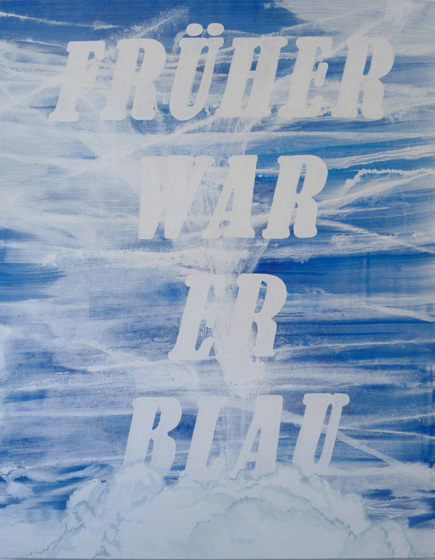 Participation of Mirko Baselgia to Annual Exhibition of Artists from Graubünden in the Bündner Kunstmuseum in Chur - CH. 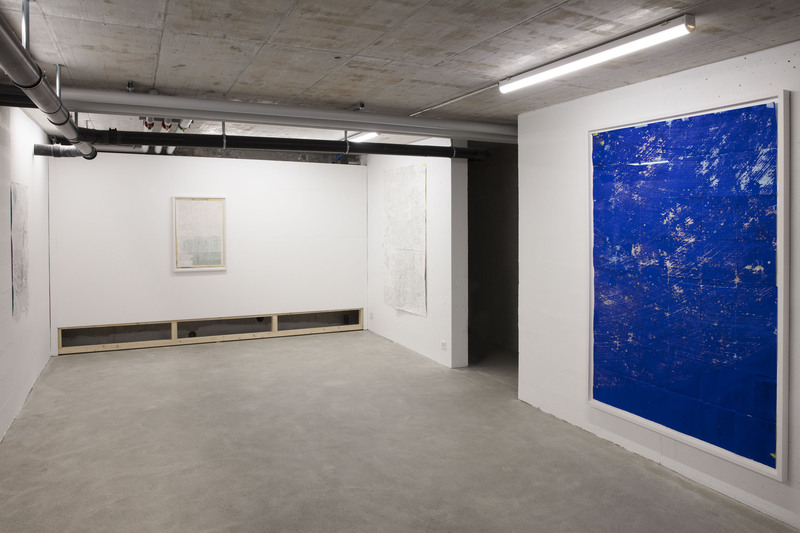 Solo show titled Habitat at Galerie Urs Meile in Lucern - CH. 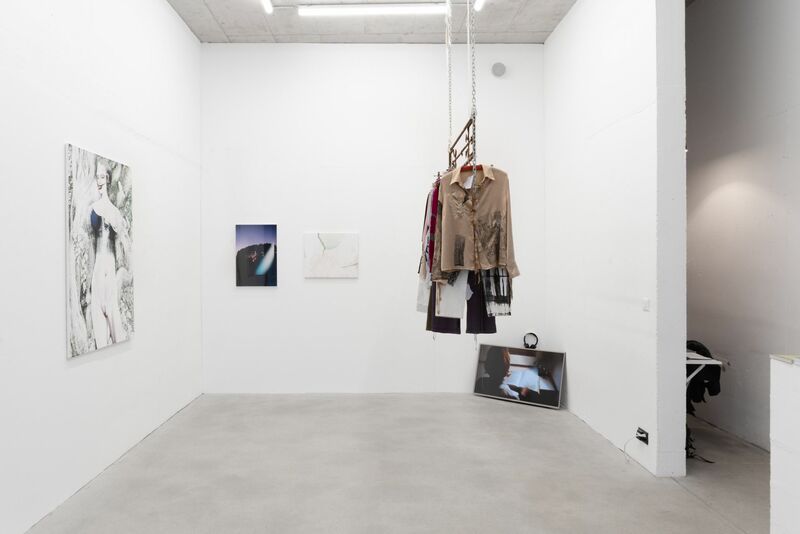 Participation of Aurélie Gravas at the group show titled 7 femmes at the Galerie Nardone in Brussels. 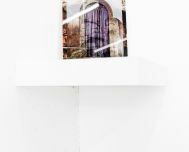 Participation of thibault Brunet to the exhibition Le Red Studio in the frame of the Biennale de l'image tangible in Paris. 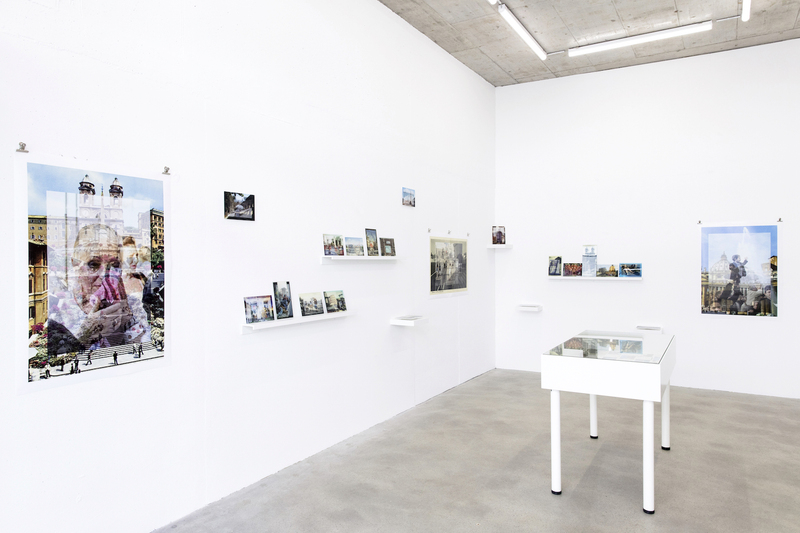 With Joachim Biehler, Thibault Brunet, Carla Cabanas, Philippe Calandre, Vincent Debanne, Thomas Devaux, Caroline Delieutraz, Juliette-Andréa Elie, Bruno Fontana, Sissi Farassat, Zacharie Gaudrillot-Roy, Jean-Baptiste Perrot, Bertrand Planes, Caio Reisewitz, Miguel Rothschild, Ludovic Sauvage. 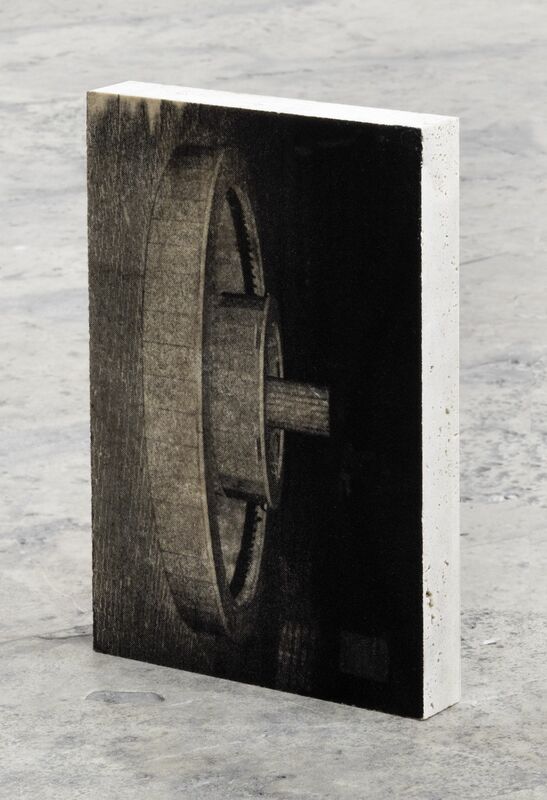 Mirko Baselgia's work Industrial Imprisonment - London 1811 - 2011, 2011 is on view at MUDAC, the Musée de design et d'arts appliqués conteporain in Lausanne util 16 December 2018. 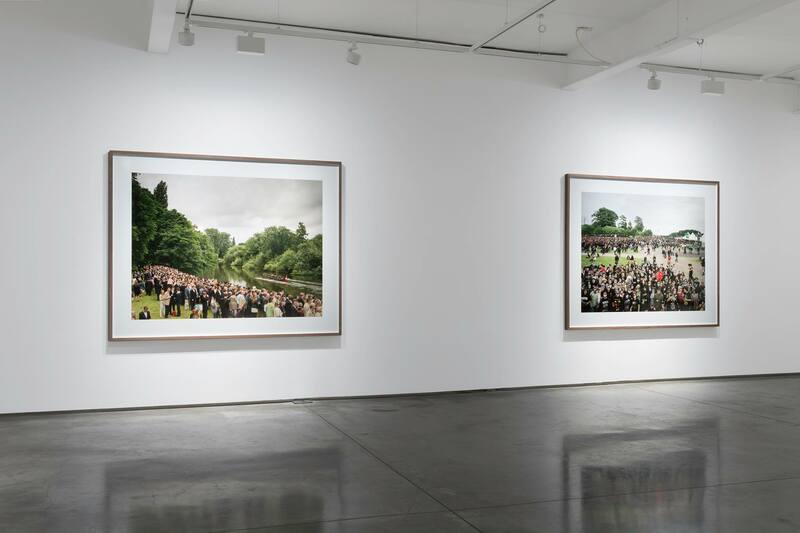 Solo show of Simon Roberts titled Homeland at the Flowers Gallery in New York. 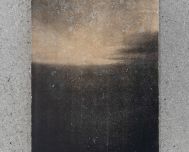 Participation of Kaspar Flück to the 34th Kantonale Jahresausstelung at the Kunstmuseum Solothurn - CH. 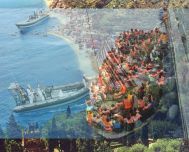 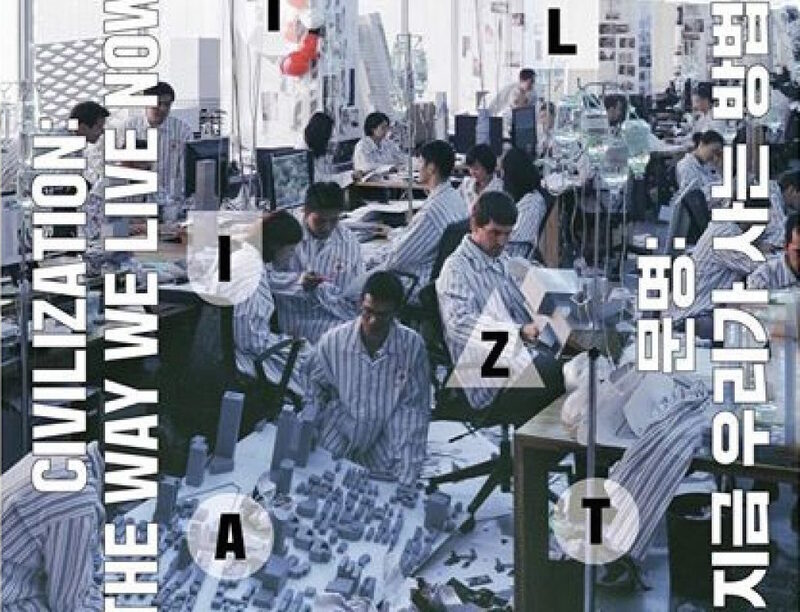 A book to accompany the Civilization: The Way We Live Now touring exhibition is published by Thames & Hudson. 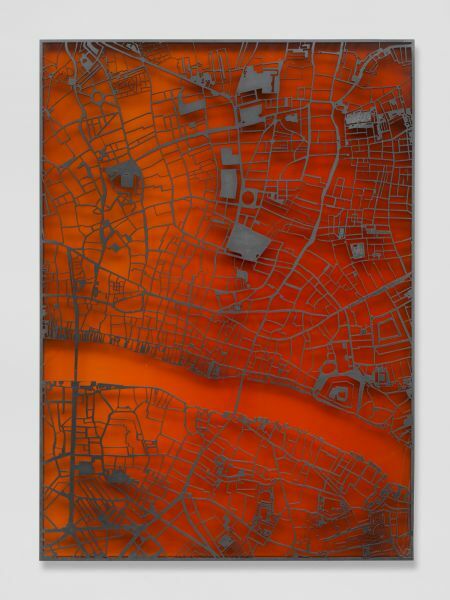 and will be launched in London at Flowers Gallery on November 5th. 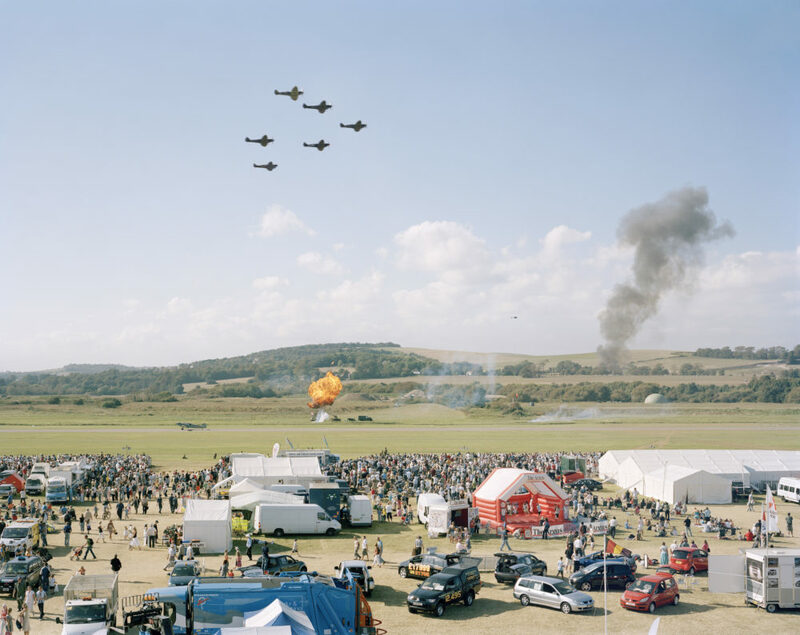 A series of photographs from the book, including some works from Simon Roberts' Merrie Albion series, will be on show at Flowers London gallery from 7 November – 22 December 2018. 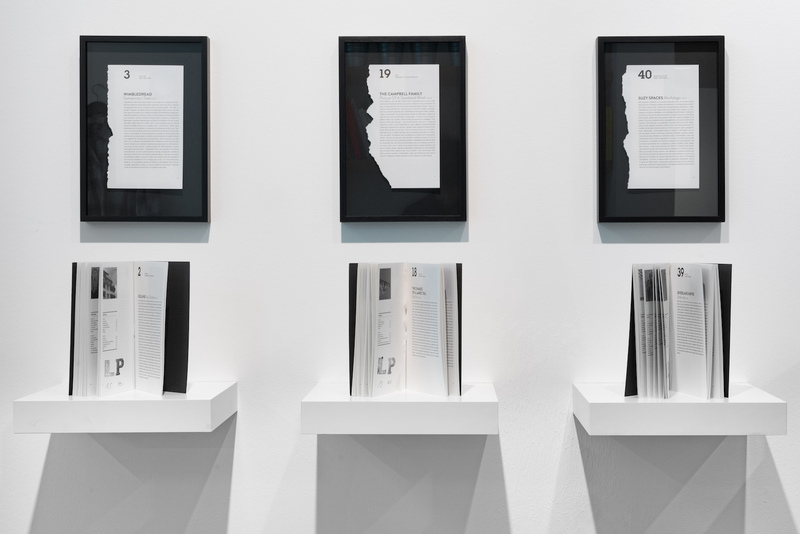 The book is curated by William Ewing, Bartomeu Marí and Holly Roussell Perret-Gentil. 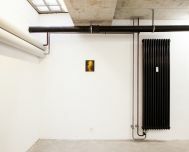 Thibault Brunet est interviewé dans l'ouvrage Au coeur de la création photographique - Entretiens avec Muriel Berthou Crestey. 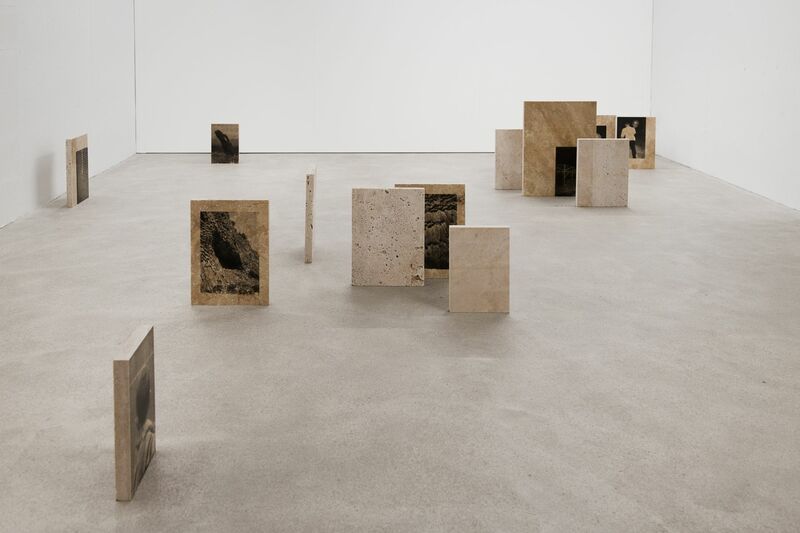 Several works from Simon Roberts' Merrie Albion series are included in the exhibition Civilization: The Way We Live Now, a major exhibition opening at Seoul’s National Museum of Modern and Contemporary Art this October. 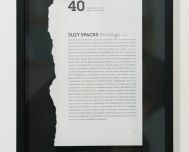 It features the work of 100 of the world’s finest photographers. 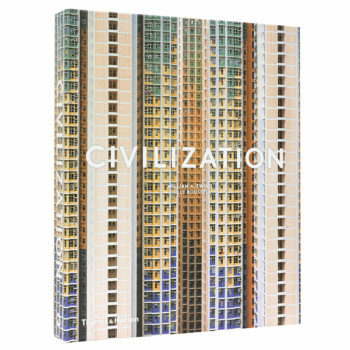 It addresses and illuminates major aspects of our increasingly global 21st century civilization. 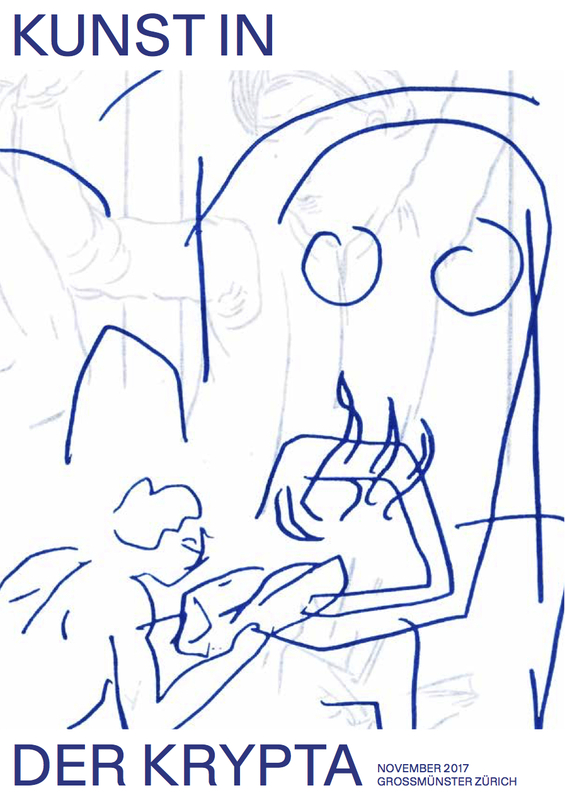 Sophie's work Ways of worldmaking is on page 268! 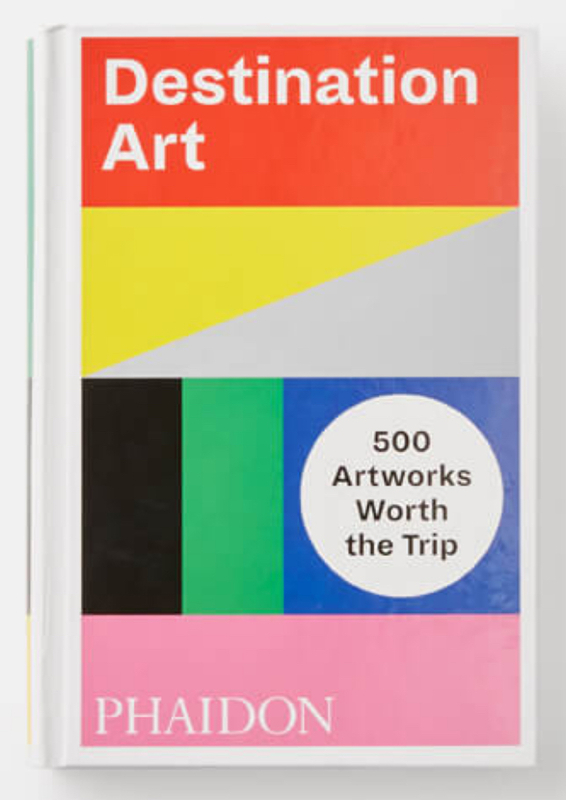 A global guide to the 500 works of permanently installed modern and contemporary art worth traveling to experience. 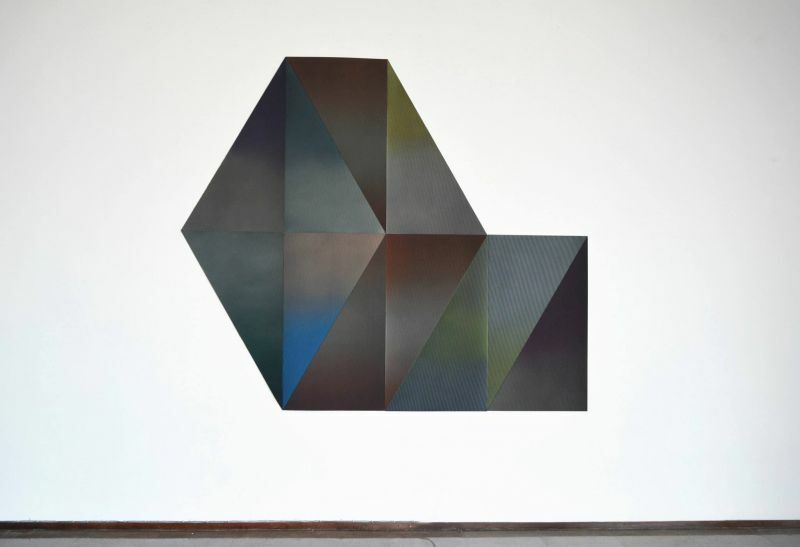 Group show titled Simulacrum II at the Fries Museum in Leeuwarden, The Netherlands. 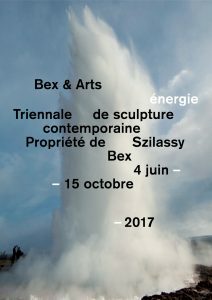 With Thibault Brunet, Beate Gütschow, Leigh Merrill, Lionel Bayol-Thémines, Gregory Chatonsky. 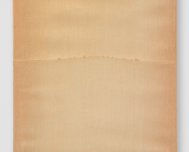 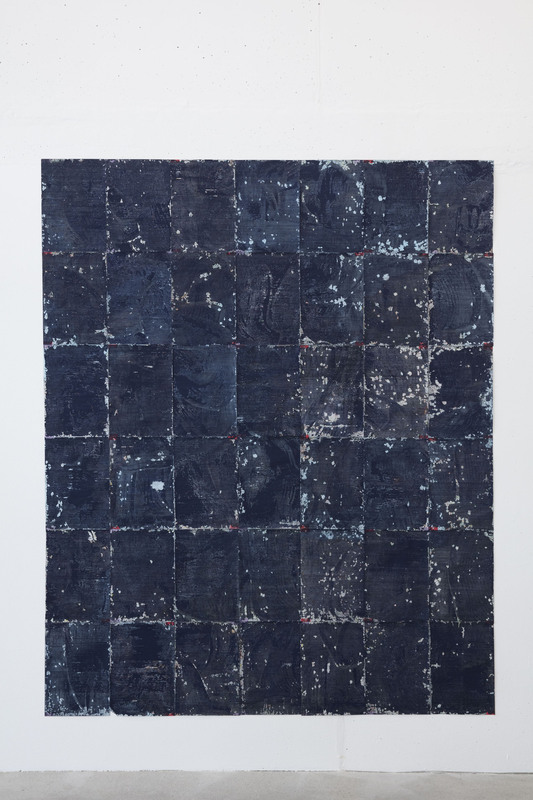 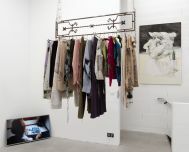 Group show titled Redress at the UCL Art Museum in London. 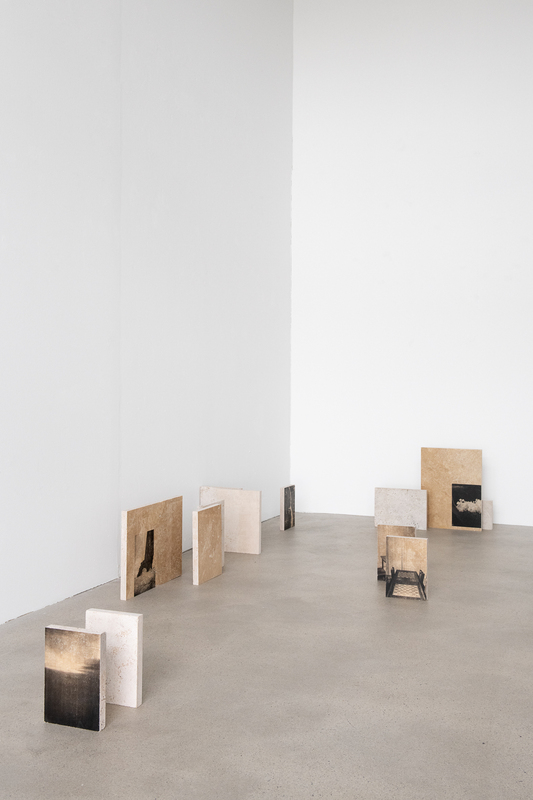 With Sophie Bouvier Ausländer, Katherine Forster, Seungwon Jung, Zeinab Saleh and Naomi Siderfin. 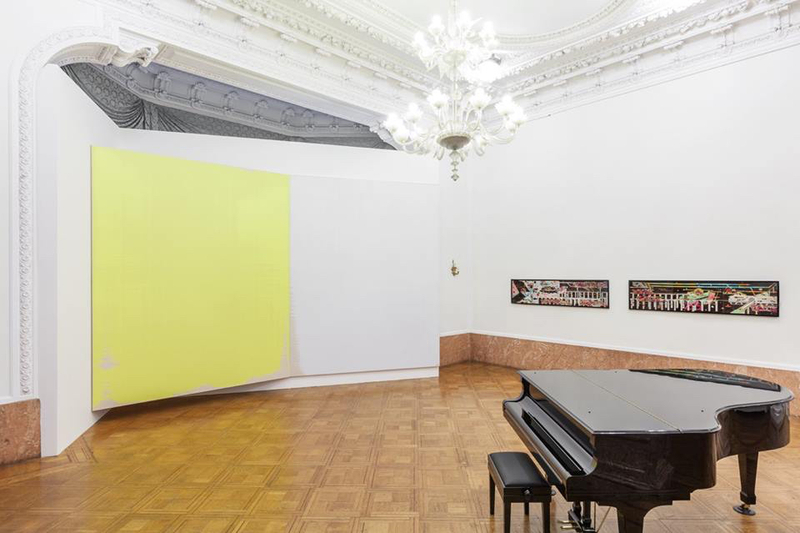 Participation of Mirko Baselgia in the exhibition Beehave at the Kunsthaus Baselland. 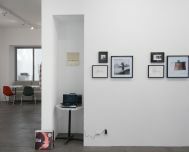 With Brigham Baker, Mirko Baselgia, Joseph Beuys, Björn Braun, Enrique Fontanilles, Mike Hentz, Leiko Ikemuram, Sandra Knecht, Jan Kopp, Carmen E. Kreis, Xavi Manzanares & Àlex Muñoz, Marta Margnetti, Joan Miró, Meret Oppenheimm Luis Fernando Ramírez Celis, Boris Rebetez, Peter Regli, Toni Serra *) abu ali, Till Velten, Pep Vidal, Philip Wiegard, Katharina Anna Wieser and Andrea Wolfensberger. 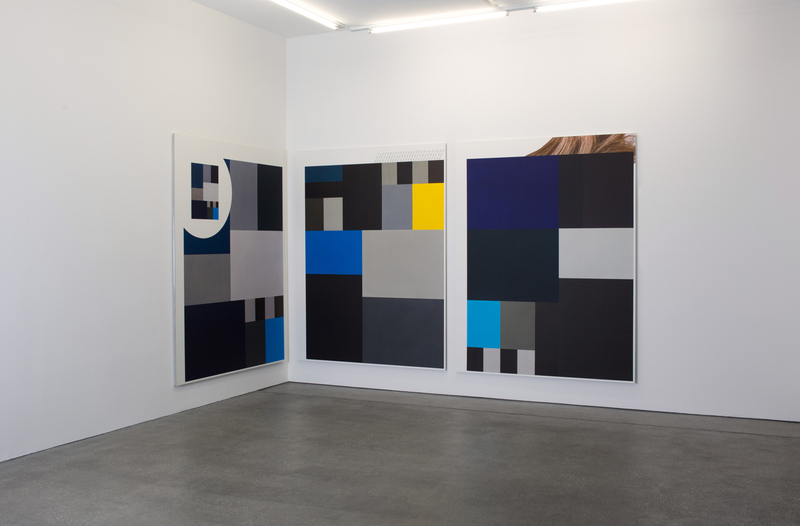 Partipation of Mirko Baslegia to Kunsthoch Luzern with Galerie Urs Meile. 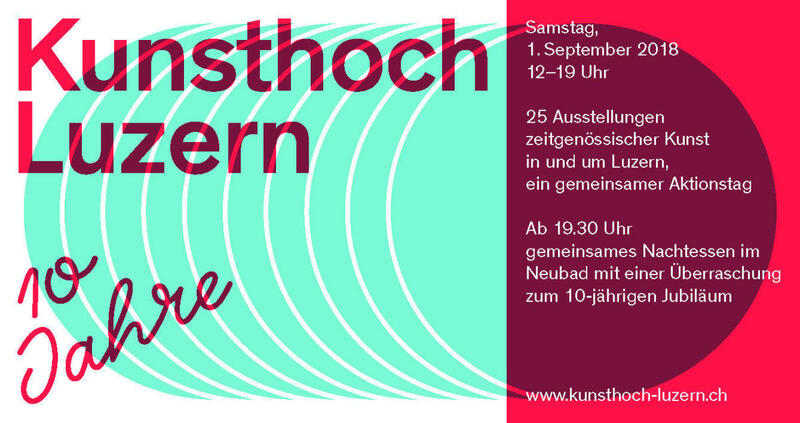 The Kunsthoch-action day invites the public to discover 25 contemporary art exhibitions by bicycle in and around Lucerne. 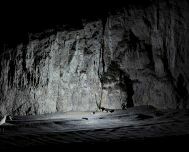 Group show titled #Extension labyrinthe at the FRAC Occitanie Montpellier in Montpellier - FR. 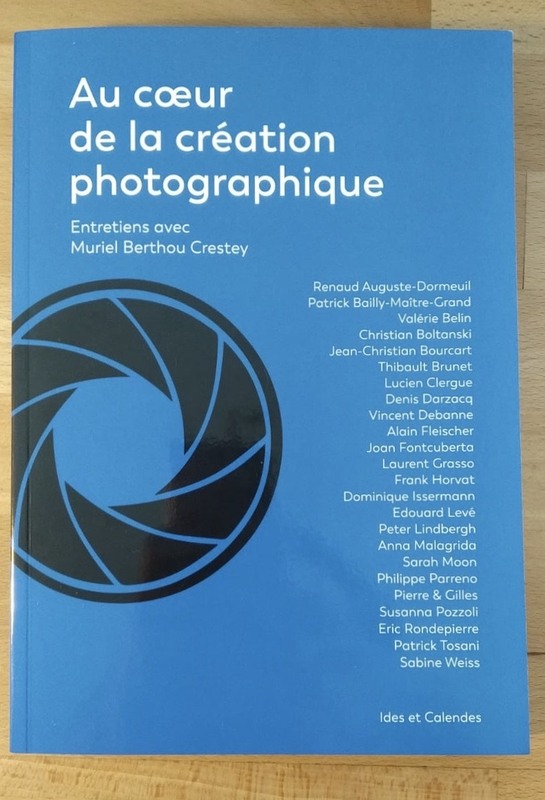 With Abdelkader Benchamma, Hervé Beurel, Thibault Brunet, Yasuhiro Chida, Philippe Decrauzat, Laetitia Delafontaine et Grégory Niel, Véronique Joumard, Émilie Losch, David Renaud, Jean-Claude Ruggirello and Apolonija Šušteršič. 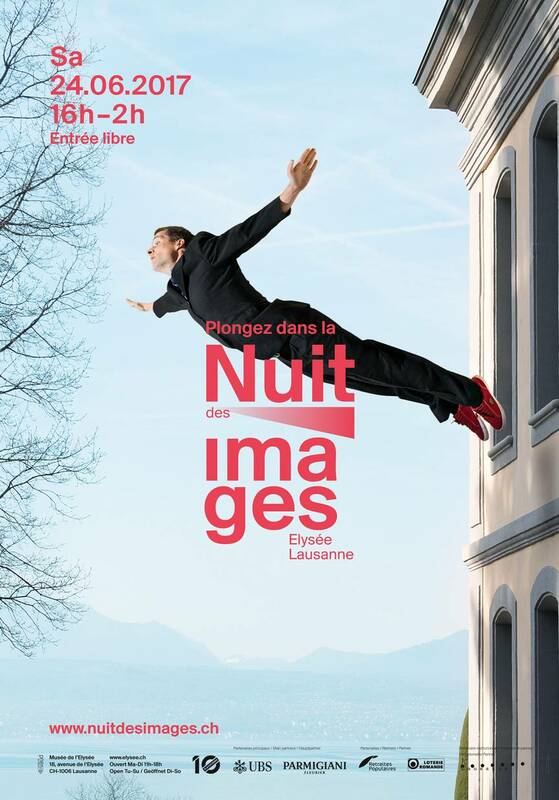 Participation of Mathieu Bernard-Reymond to the Nuit des Images at the Musée de l'Eylsée in Lausanne. 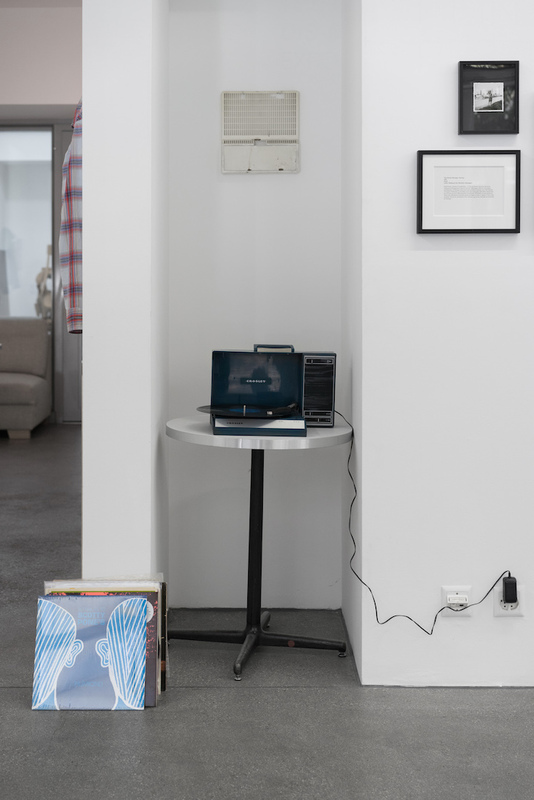 He will show a video titled On n'y comprend rien (2018). 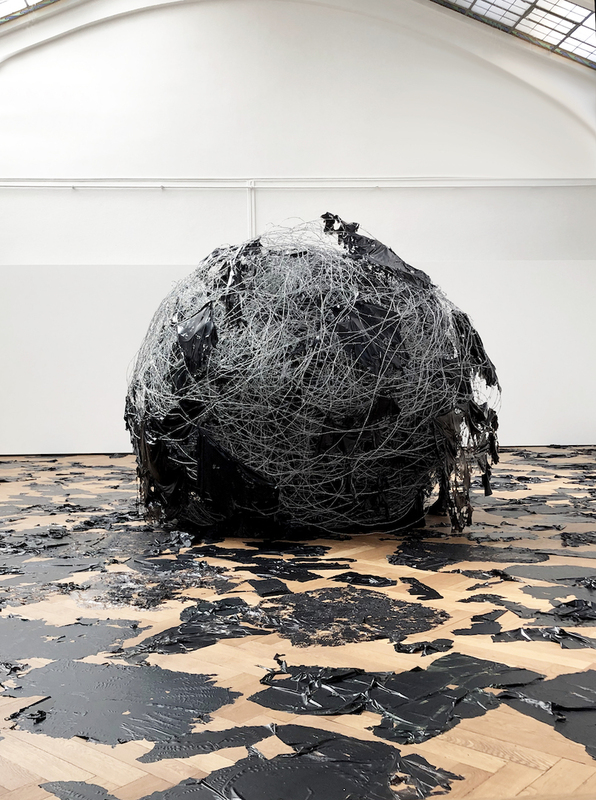 Sophie Bouvier Ausländer's sculpture "The World" (2012-2014) is on view at the 38th edition of the Art Festival Watou in West Flanders - Belgium until 2 September. 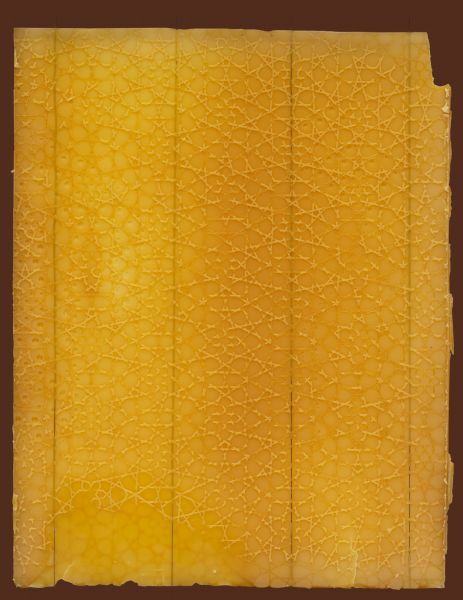 A loan from the Museum Voorlinden. 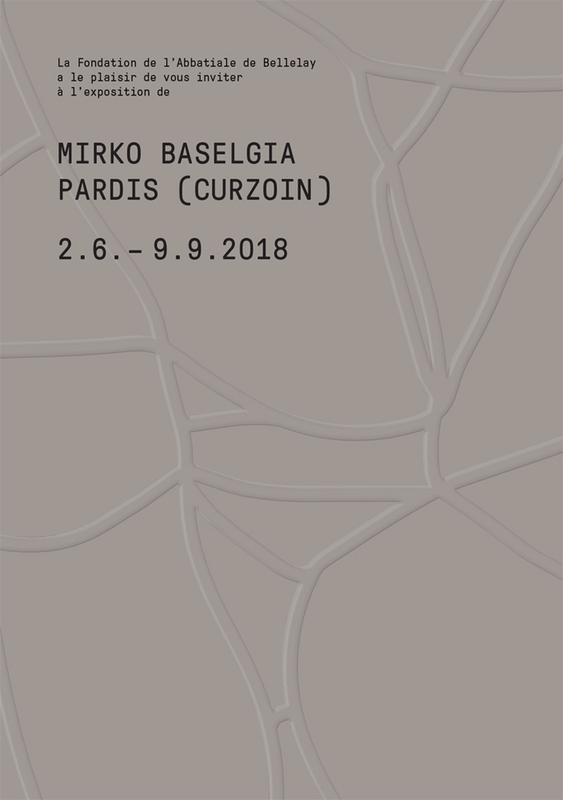 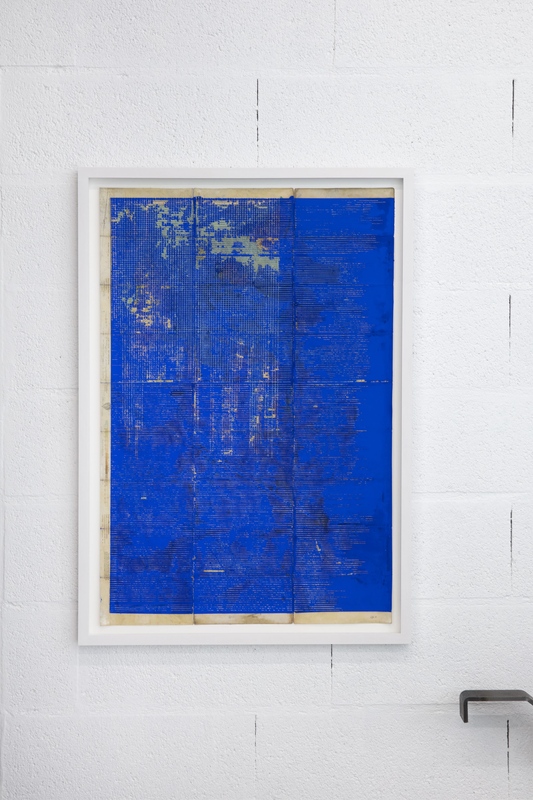 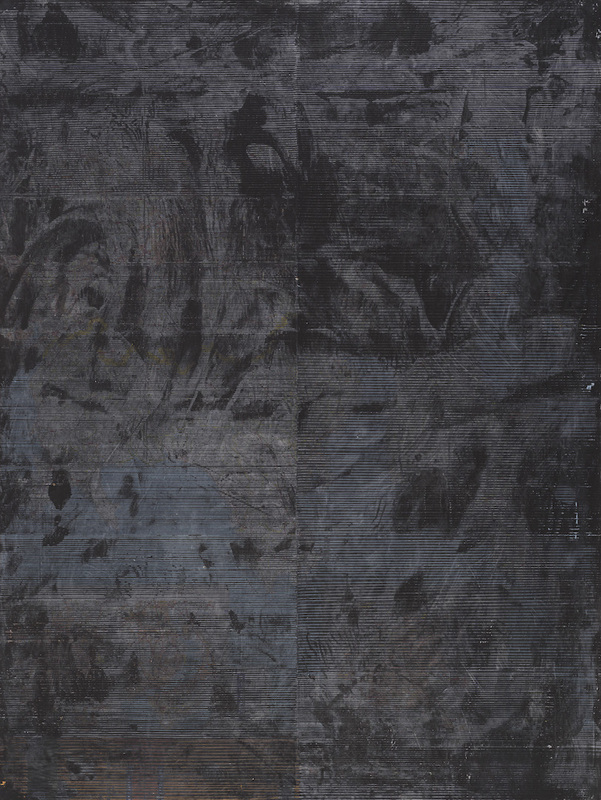 Solo show of Mirko Baselgia at the Abbatiale de Bellelay titled "Pardis (Curzoin)". 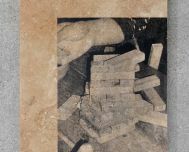 Curator Marina Porobic. 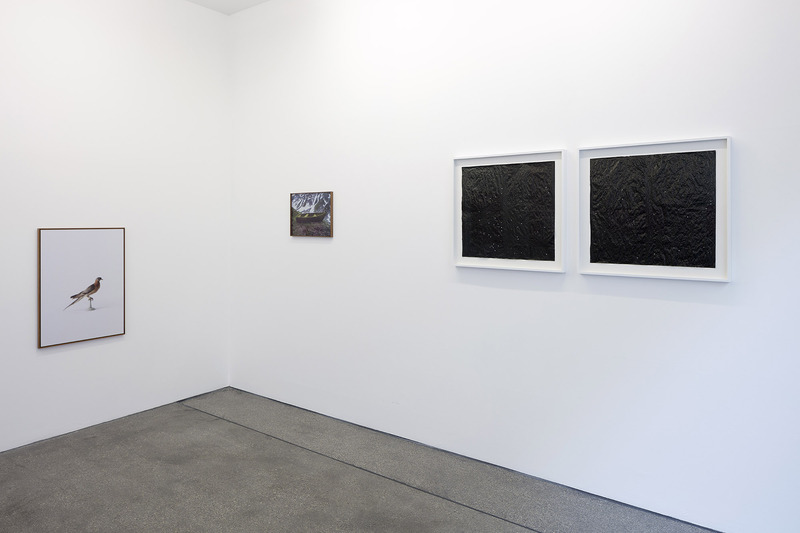 Group show at Tart Zurich. 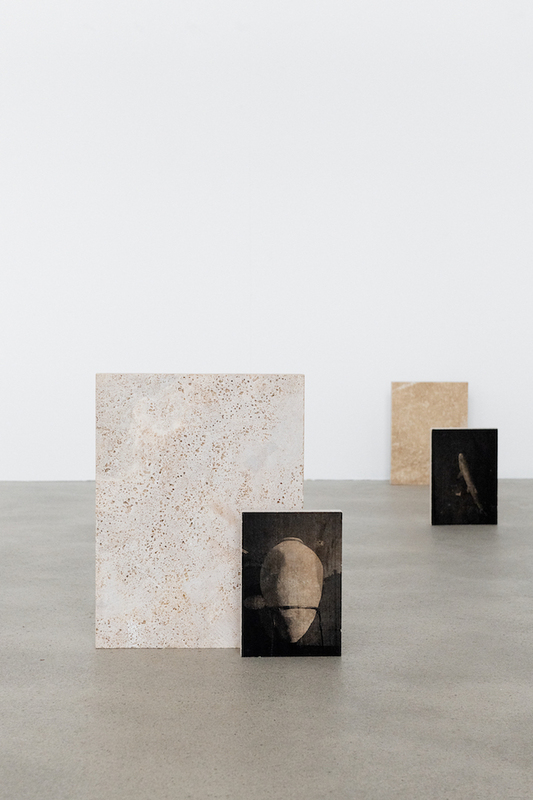 With Alex Bleuler, Kaspar Flueck and Marco Scorti. 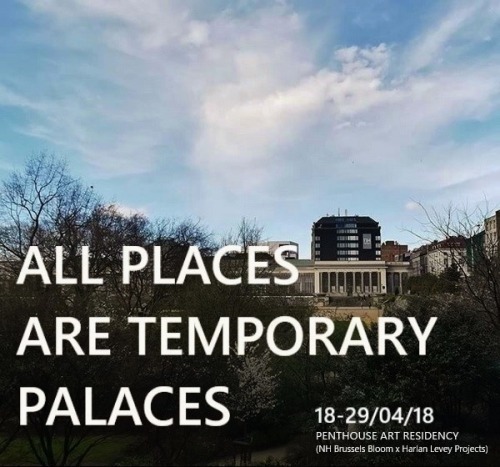 Group show titled All Places are Temporary Palaces at the Penthouse Art Residency in Brussels. 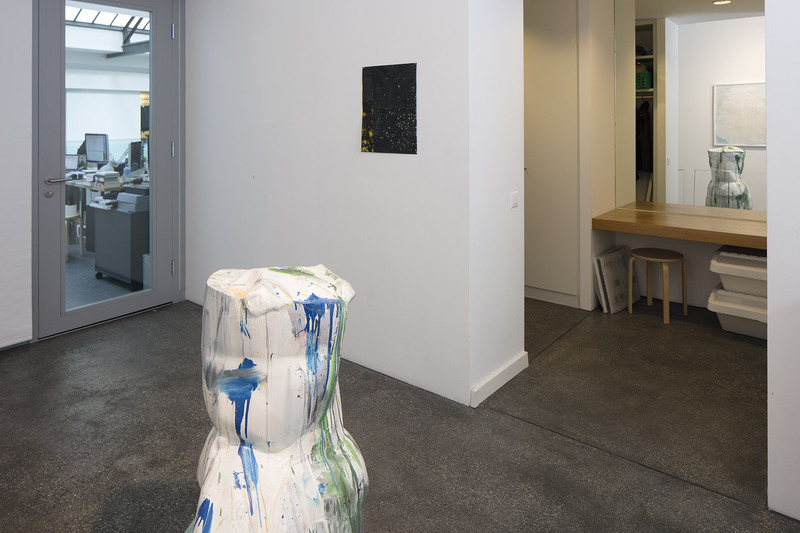 A cooperation between NH Brussels Bloom and Harlan Levey Projects gallery. 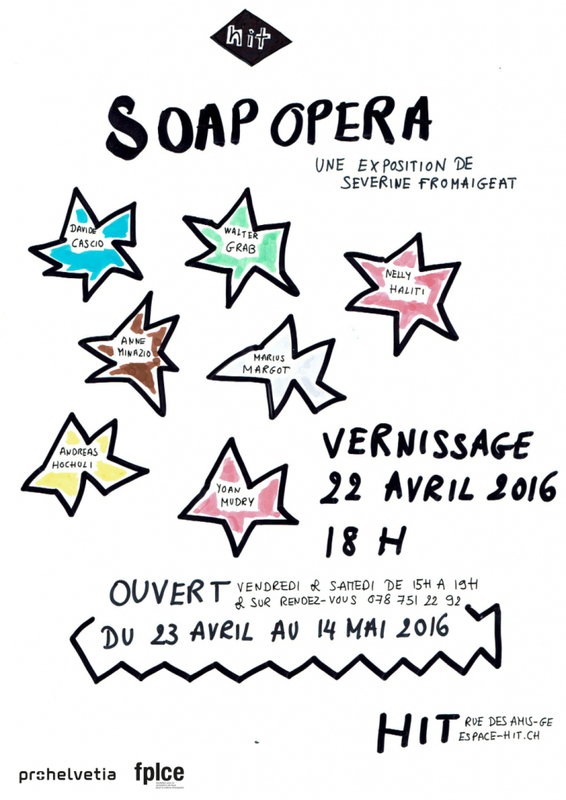 With Delphine Deguislage, Leo Gabin, Aurélie Gravas, Lucas Jardin, Sarah & Charles, Filip Vervaet. 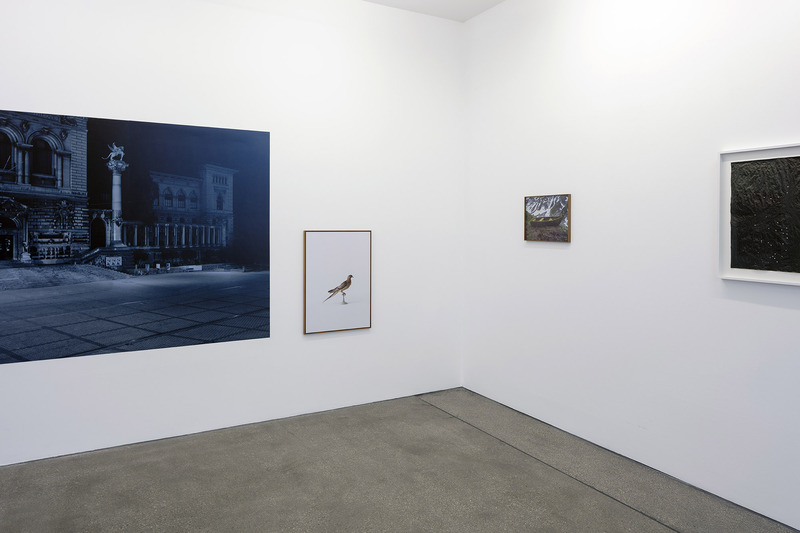 Group show at Photobastei in Zurich. 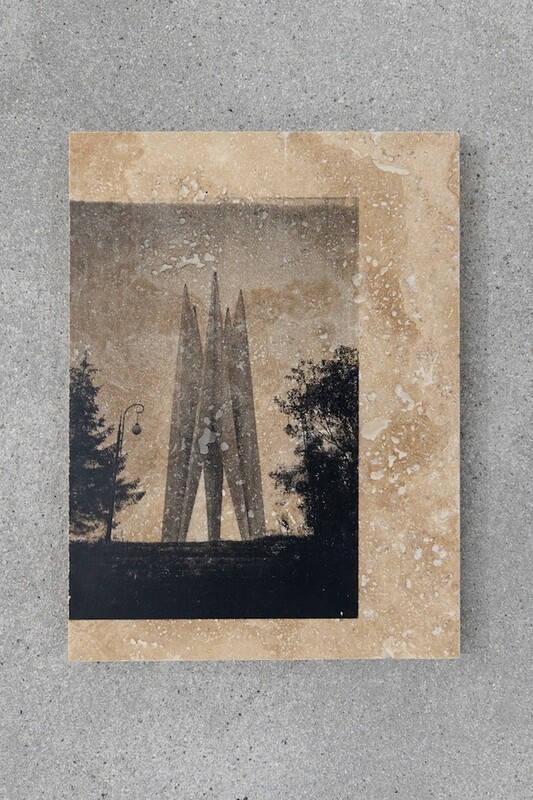 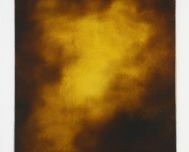 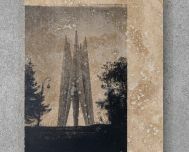 Simon Roberts will show photographs from his Sight Sacralization: (Re)framing Switzerland series. 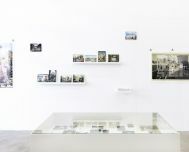 With Bernd & Hilla Becher, Matthias Koch, Simon Roberts and Peter Hebeisen. 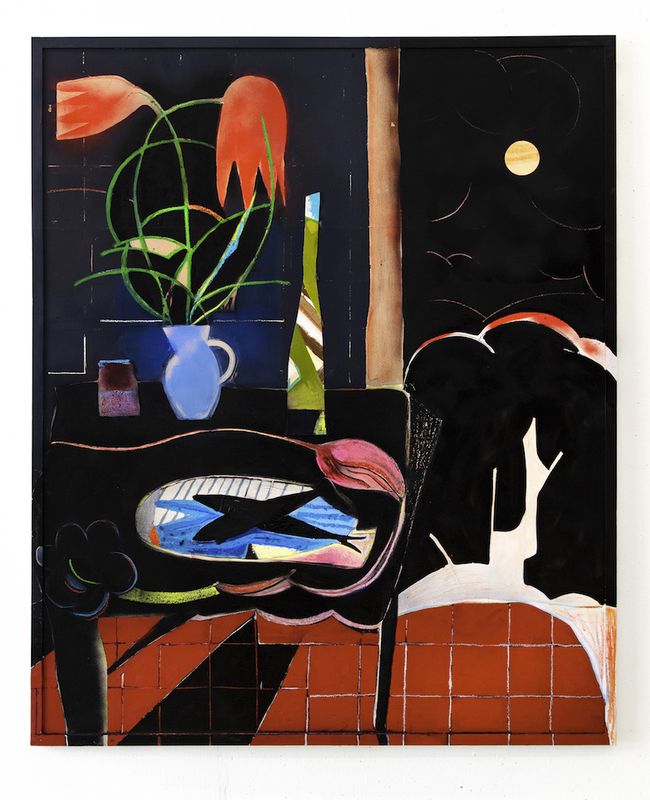 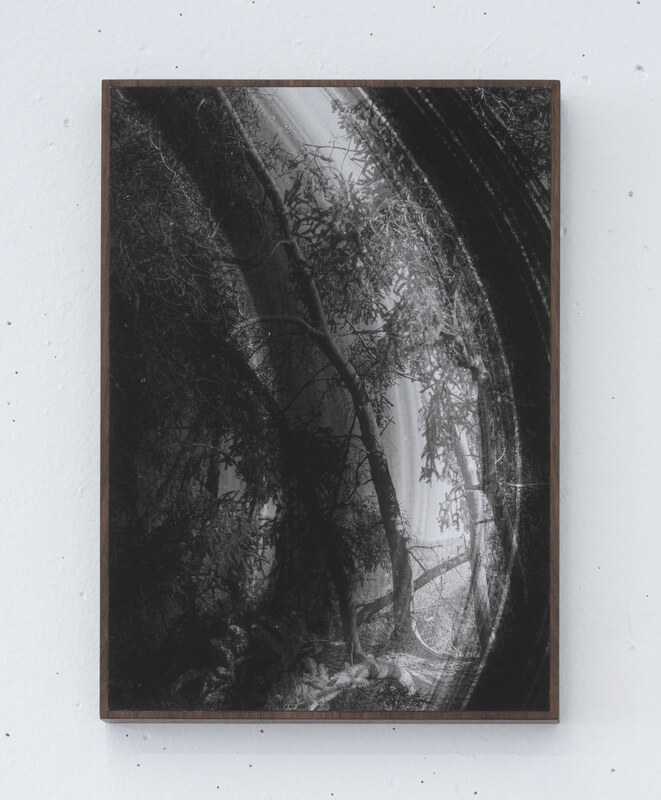 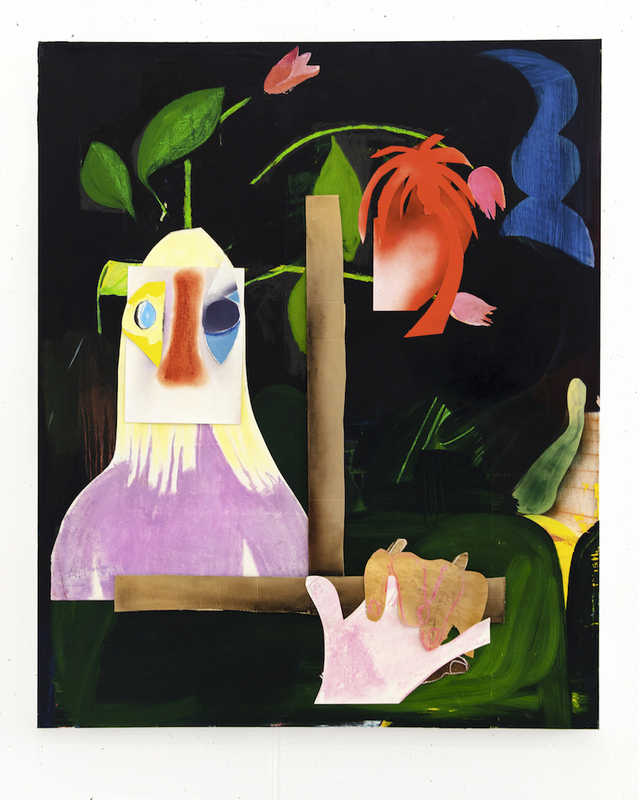 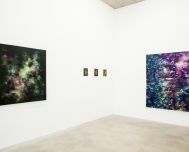 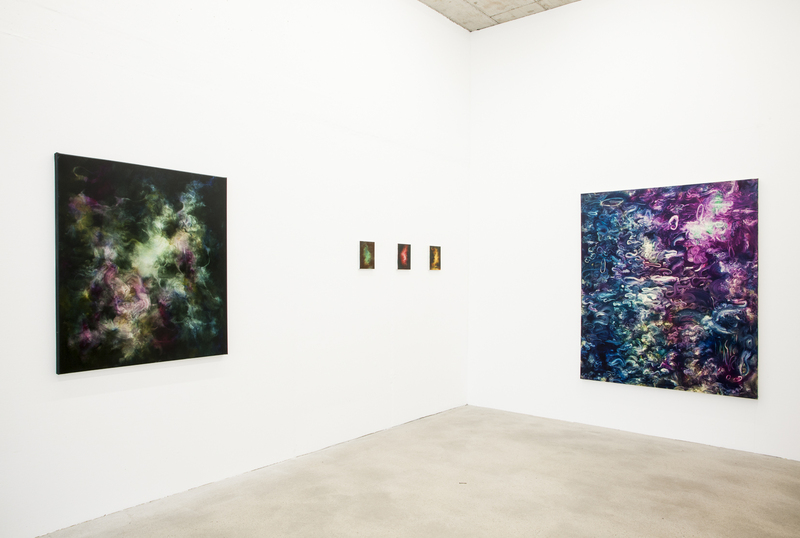 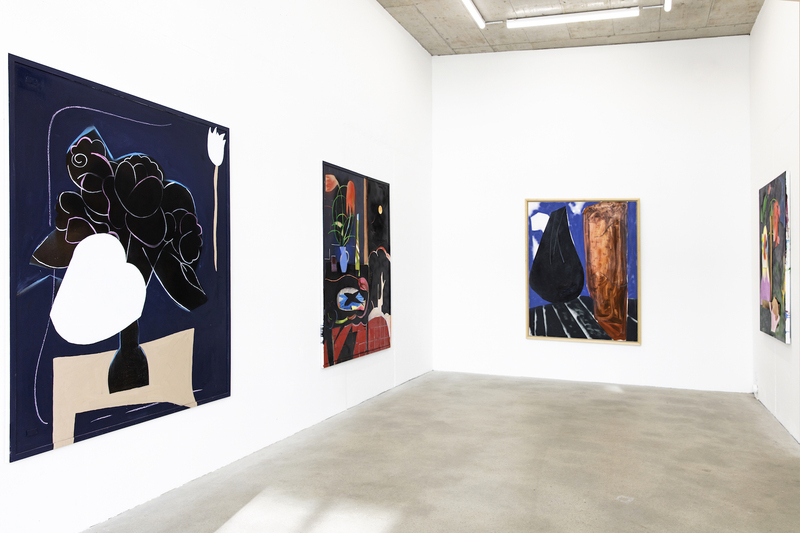 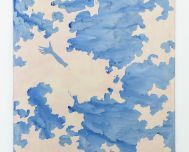 Solo show by Aurélie Gravas titled Inner Landscape at La Comète in Liège - B.
Artforum's April edition reviews Simon Roberts' Merrie Albion exhibition at Flowers Gallery - London. 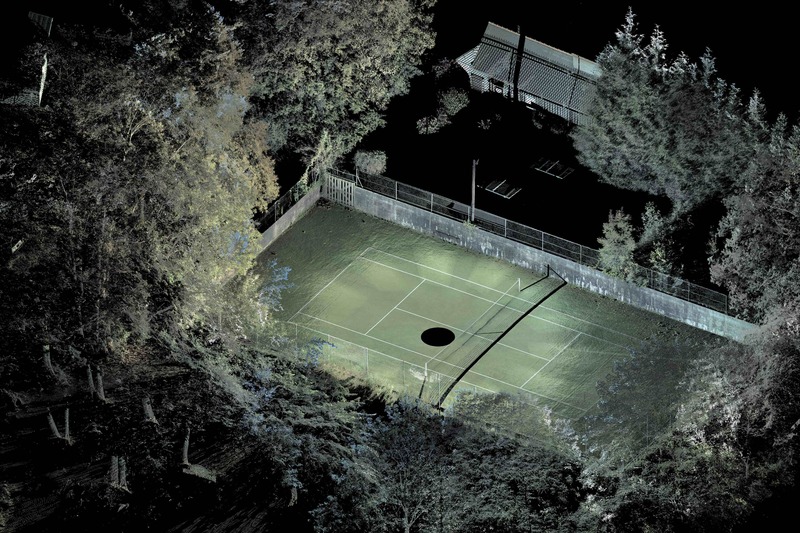 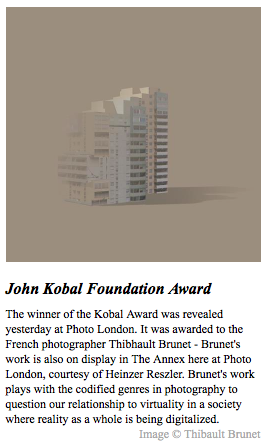 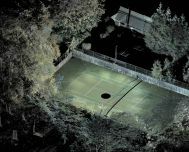 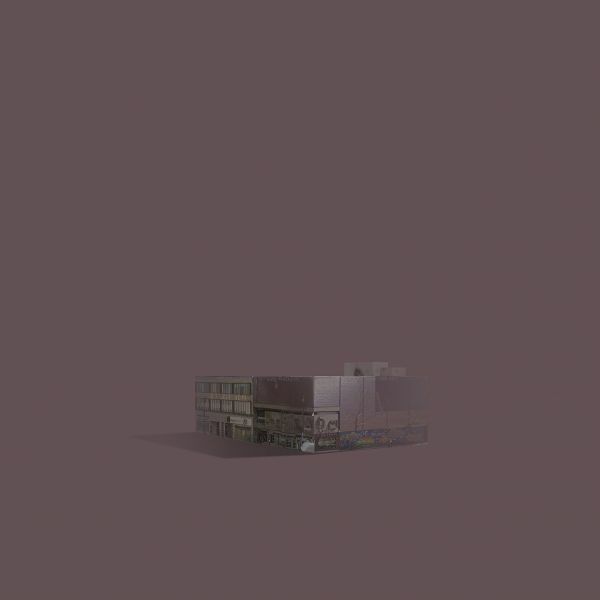 Thibault Brunet has been awarded a Residency Grant at the Aperture Foundation in New York City. 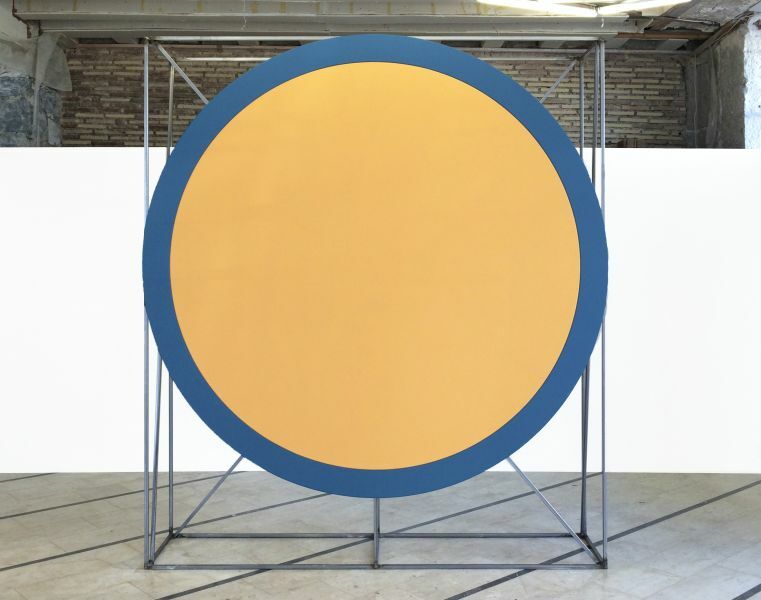 This grant has been awarded by Etant Donnés Contemporary Art. 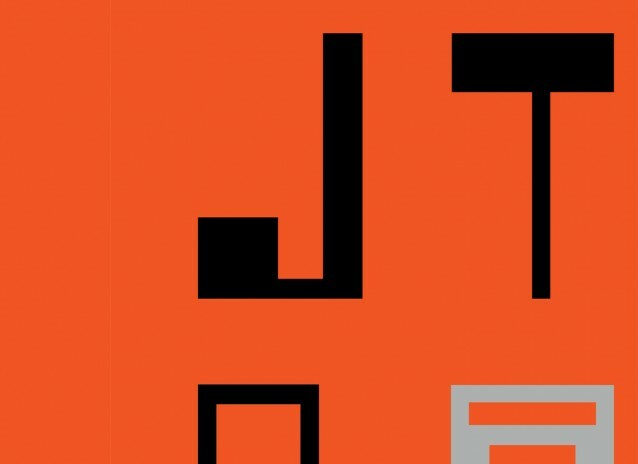 This program of the FACE Foundation aims to strenghten ties between France and the US in the field of contemporary art by fostering active collaboration and encouraging long-lasting partnerships between French visual artists, curators and collectives and American curators and cultural institutions. 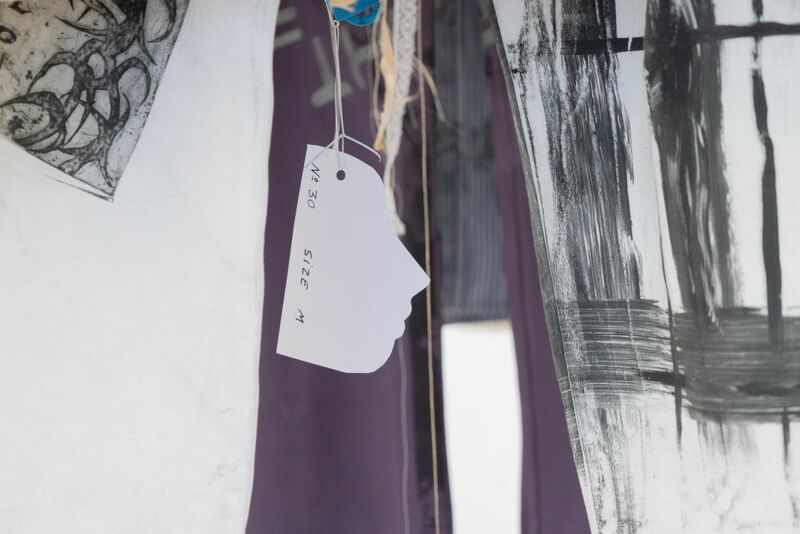 The fund supports the discovery of emerging talents, while also sustaining interest in established artists. 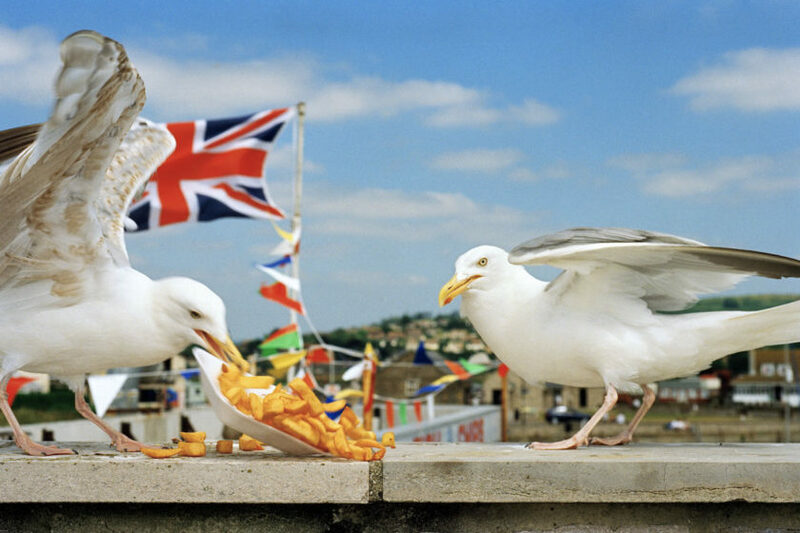 The Great British Seaside: Photography from the 1960s to the present is a major new exhibition at the National Maritime Museum (Greenwich, London) exploring Britain’s relationship with the seaside through the lenses of the nation’s best loved photographers, Martin Parr (image), Tony Ray-Jones, David Hurn and Simon Roberts. 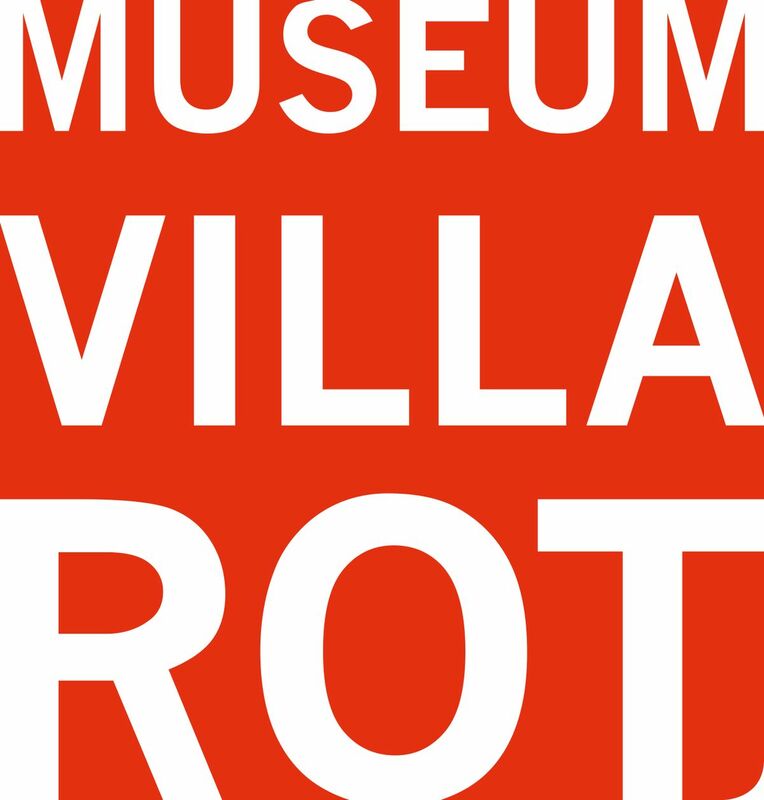 Group show titled Formen der Natur, Pure Nature Art at the Museum Villa Rot in Burgrieden Rot - D.
Group show titled Ricochet at the Centre d'Art Contemporain Yverdon-les-Bains - CH. 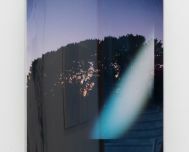 Solo show with Isabelle Le Minh titled Déjà Vu at the Kehrer Galerie in Berlin - D.
Group show titled Ici at the Villa Dutoit in Petit-Saconnex, Geneva. 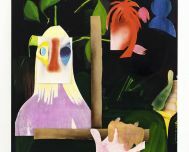 With Yvan Alvarez, Mathieu Bernard-Reymond, Benoît Billotte, Dominique Troutot, Hélène Marco, Vivian Olmi, Tangui Robert and Catalina Scotnitchi. 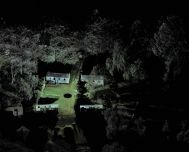 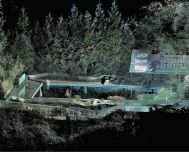 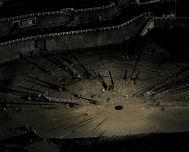 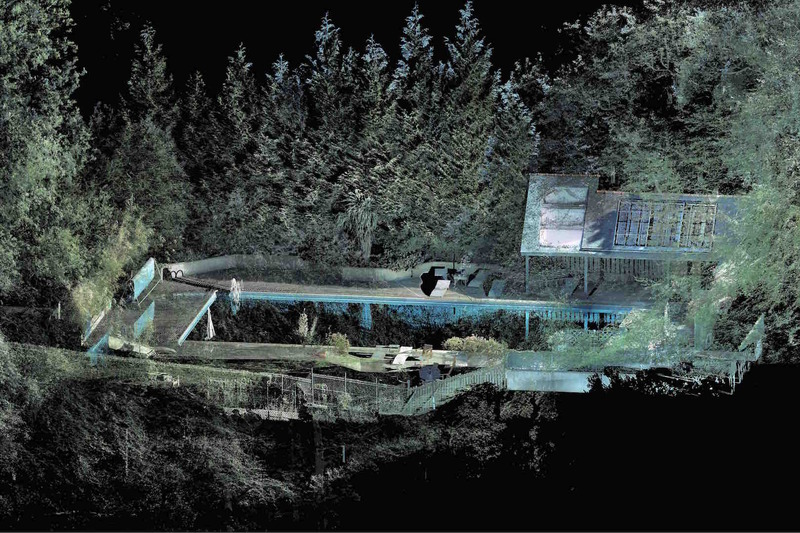 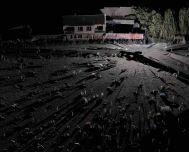 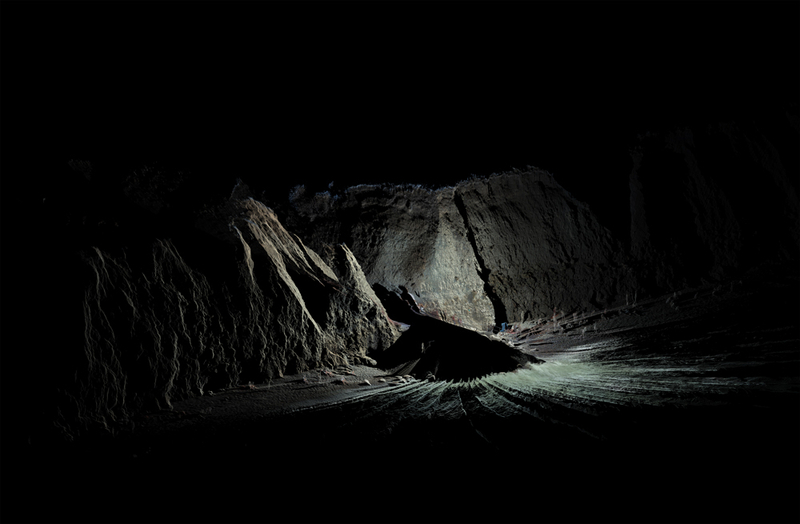 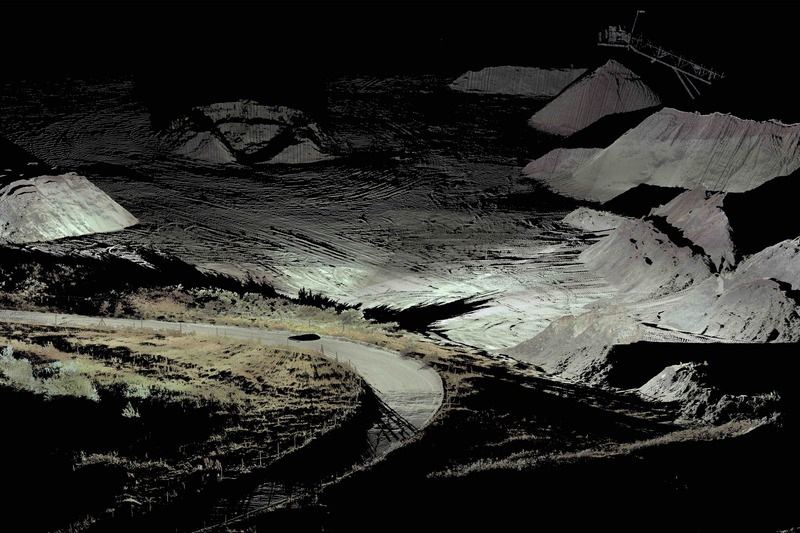 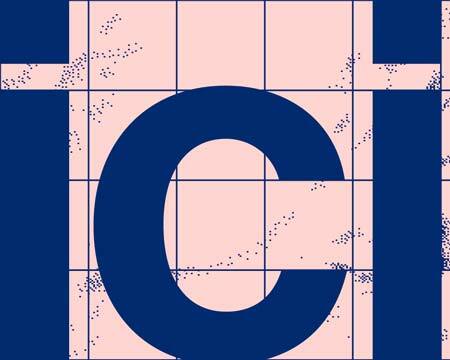 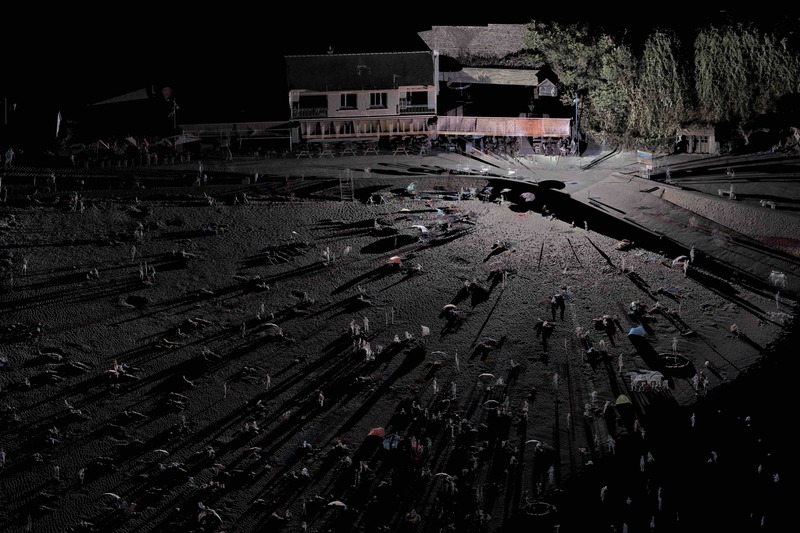 Thibault Brunet will show videos of his Territoires Circonscrits series at the Musée des Beaux-Arts du Locle - CH. 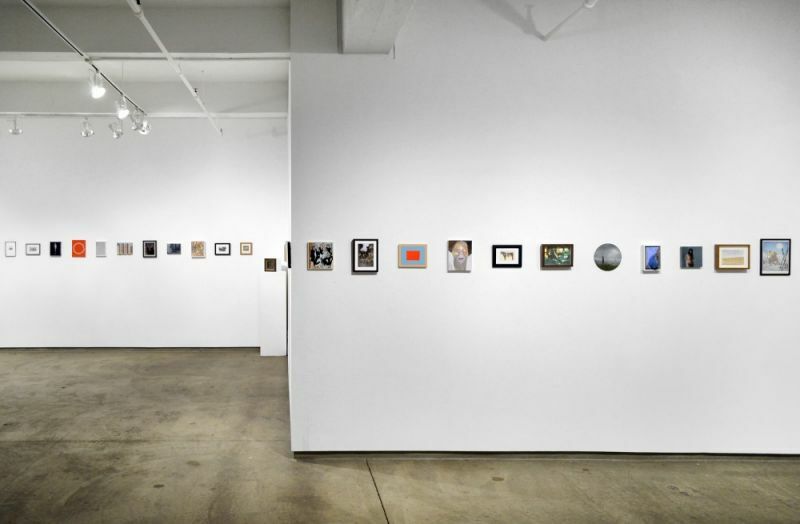 The museum is hosting four solo shows: Thibault Brunet, Todd Hido, Guy Oberson and Garry Winogrand. 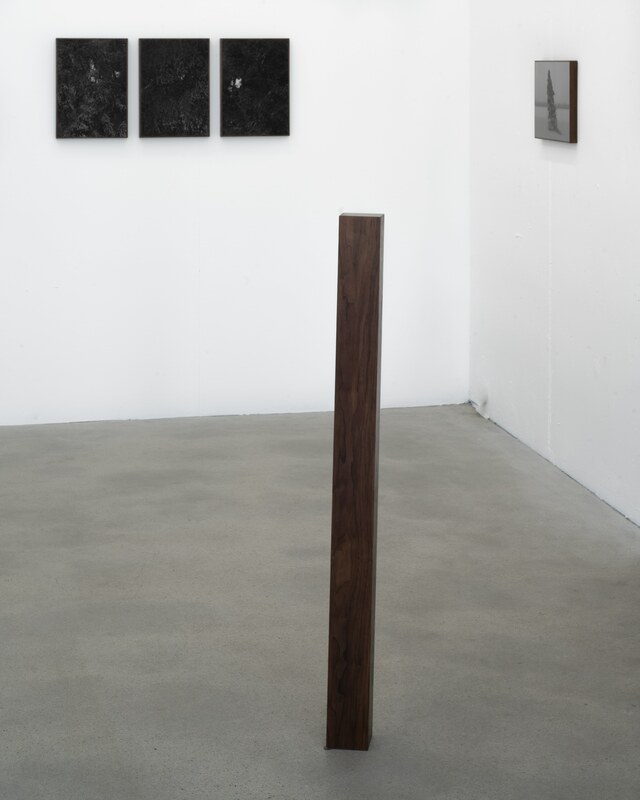 Group show at the Gebert Stiftung für Kultur in the Alten Fabrik, Rapperswil - Jona - CH. 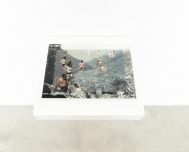 Wirh Thibault Brunet, Alan Butler, collectif_fact, Joseph DeLappe, Katja Loher, Gabriela Löffel, Miltos Manetas, Shusha Niederberger, Klaus Pichler, Christian Rothacher, Remo Stoller, Pilvi Takala and Fernando Villela. 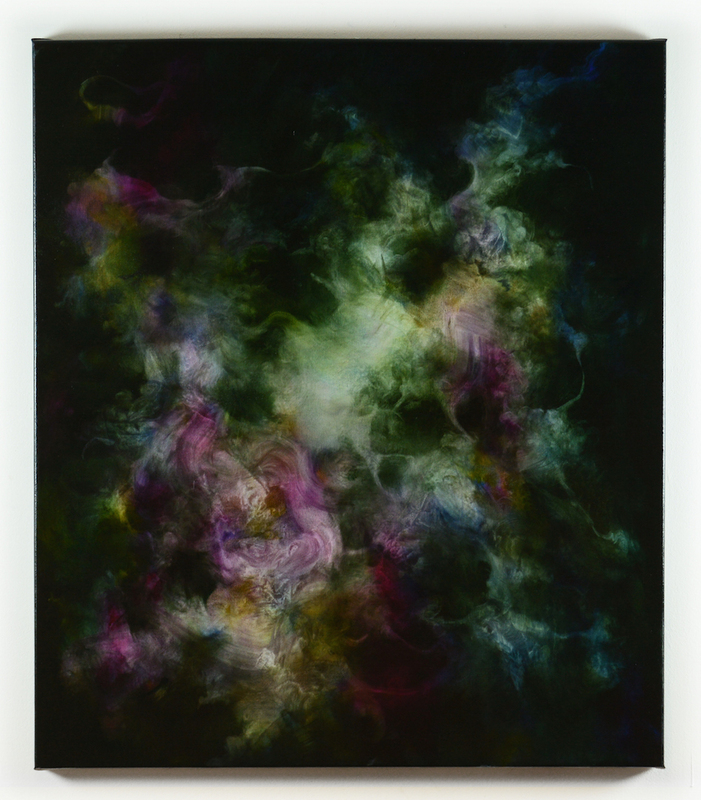 Solo show titled Avalanche at Davisdon Contemporary in New York - USA. 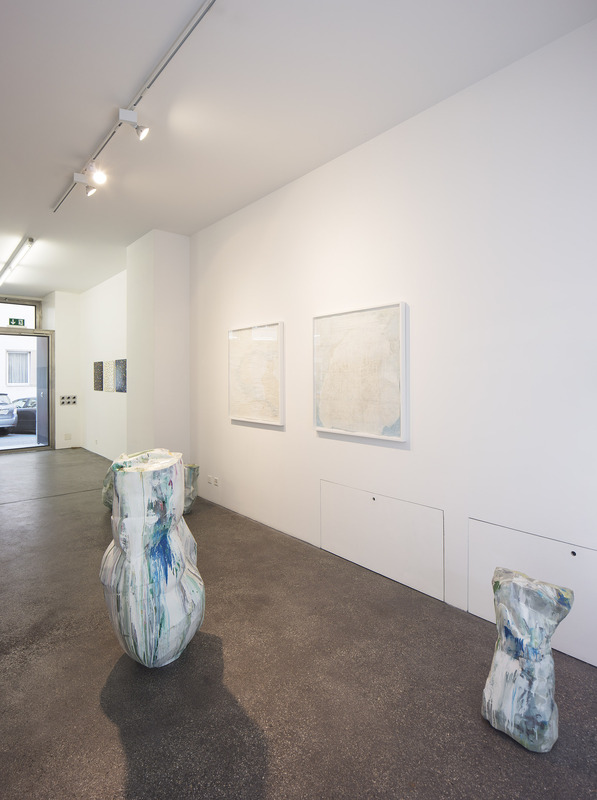 Solo show at Flowers Gallery, London UK. 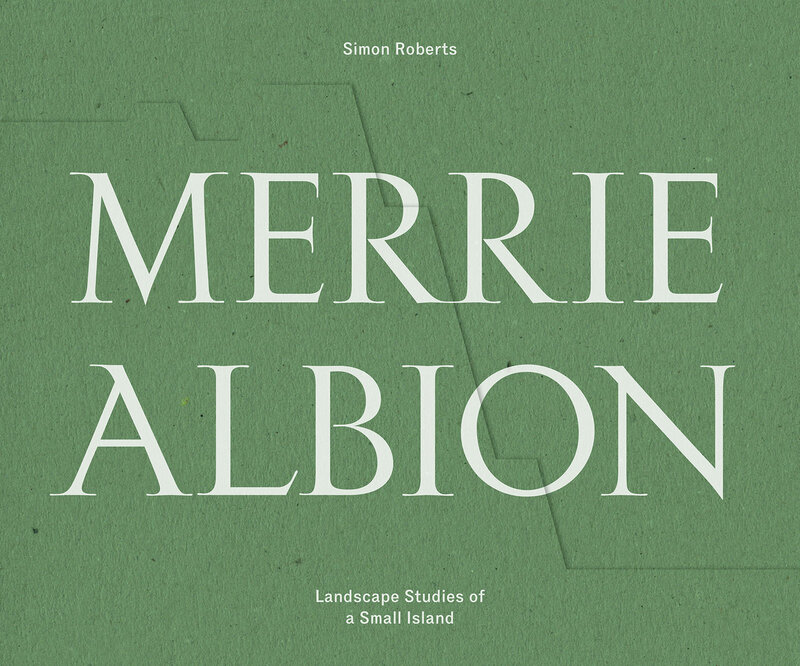 Merrie Albion - Landscape Studies of a Small Island brings together iconic images and many previously unpublished photographs, recording social practices and customs linked to the British landscape, as well as some of the economic and political theatre that has helped define recent history. 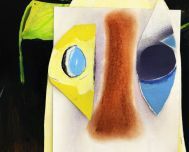 Annual exhibition of artists from Graubünden at the Bündner Kunstmeuseum Chur - CH. 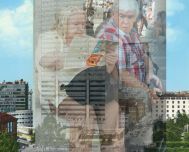 The LP Company & Fiona B. performed Une Rencontre avec Neil Young at the gallery and then at The Datcha concert hall Thursday November 23rd. 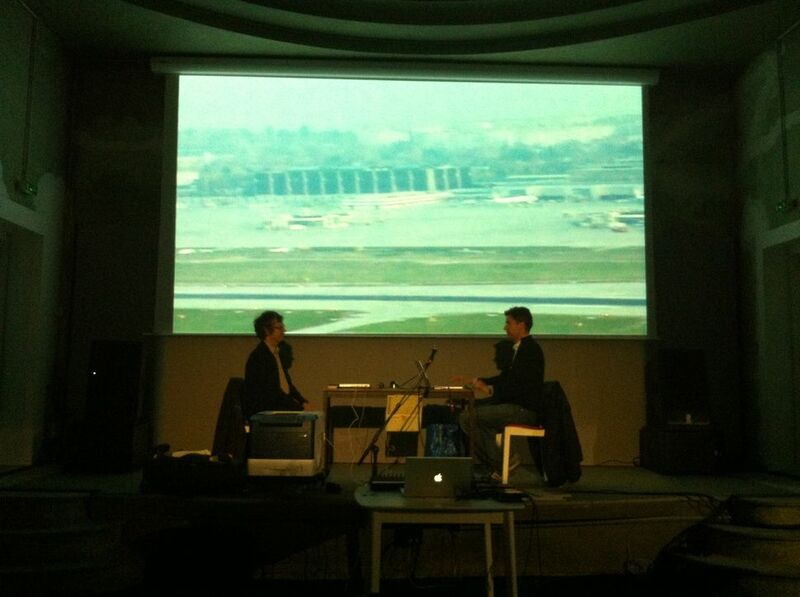 The performance was based on a photogrpahy by Renaud Monfourny cofounder of the French magazine Les Inrockuptibles. 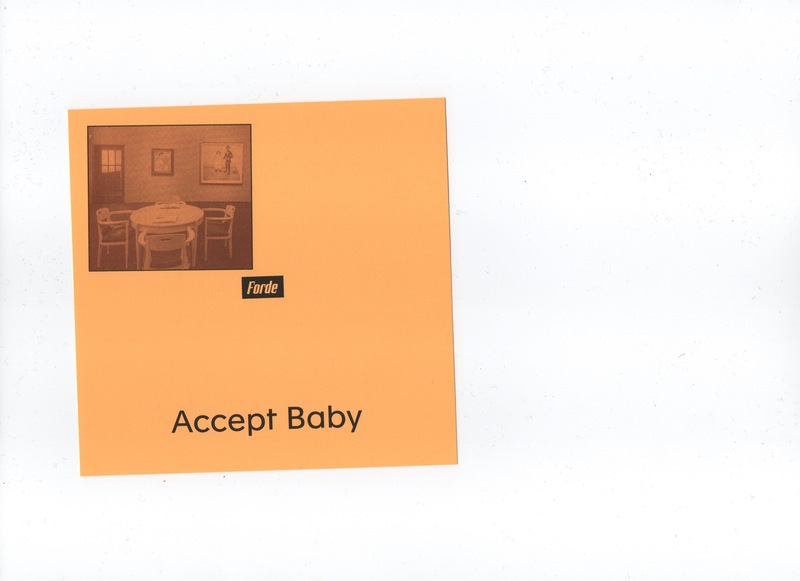 Group show Accept Baby at Forde, Geneva. 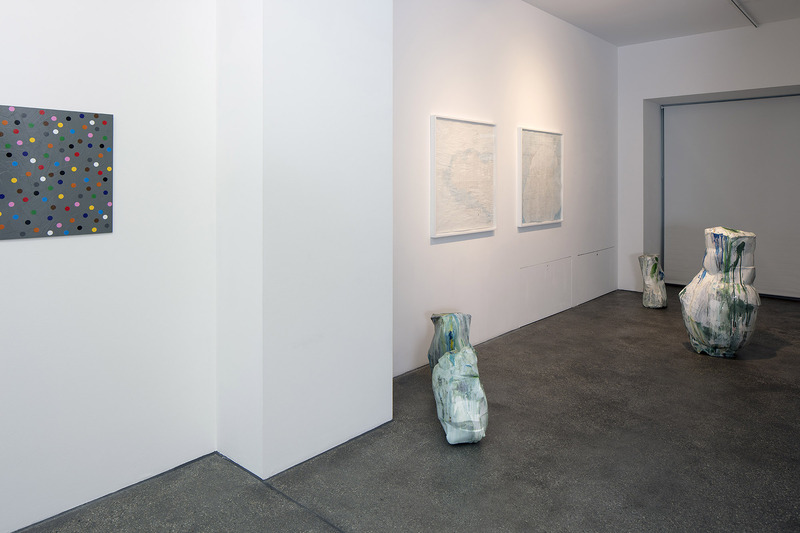 Group show titled Extended Ground at the Urs Meile gallery in Lucerne - CH. 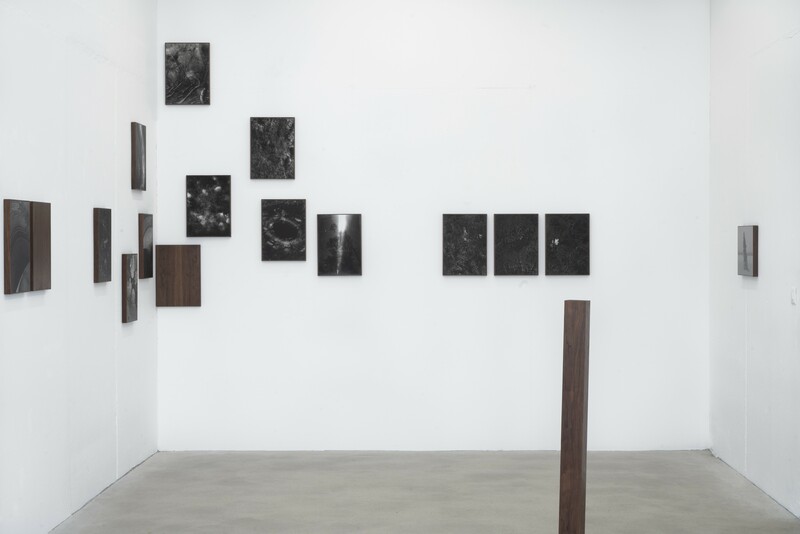 With Mirko Baselgia, Cao Yu, Cheng Ran, Ju Ting, Li Gang, Rebekka Steiger, Alice Wang, Wittmer & Koenig, Xie Qi. 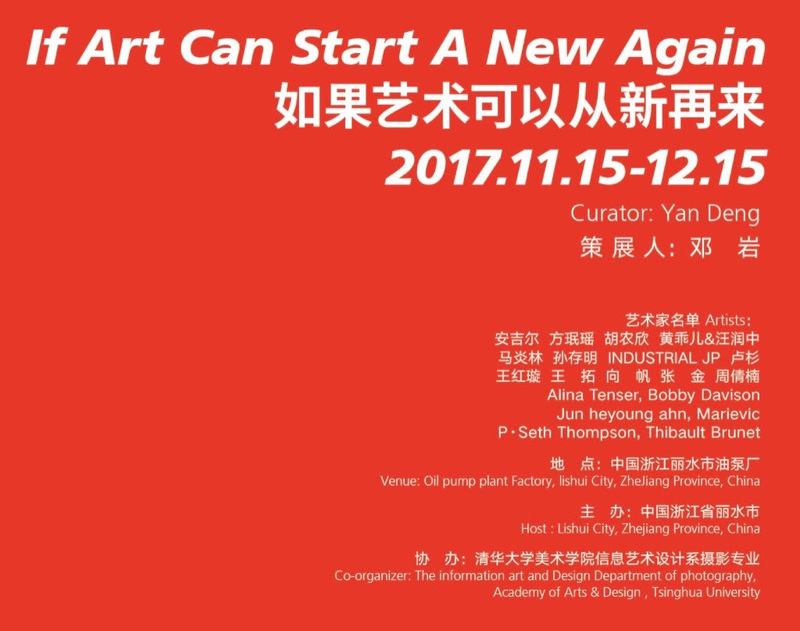 Group show If Art Can Start A New Again at the Oil Pump Plant Factory in Lishui City, ZheJIang Province - China. 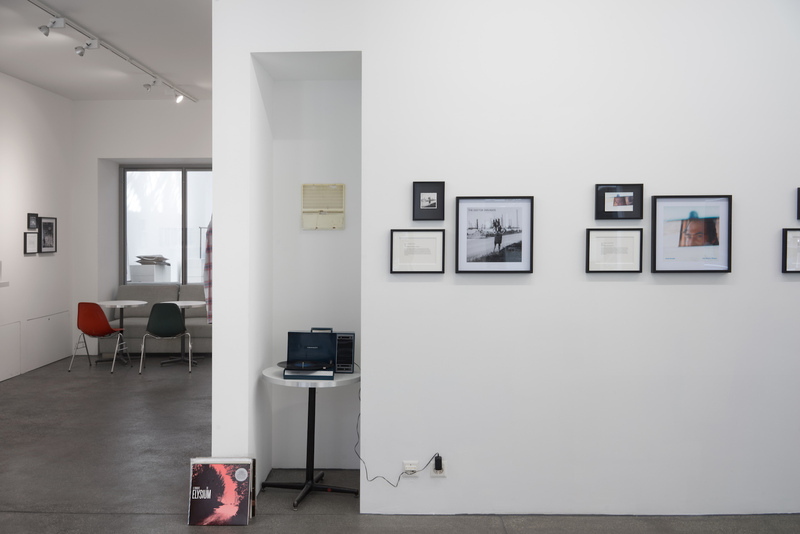 With Alina Tenser, Bobby Davison, Jun Heyoun Ahn, Marievic P-Seth Thompson, Thibault Brunet. 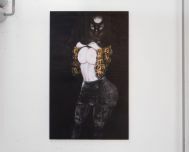 Group show at the Bandjoun Station Art Center (Cameroun) created by Barthélémy Toguo.  Title: New War - It's Just A Game? 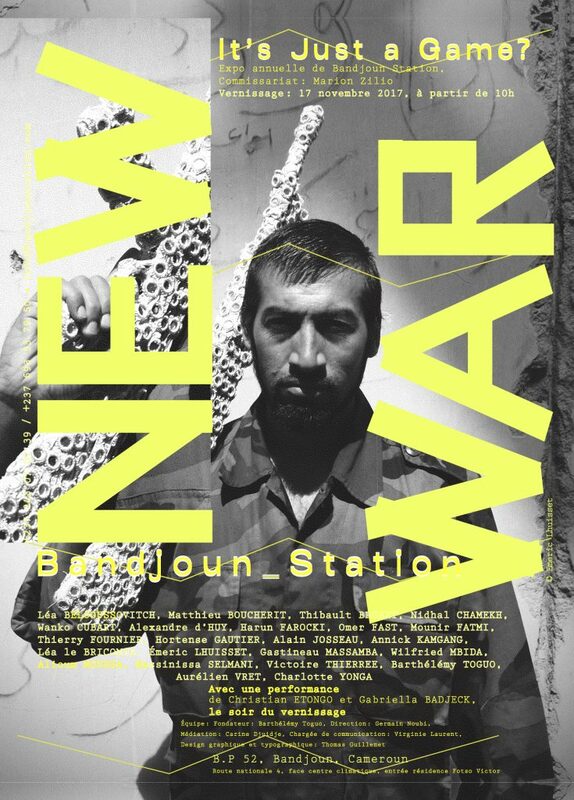 With Léa Belooussovitch, Matthieu Boucherit, Thibault Brunet, Nidhal Chamekh, Wanko Cubart, Alexandre d’Huy, Harun Farocki, Omer Fast, Mounir Fatmi, Thierry Fournier, Hortense Gauthier, Alain Josseau, Annick Kamgang, Léa le Bricomte, Émeric Lhuisset, Gastineau Massamba, Wilfried Mbida, Alioum Moussa, Massinissa Selmani, Victoire Thierrée, Barthélémy Toguo, Aurélien Vret, Charlotte Yonga. 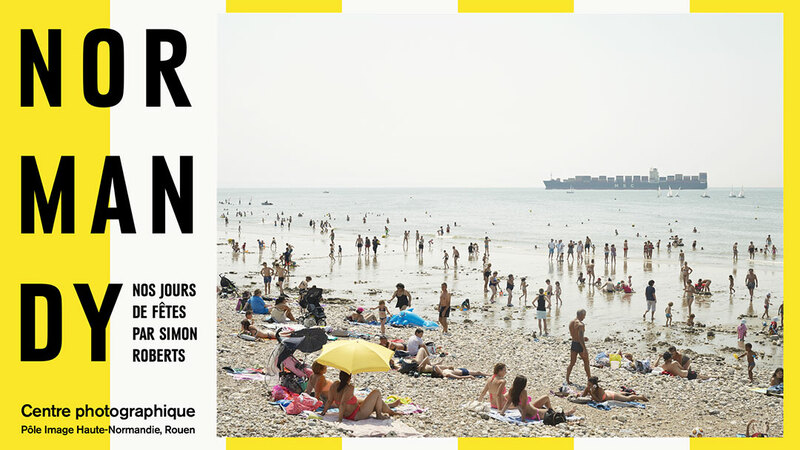 Simon Roberts' new monograph, Merrie Albion, will be officially unveiled at this year’s Paris Photo Fair. 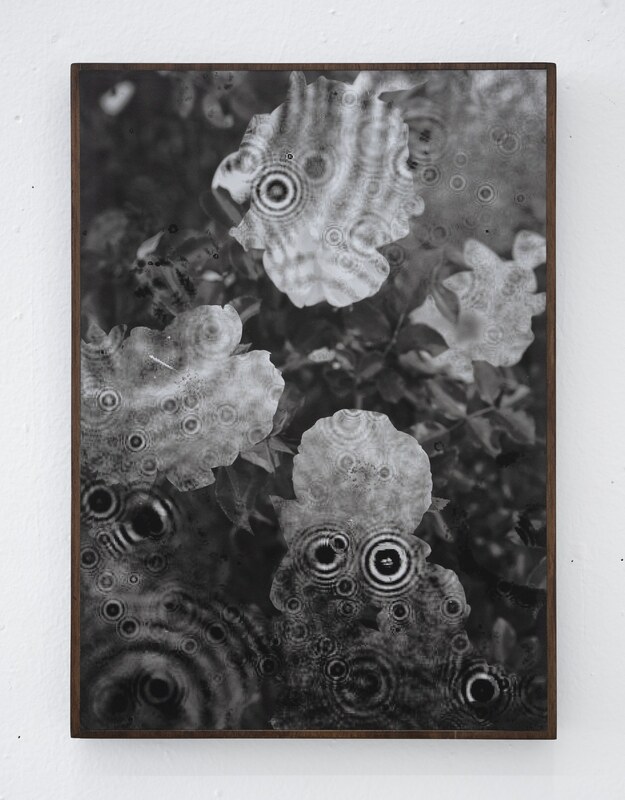 Flowers Gallery will be displaying a special edition portfolio of the work on their booth, Stand A2 and Simon will be doing a book signing with Dewi Lewis Publishing on Friday 10 November at 4pm on Stand H5. 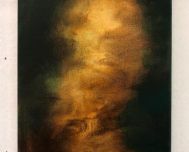 Exhibition of his Transform series. 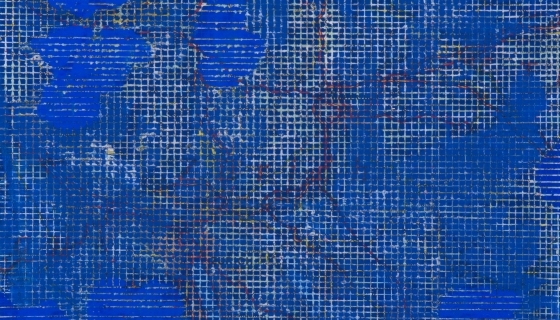 Solo show entitled Transmutaziun at the Grossmünster Kirche in Zurich in the frame of the series of exhibitions Kunst in der Krypta. 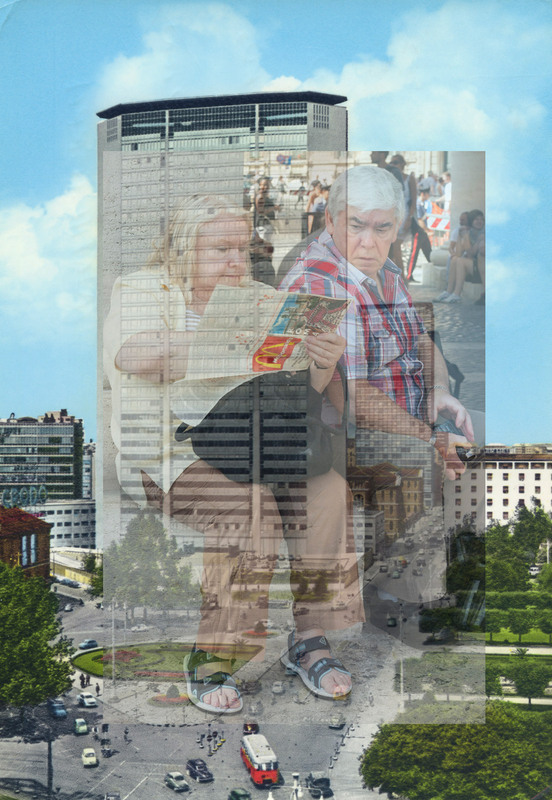 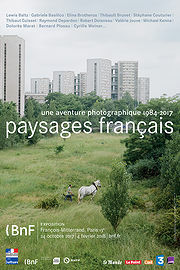 Participation of Thibault Brunet at the group show Paysages français, une aventure photographique (1984 - 2017) at the Bibliothèque Nationale de France - Paris. 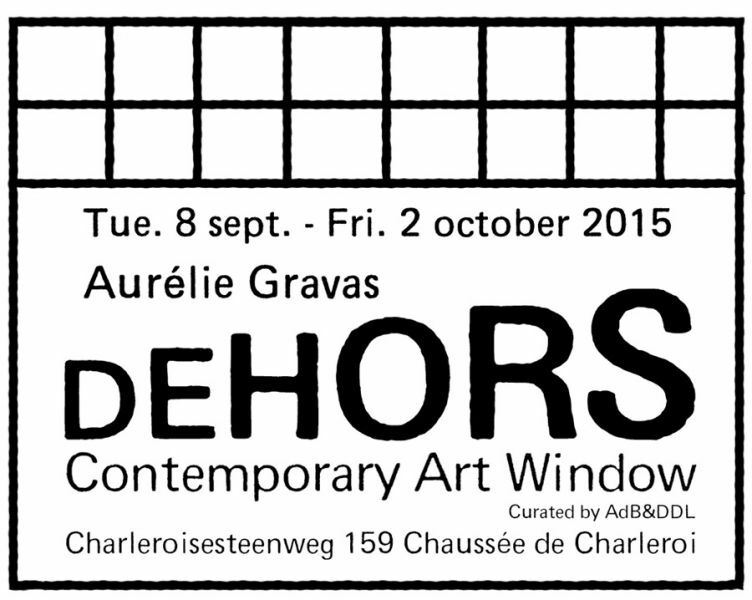 Milan The Show, a performance by Aurélie Gravas in the framework of Biennale 9 - Oh Les Beaux Jours in Louvain-la-Neuve - BE. 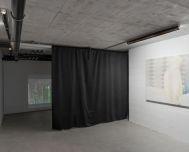 With Jean-Yves Evrard, Luc van Lieshout, Stéphan Dunkelman, Christine Vershorren and Isabelle Arthuis. 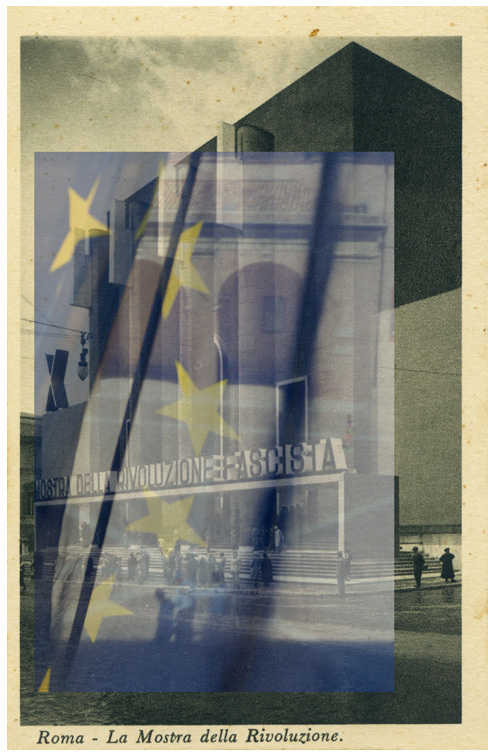 Group show entitled From Berlin With Love at the Instituto Svizzero di Roma - IT. 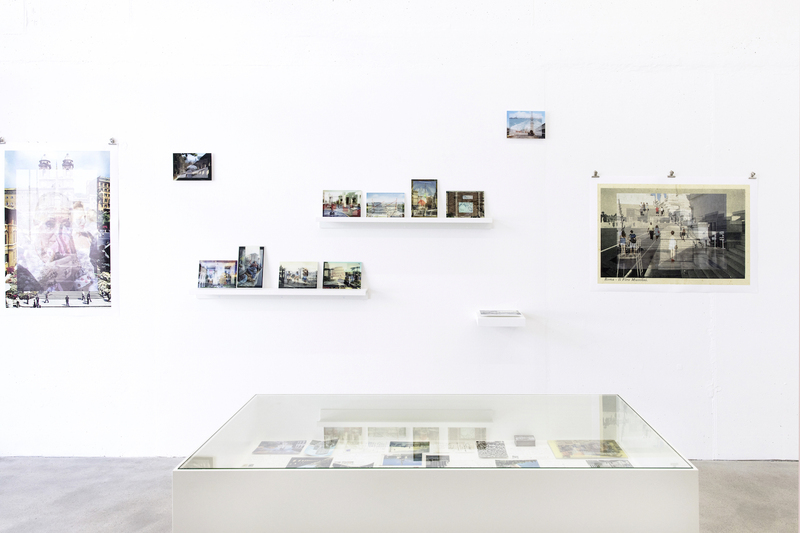 With Tina Braegger, Emilie Ding, Edgars Gluhovs, Swetlana Heger, Charlotte Herzig, Andreas Hochuli, David Hominal, Samuel Jeffery, Flora Klein and Kaspar Müller. 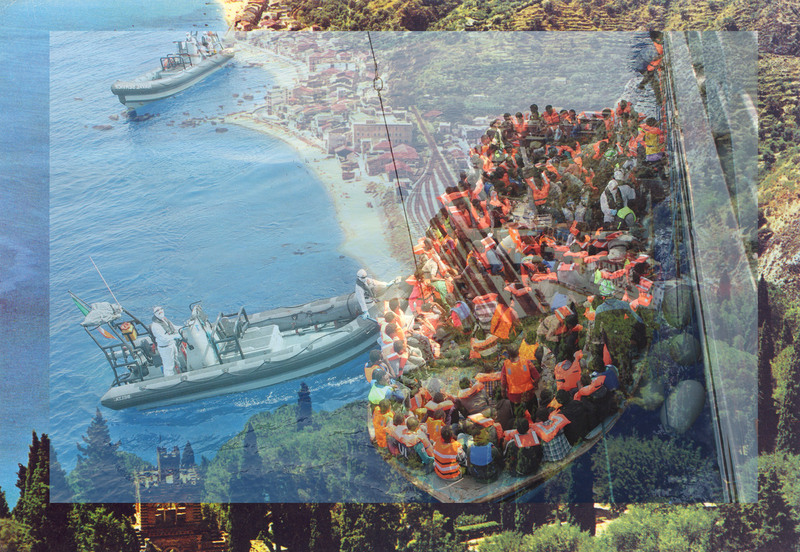 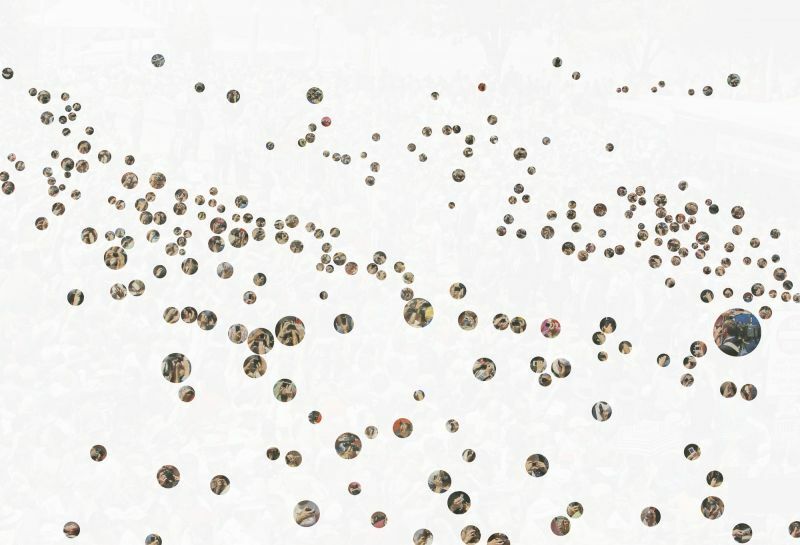 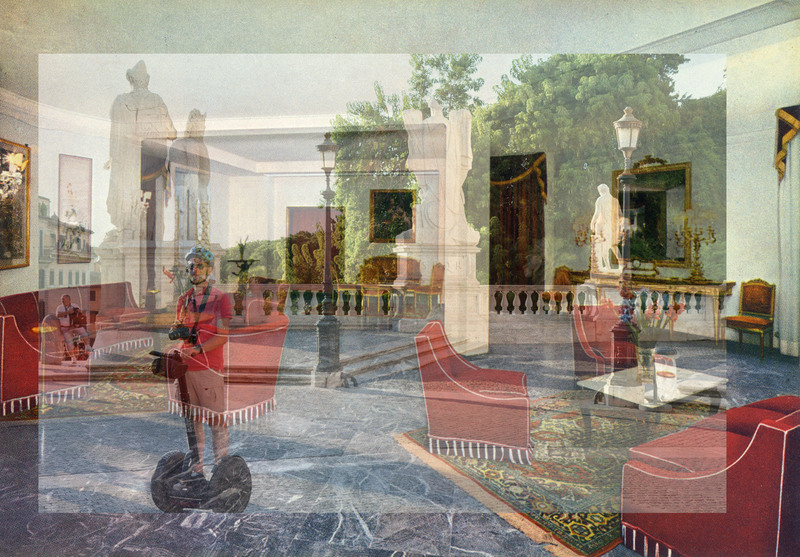 Simon Roberts participates with the Galleria Ramo from Lugano to the Biennale dell'Imagine. 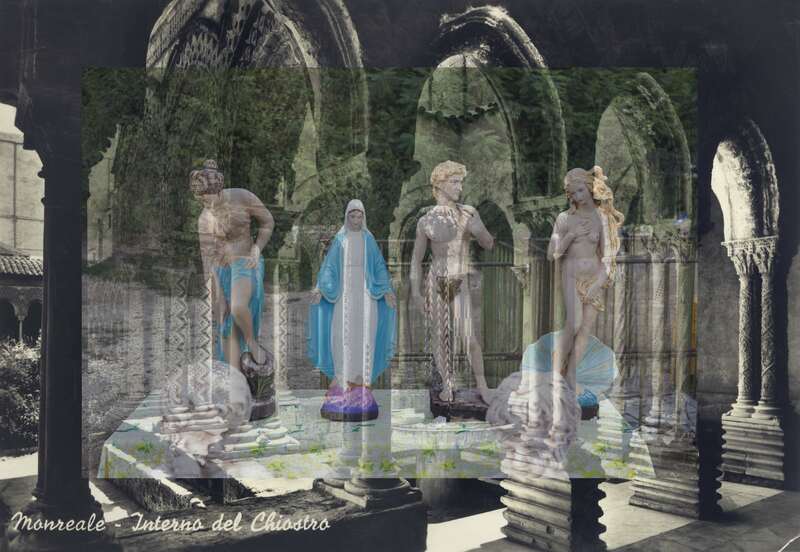 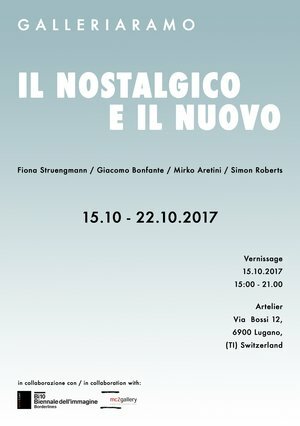 An exhibition of work by Fiona Struengmann, Giacomo Bonfante, Mirko Aretini and Simon Roberts entitled Il Nostalgico e il Nuovo. 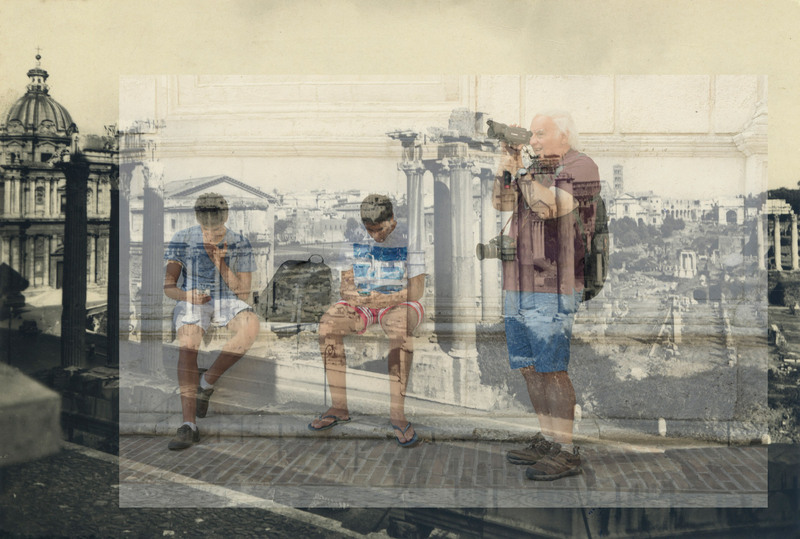 An exhibition of Simon Roberts' new series Normandy produced during a residency with the Centre photographique in Rouen will be touring to Abbaye aux Dames in Caen and then the Musée d'Art - Histoire - Archéologie in Evreux - FR. 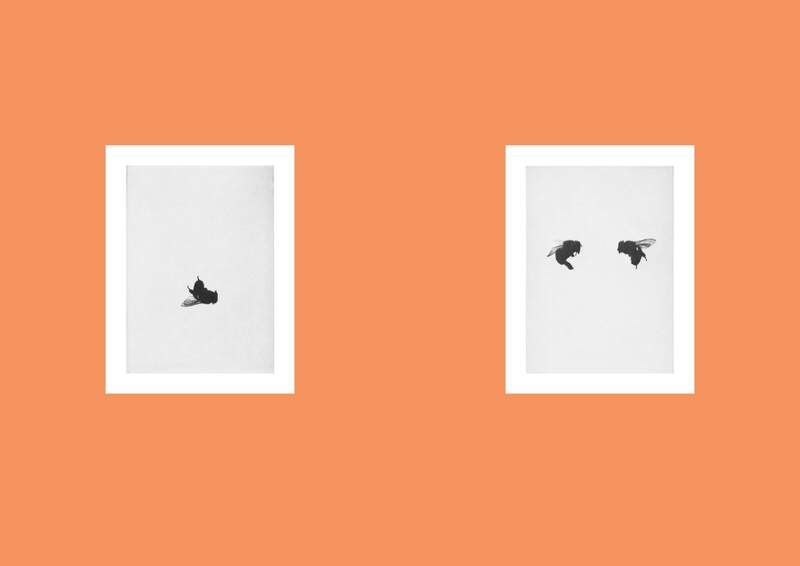 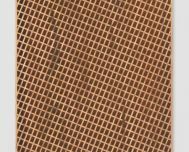 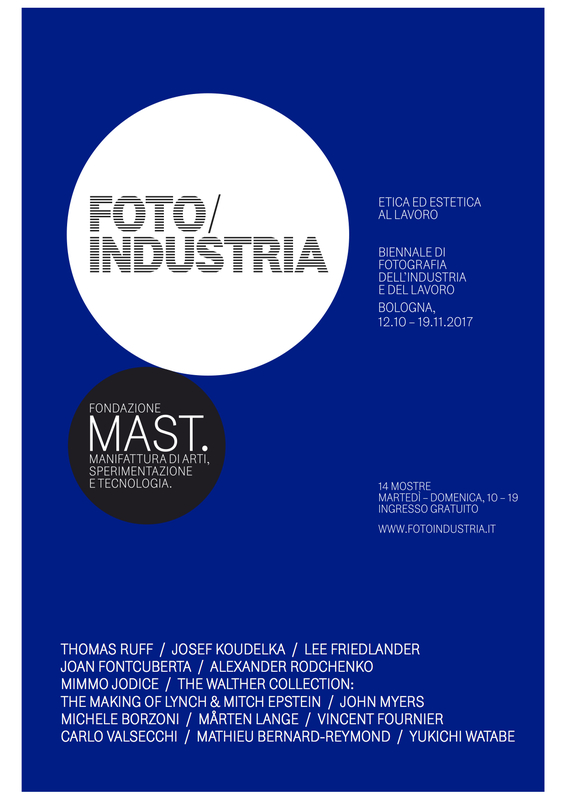 Participation of Mathieu Bernard-Reymond and his Transform series in Foto/Industria, the Biennial of Photography on industry and work in Bologna - IT. 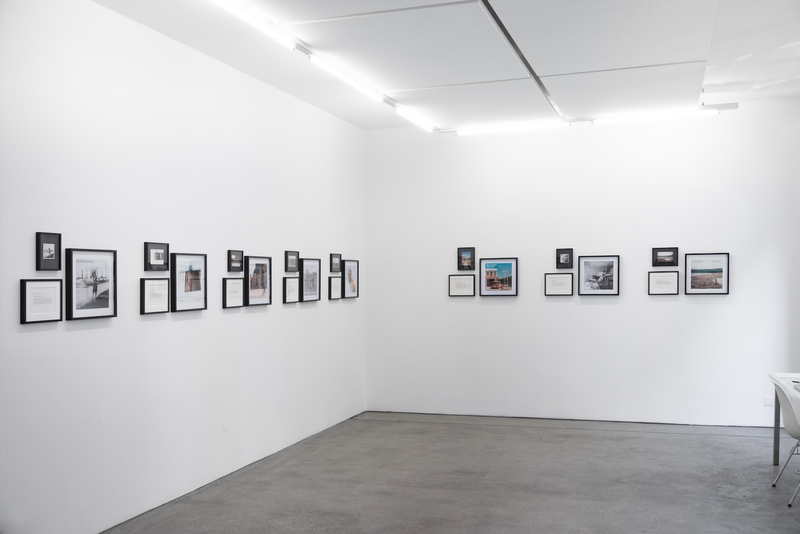 With Thomas Ruff, Josef Koudelka, Lee Friedlander, Joan Fontcuberta, Alexander Rodchenko, Mimmo Iodice, Mitch Epstein, John Myers, Michele Borzoni, Marten Lange, Vincent Fournier, Carlo Valsecchi, Mathieu Bernard-Reymond and Yukichi Watabe. 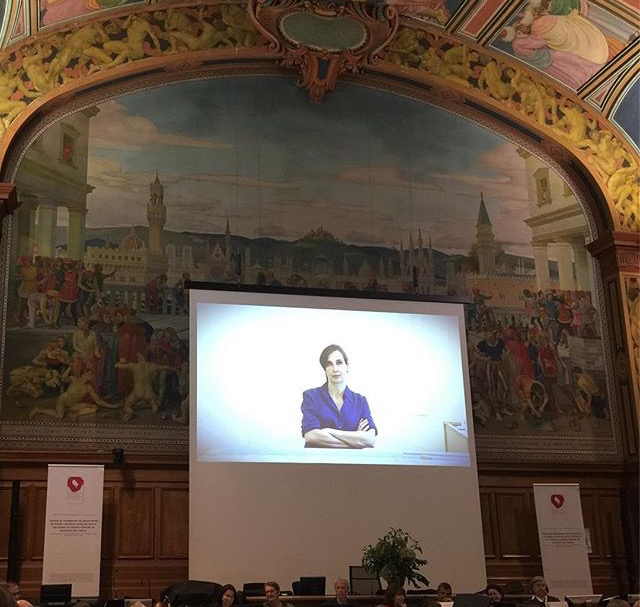 Toutes nos félicitations à Sophie Bouvier Ausländer qui s'est vue decerner le Grand Prix 2017 de la Fondation Vaudoise pour la Culture. 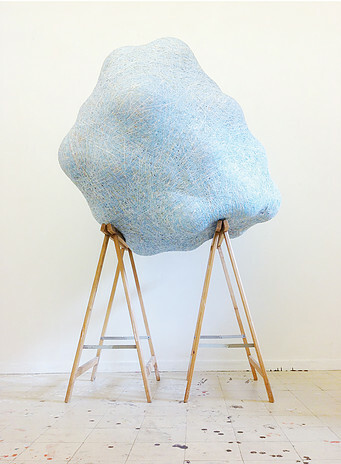 Participation of Aurélie Gravas in the Biennale9 entitled Oh Les Beaux Jours, Une esthétique des moyens disponibles in Louvain-la-Neuve - BE. 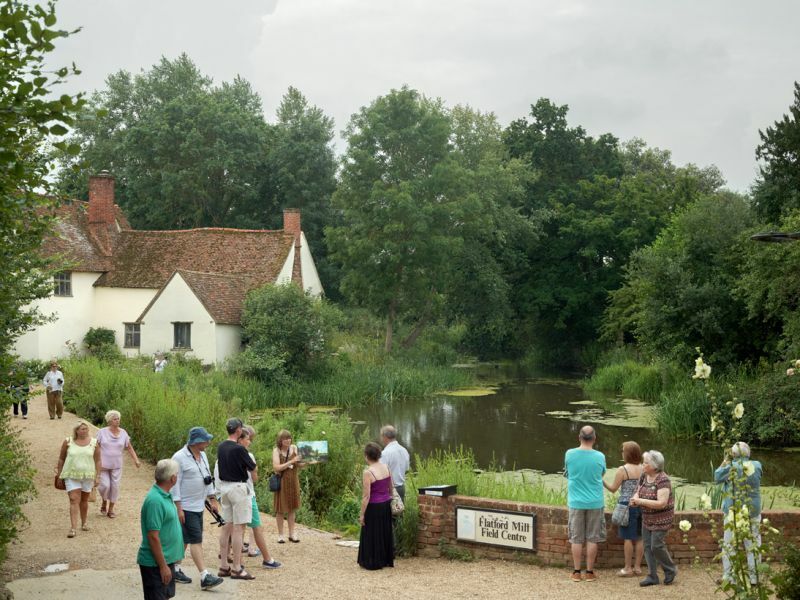 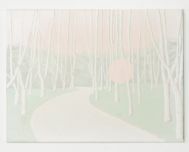 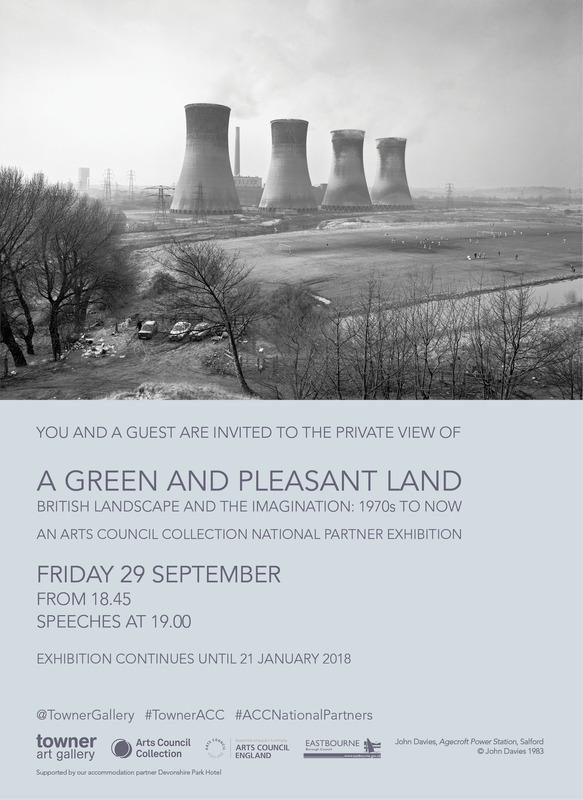 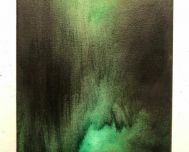 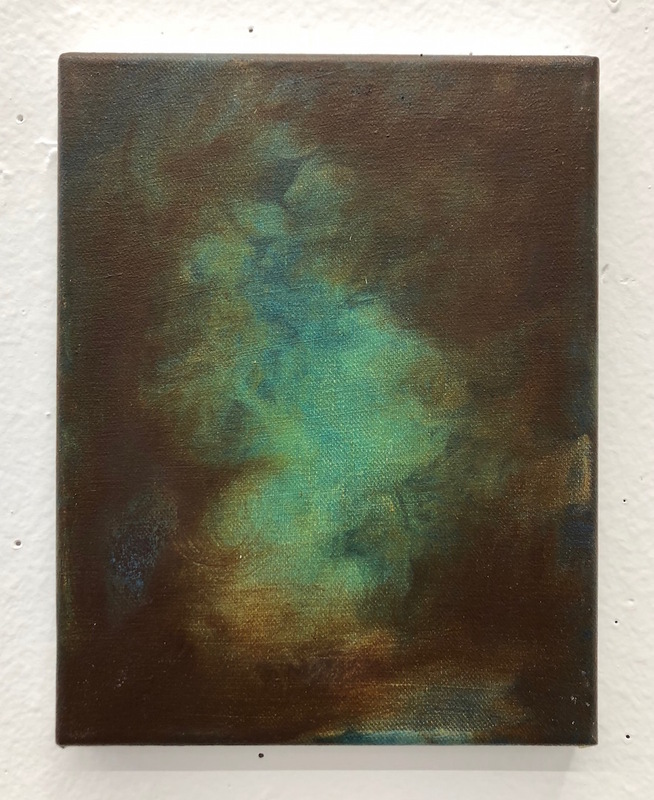 Simon Roberts has several pieces included in this group show, an Arts Council Collection National Partner Exhibition entitled A Green and Pleasent Land - British Landscape and the Imagination: 1970 to Now. 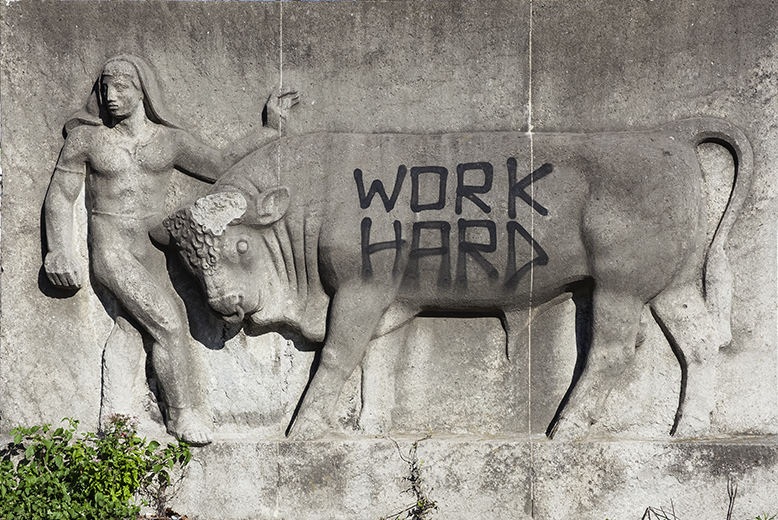 Wer macht die Arbeit und wann ist sie getan? 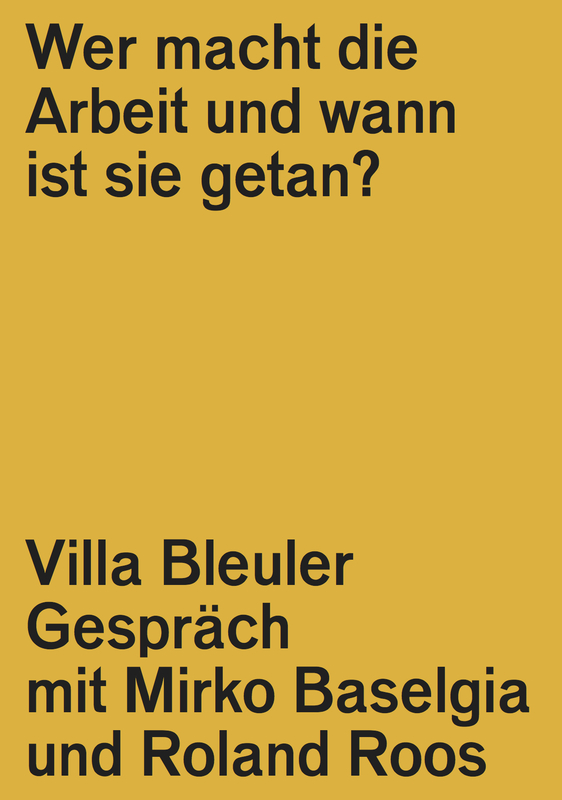 Talk with Mirko Baselgia and Roland Roos at the Villa Bleuler in Zurich, organized by the Swiss Institute for Art Research (SIK-ISEA) and the Kunstbulletin. 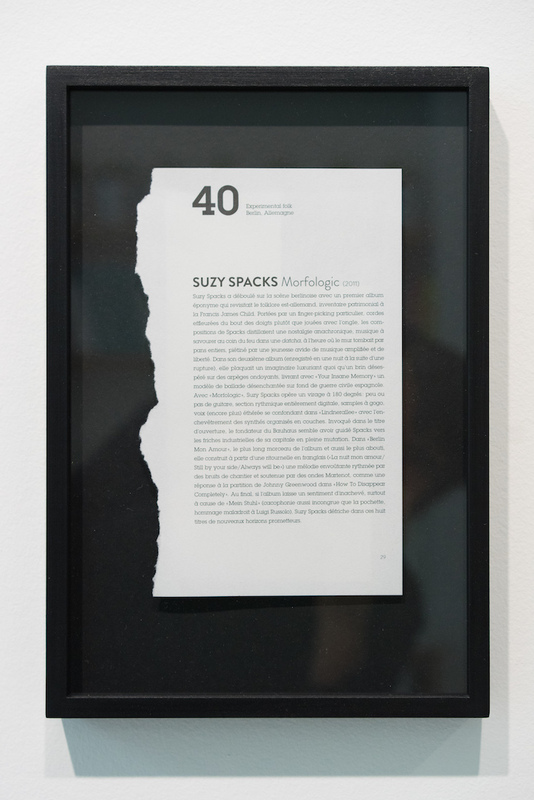 Solo show at the Project Space of the Centre d'Art Contemporain of Geneva. 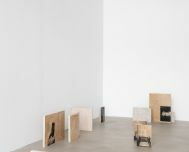 Participation of Mirko Baselgia to the Triennale d'art contemporain du Valais. 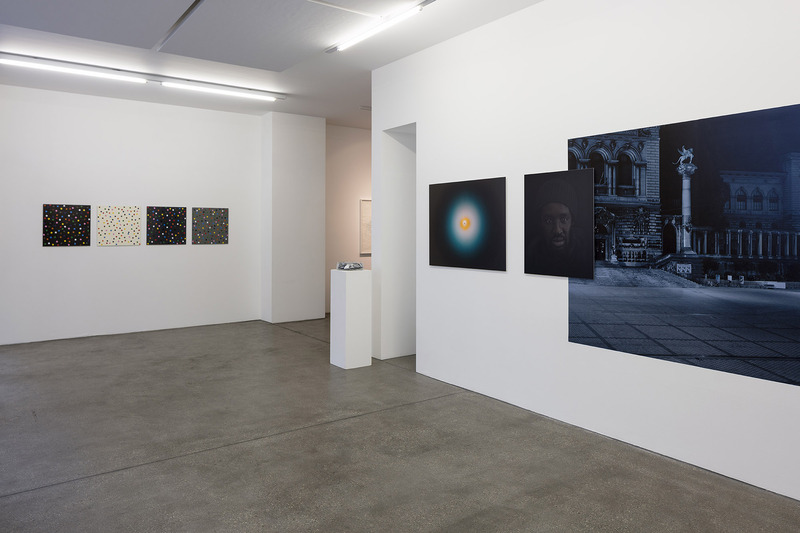 With Joëlle Allet, Mirko Baselgia, Monica Bonvicini, Valentin Carron, François Curlet, Andreas Dobler, Eggs & Bitschin, Laurent Faulon, Didier Faustino, Vidya Gastaldon, Séverin Guelpa, Fabrice Gygi, Lang/Baumann, Jérôme Leuba, Gianni Motti, Sandrine Pelletier, Céline Peruzzo, Anne-Chantal Pitteloud, Abraham Poincheval, Cédric Raccio, Anne-Julie Raccoursier, Delphine Reist, Pipilotti Rist, Marie Sacconi + ECAV, Valeria Schwarz, Roman Signer, Josette Taramarcaz, Alexia Turlin, Erwin Wurm, Matthias Wyss, Daniel Zamarbide (BUREAU). 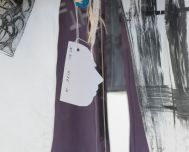 Location: A9 Relais du Saint-Bernard in Martigny and in 16 other institutions in Valais. 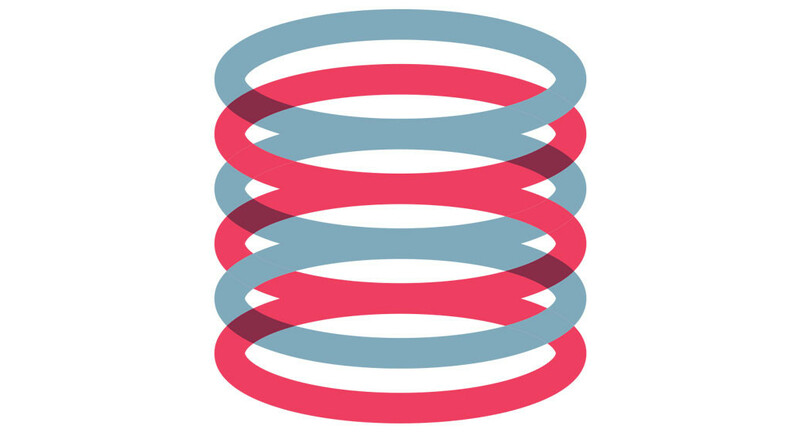 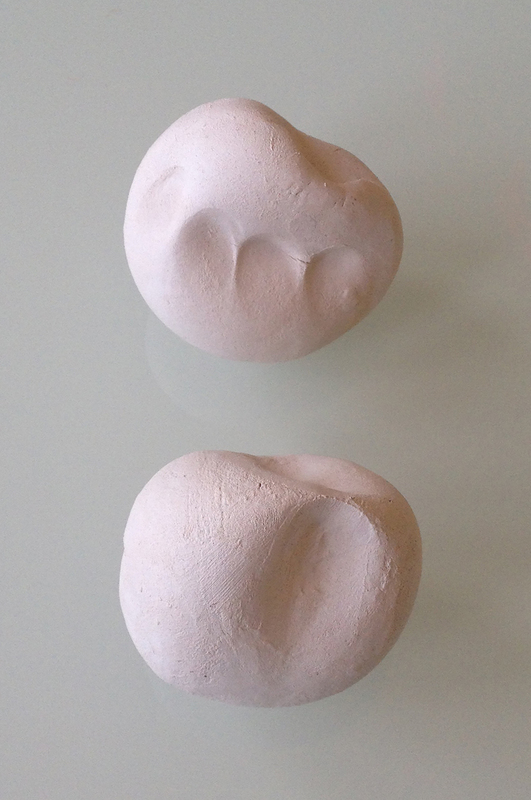 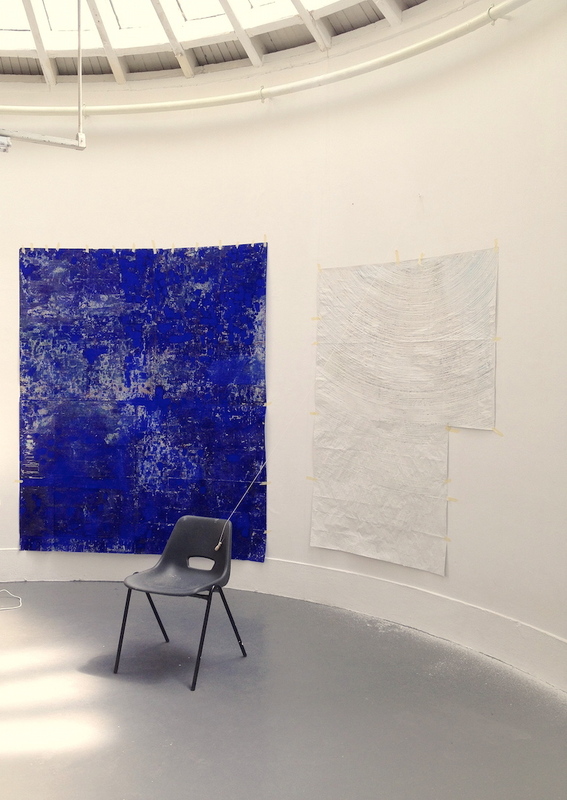 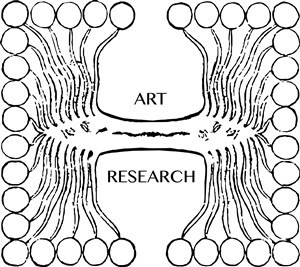 Research Residency at the Round Room at Slade School of Fine Art UCL - London. 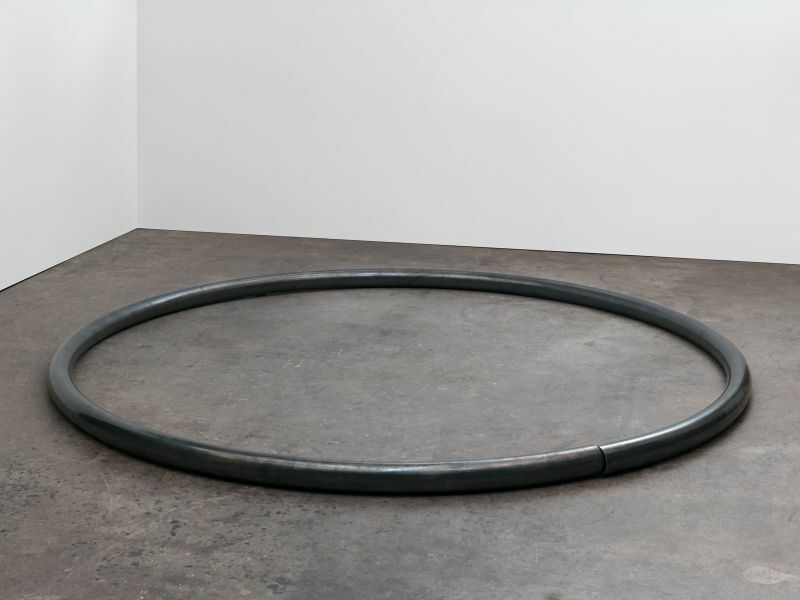 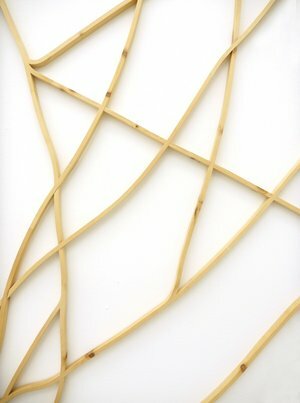 Participation of Mirko Baselgia to the group show entitled Based on Nature - material, form, structure at the Museum Sinclair-Haus - Altana Stiftung in Bad Homburg - D.
Participation de Mathieu Bernard-Reymond à l'exposition "Pleins feux. 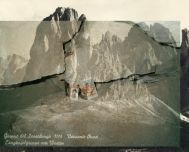 La photographie dans la Collection d'art de la Ville de Lausanne" au CHUV à Lausanne. 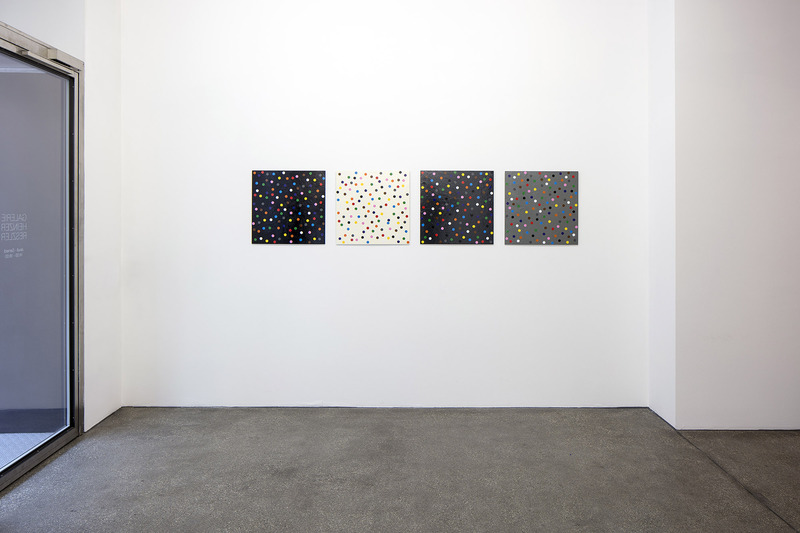 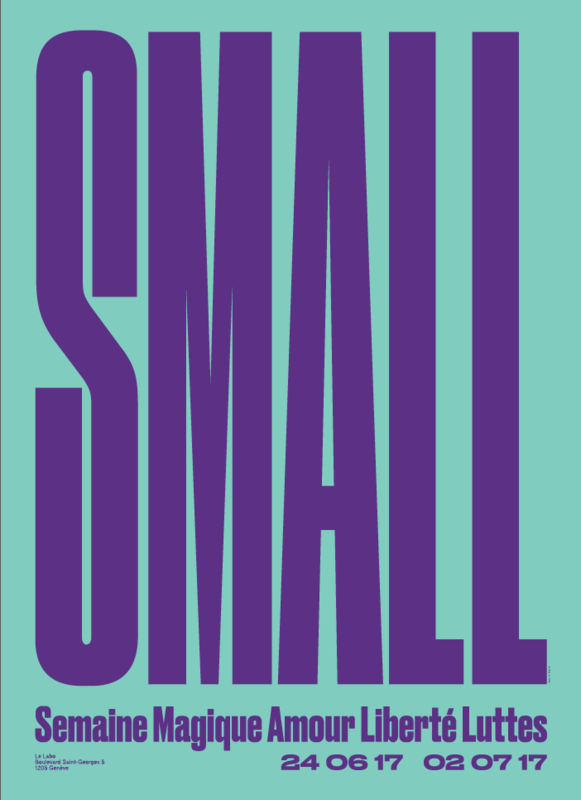 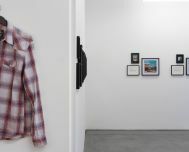 Group show entitled SMALL at Le Labo, Geneva. 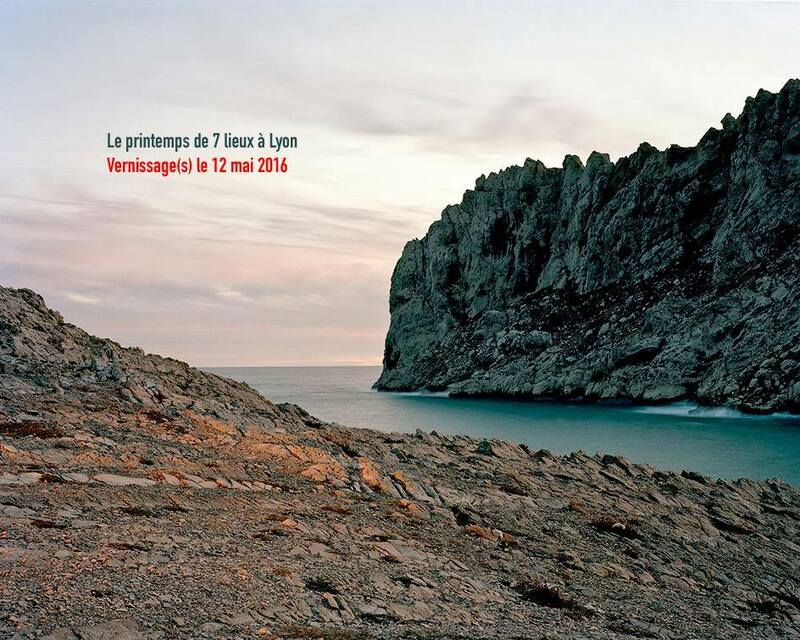 With Diego Castro, Etienne Chosson, Andreas Hochuli, Elena Montesinos and Virginie Morillo. 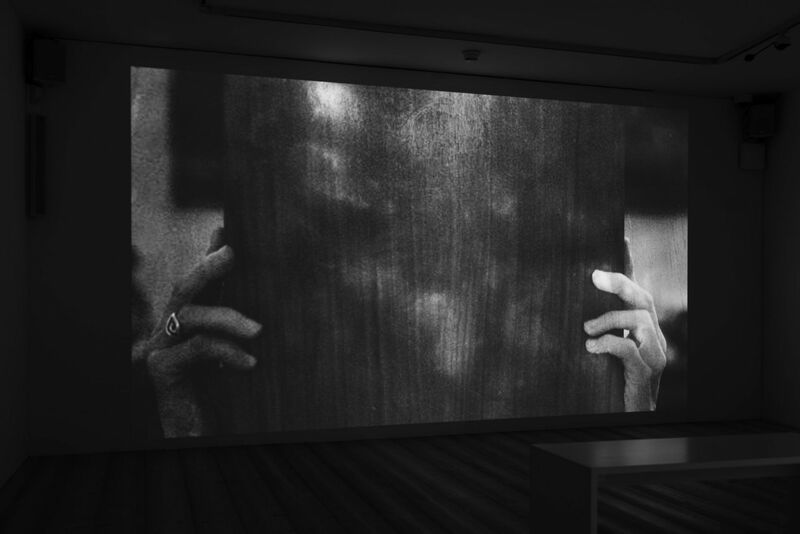 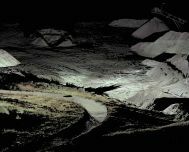 Participation de Thibault Brunet à la Nuit des Images au Musée de l'Elysée de Lausanne. 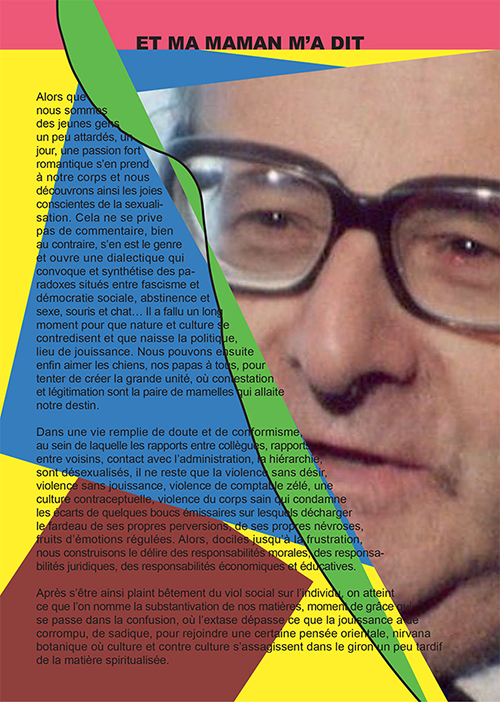 Il y présentera des videos de sa série Territoires circonscrits. 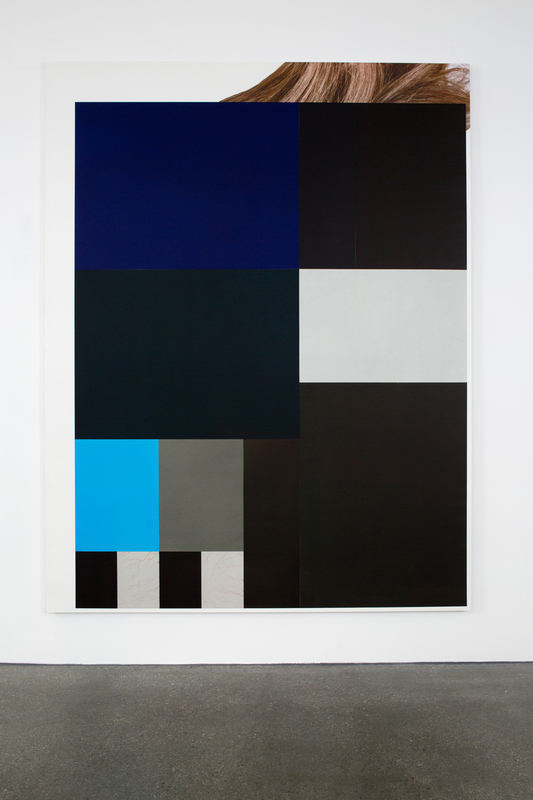 Participation of Andreas Hochuli to Art Basel fair with galerie Ecart. 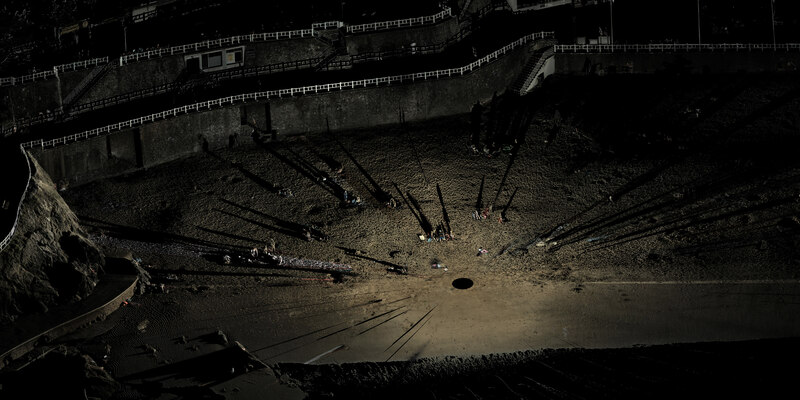 Simon Roberts new series, Normandy, has just launched at Centre photographique - Pôle Image Haute-Normandie in Rouen - FR. 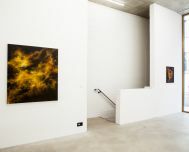 The work was made between 20014-2016 as part of a residency with the Centre photographique. 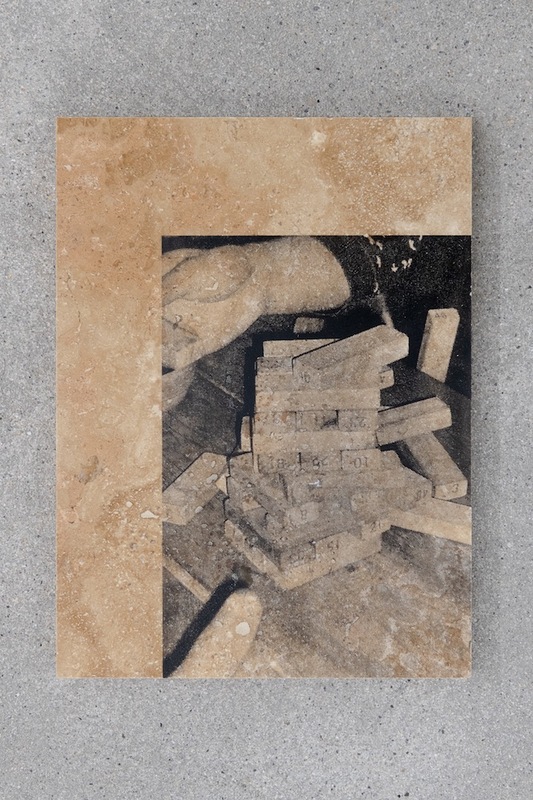 Group show at Das Esszimmer in Basel. 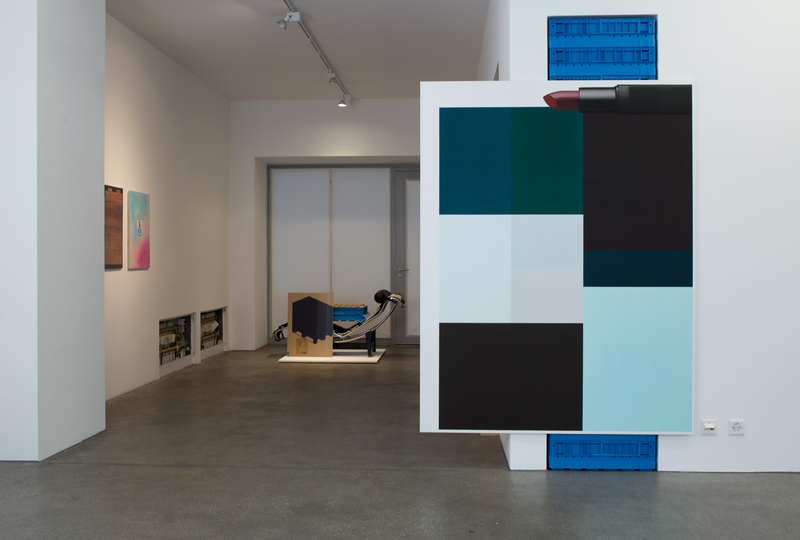 Solo show Transform at Galerie Baudoin Lebon in Paris. 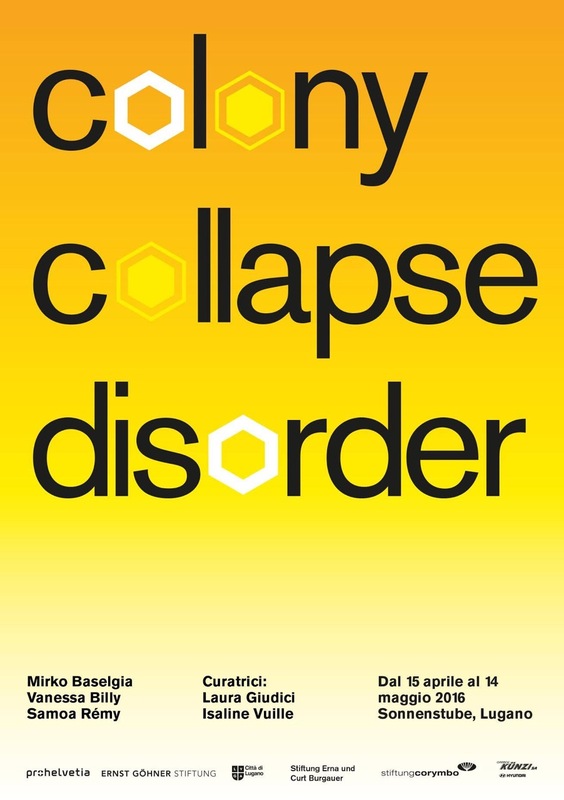 Participation of Mirko Baselgia to Bey & Arts, Triennale de sculpture contemporaine. 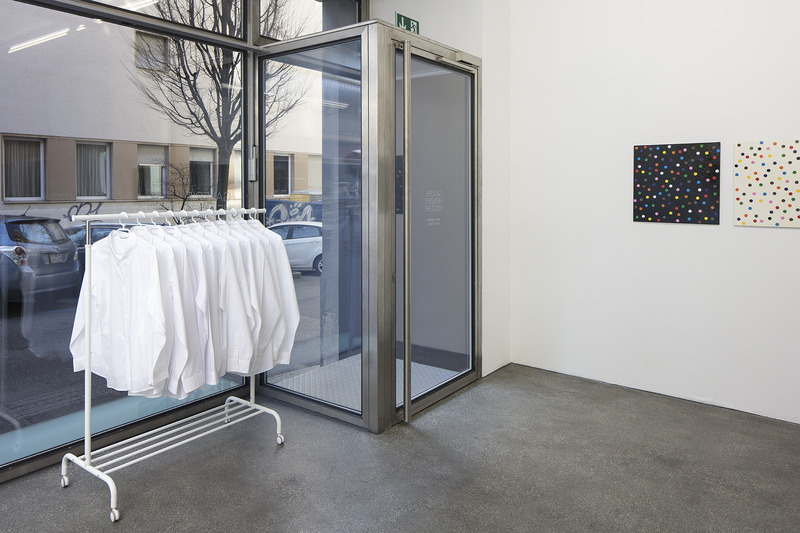 Solo show entitled Public Performance at Robert Morat Gallery in Berlin. 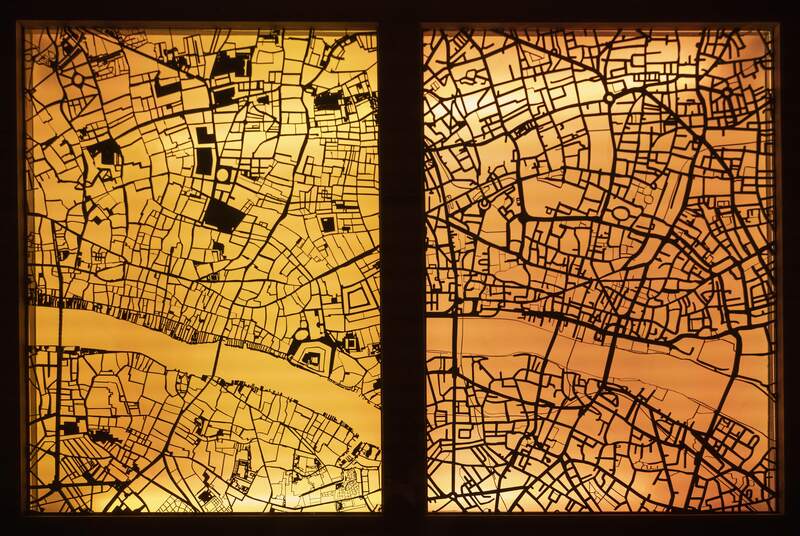 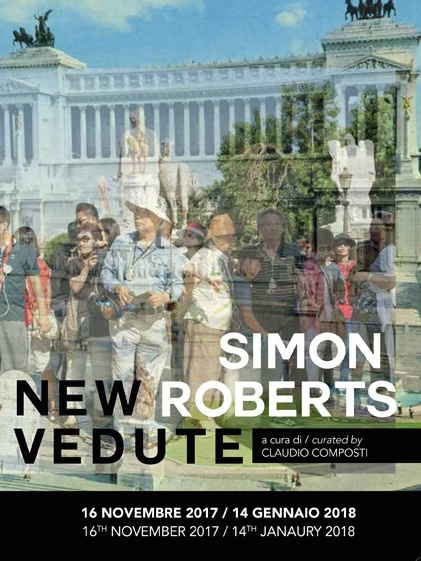 Solo show entitled New Vedute at the Italian Cultural Insitute in London. 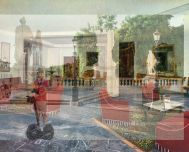 Partcipation to the Photo London 2017 fair at Somerset House. 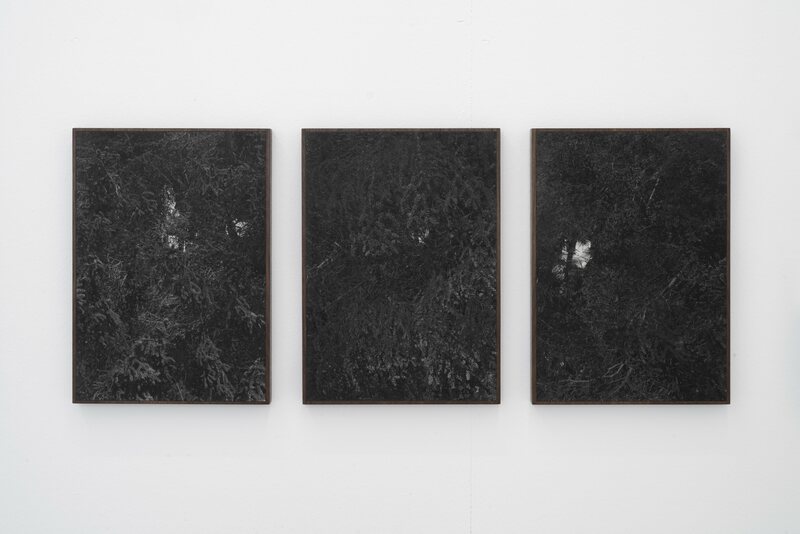 With Mathieu Bernard-Reymond, Thibault Brunet and Simon Roberts. 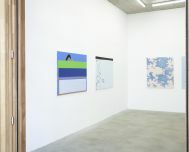 Solo show Avalanche at Patrick Heide Contemporary Art in London - UK. 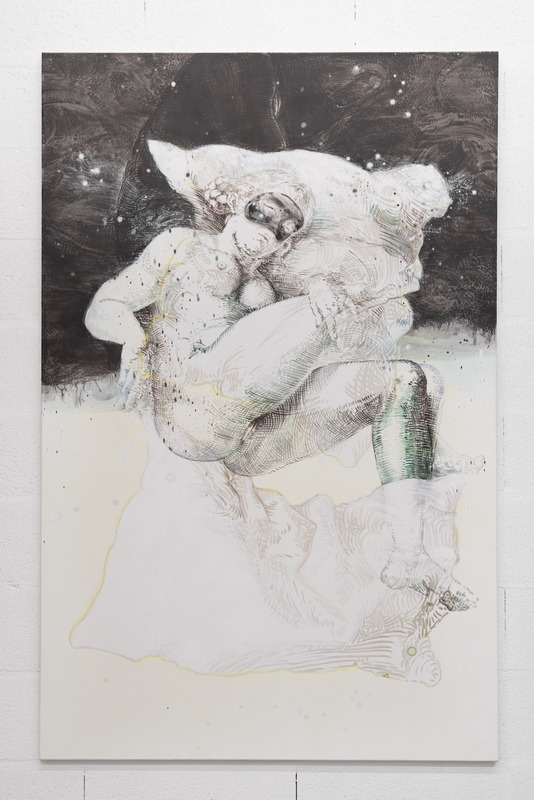 Group show entitled Dirty Love Autopsy at Shanaynay in Paris - FR. 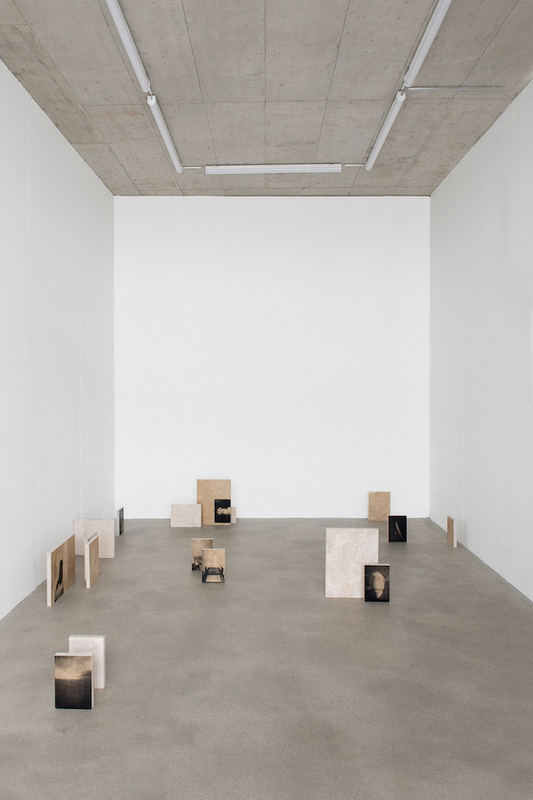 With Andreas Hochuli, David Hominal, Cynthia Maughan, Sidsel Meineche Hansen, Dan Mitchell and Lili Reynaud Dewar. 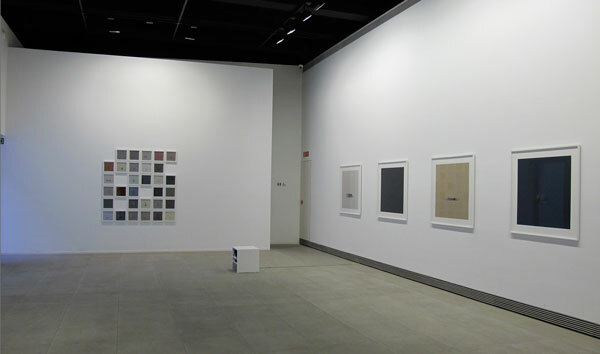 Participation at the group show Linien bündeln, Zeichnungen aus der Zammlung at the Kunstmuseum Olten. 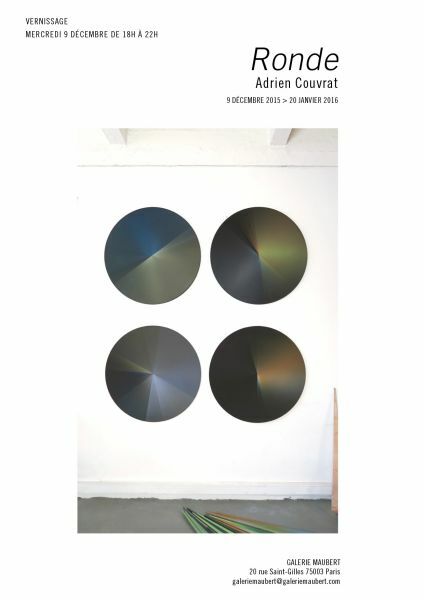 Solo exhibition entitled Soleil Noir at the art center La Halle in Pont-en-Royans - FR. 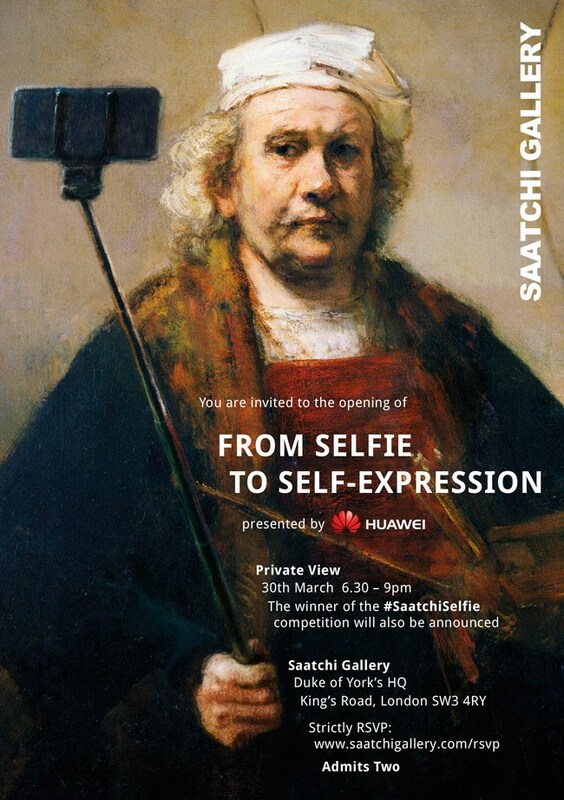 Participation of Simon Roberts to the exhibition From Selfie To Self-Expression at Saatchi Gallery in London. 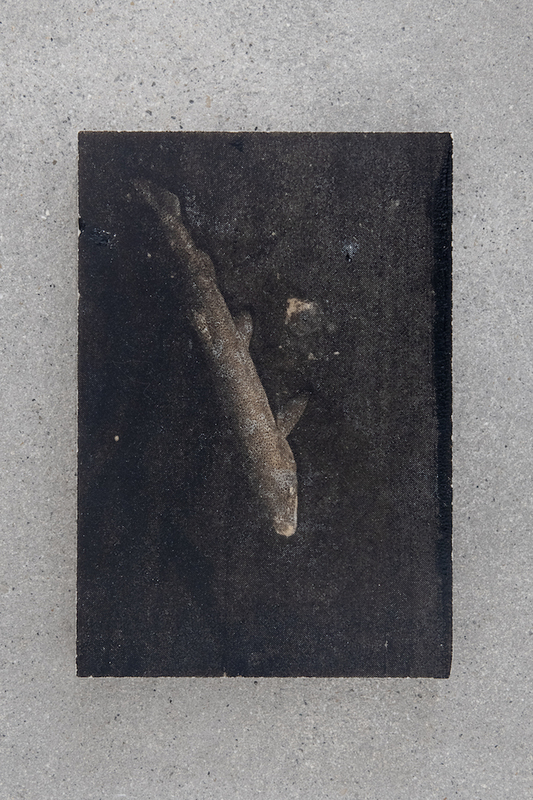 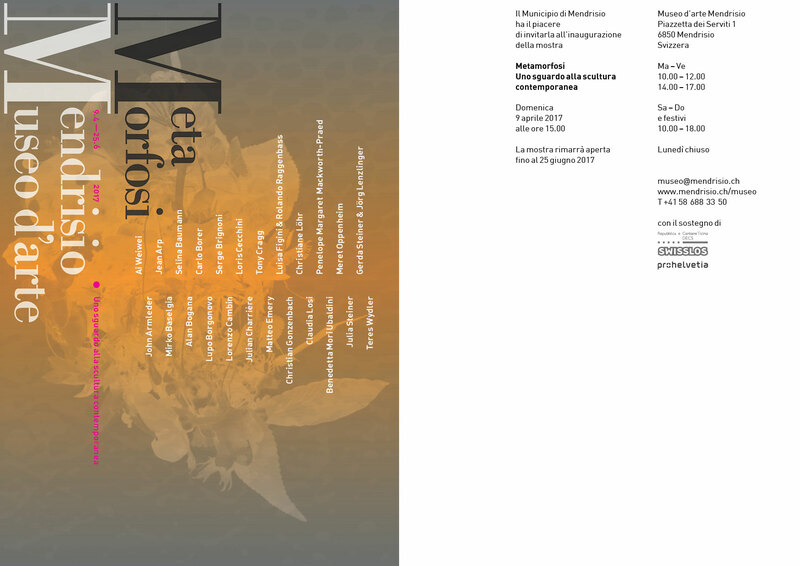 Group show Metamorfosi at the Museo d'Arte di Mendrisio. 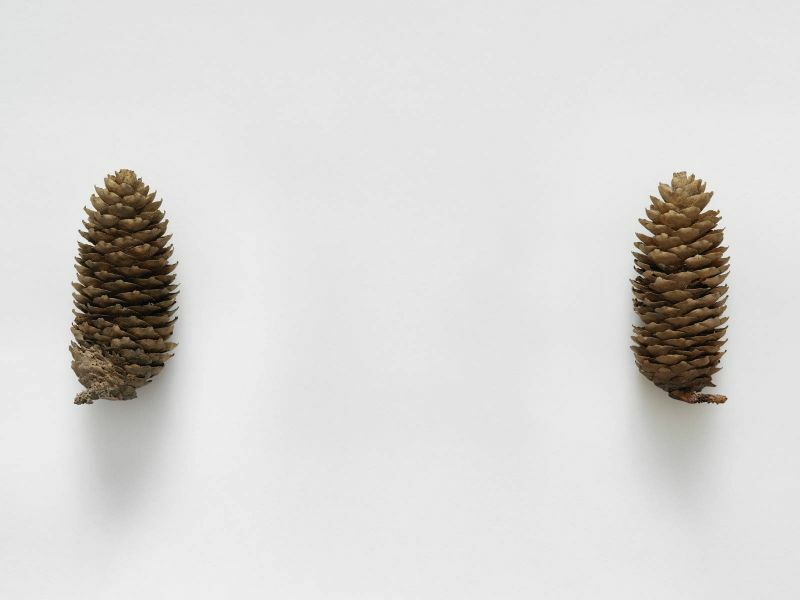 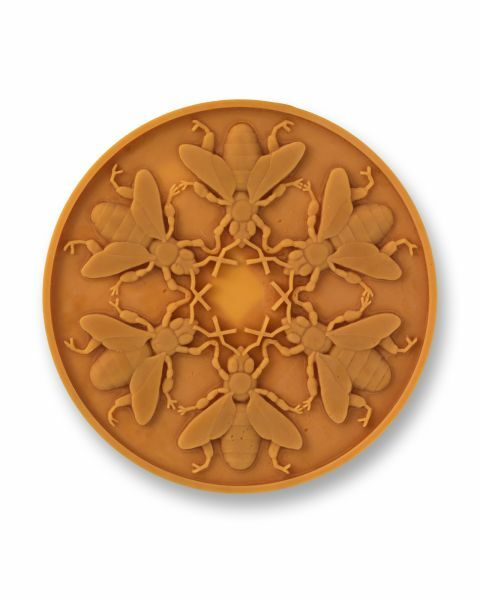 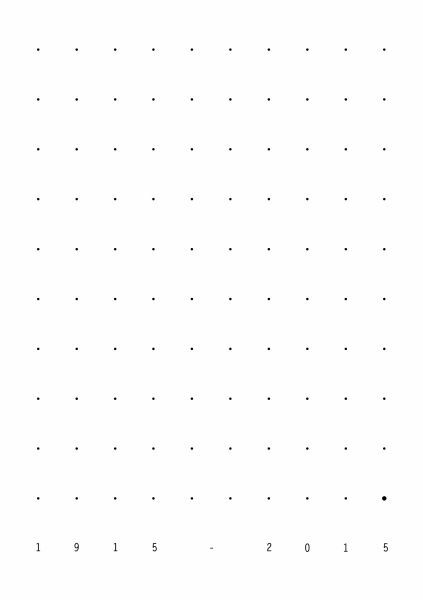 With: Ai Weiwei, John Armleder, Jean Arp, Selina Baumann, Mirko Baselgia, Alan Bogana, Lupo Borgonovo, Serge Brignoni, Lorenzo Cambin, Loris Cecchini, Julian Charrière, Tony Cragg, Matteo Emery, Luisa Figini & Rolando Raggenbass, Christian Gozenbach, Christiane Löhr, Claudia Losi, Penelope Margaret Mackworth-Praed, Meret Oppenheim and Steiner & Lenzlinger. 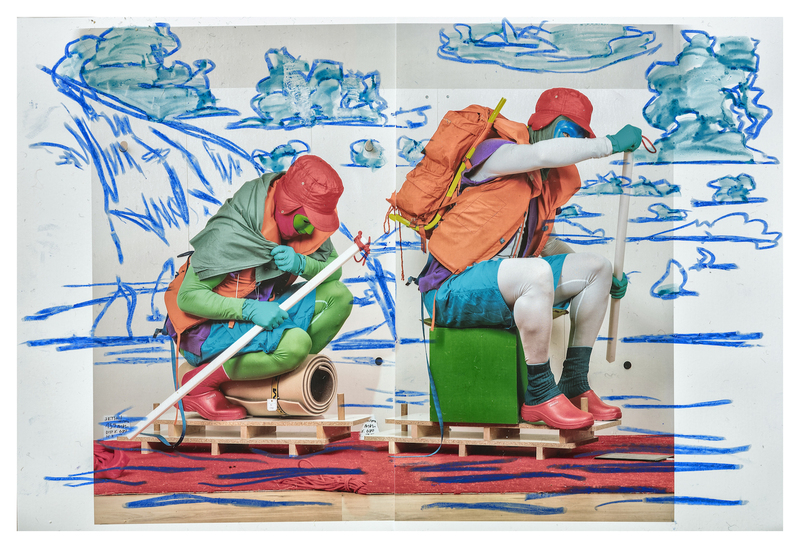 Group show Imprimer le monde at Centre Pompidou in Paris. 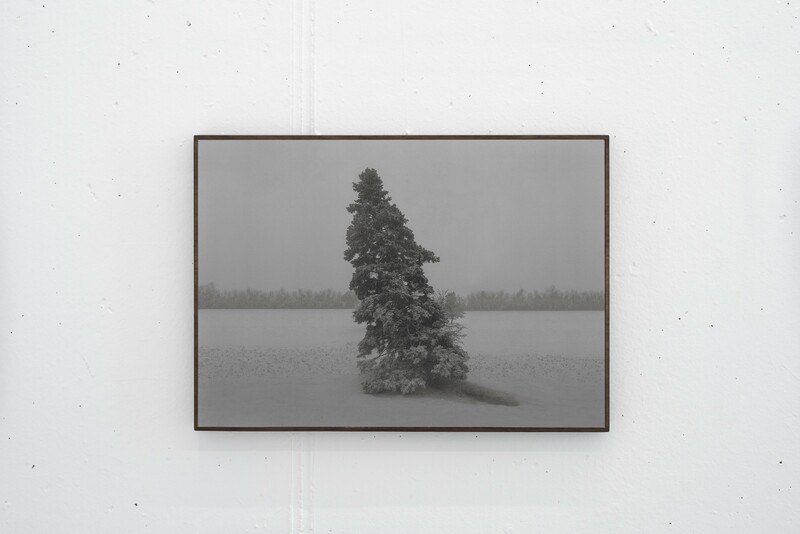 Solo exhibition of Simon Roberts entitled Landscape studies of a small island at Fotohof in Salzburg. 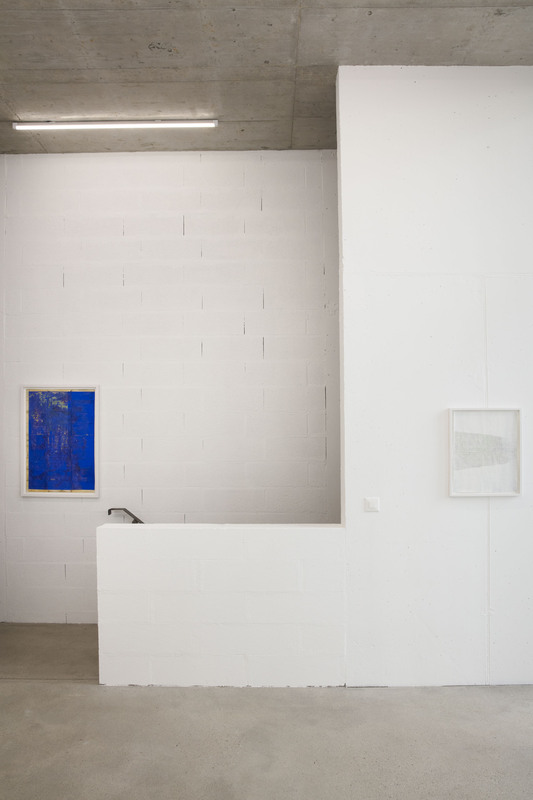 Solo show Avalanche at the Fondation Louis Moret in Martigny - CH. 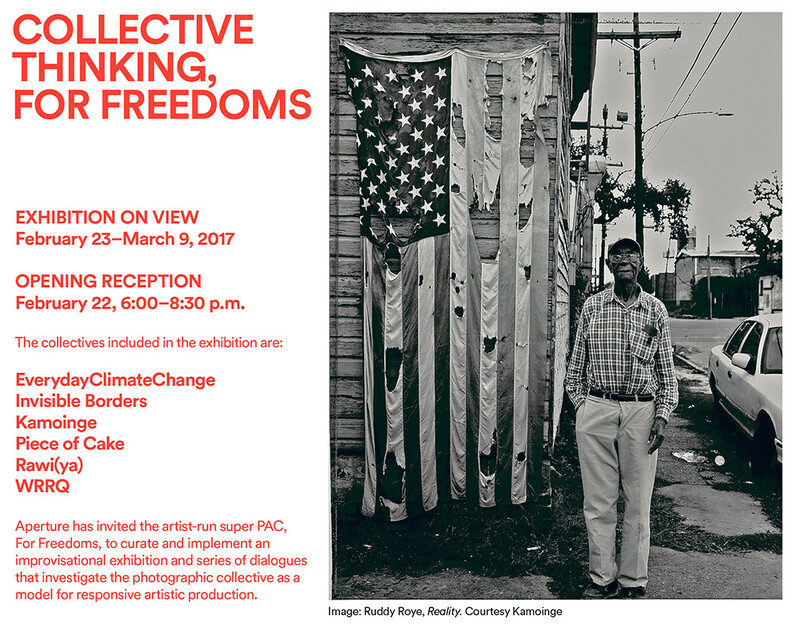 Piece of Cake, the artist collection Mathieu Bernard-Reymond and Simon Roberts belong to has been invited to participate in this event at Aperture (New York, USA): Collective Thinking, For Freedoms. 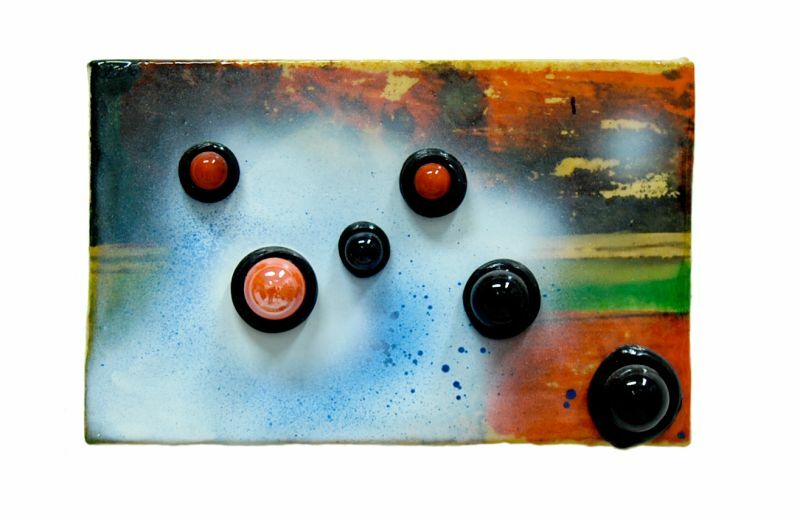 Group show Francia(s) Territorio Liquido at the Museo de Antiquia in Medellin - Colombia. 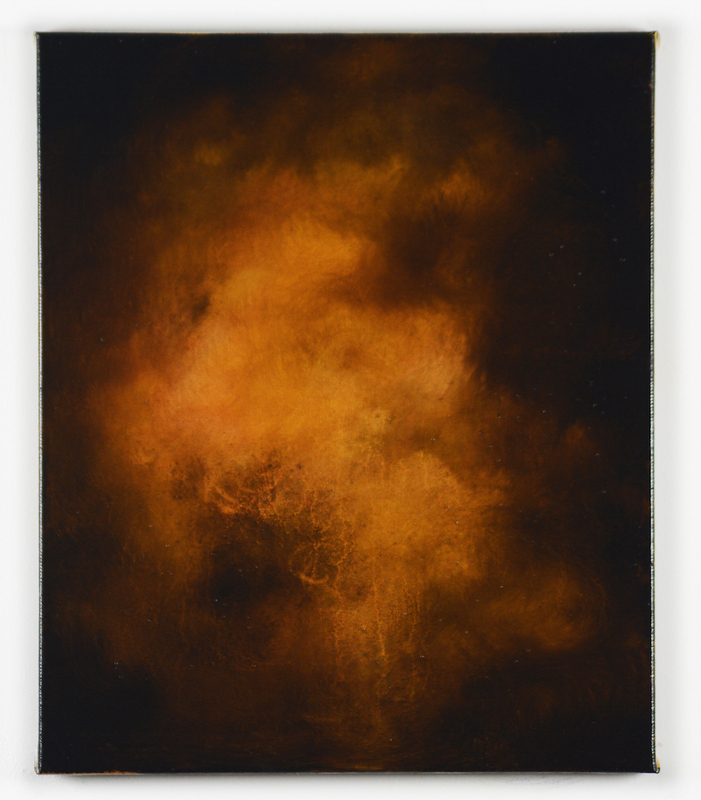 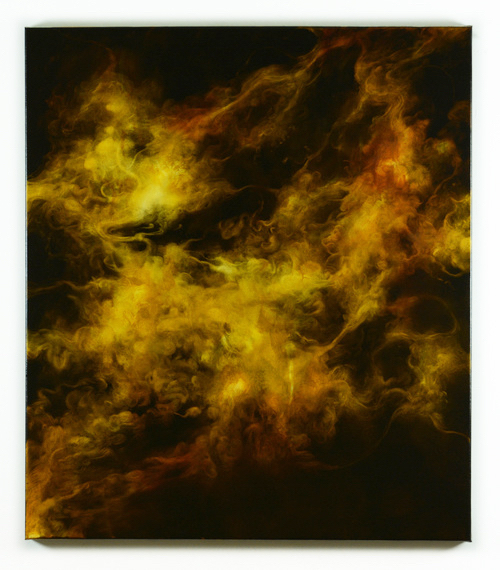 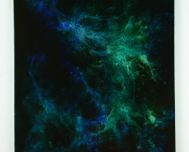 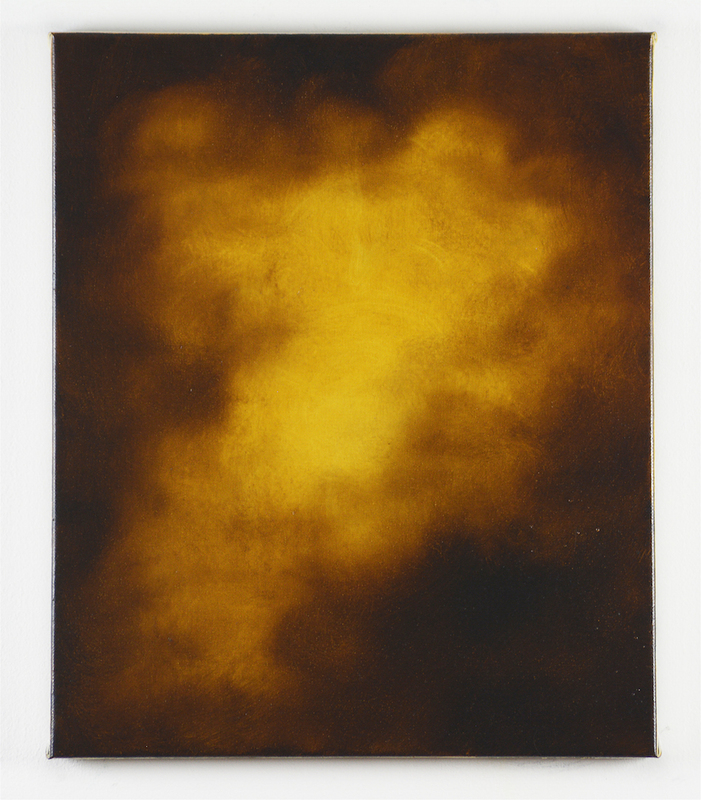 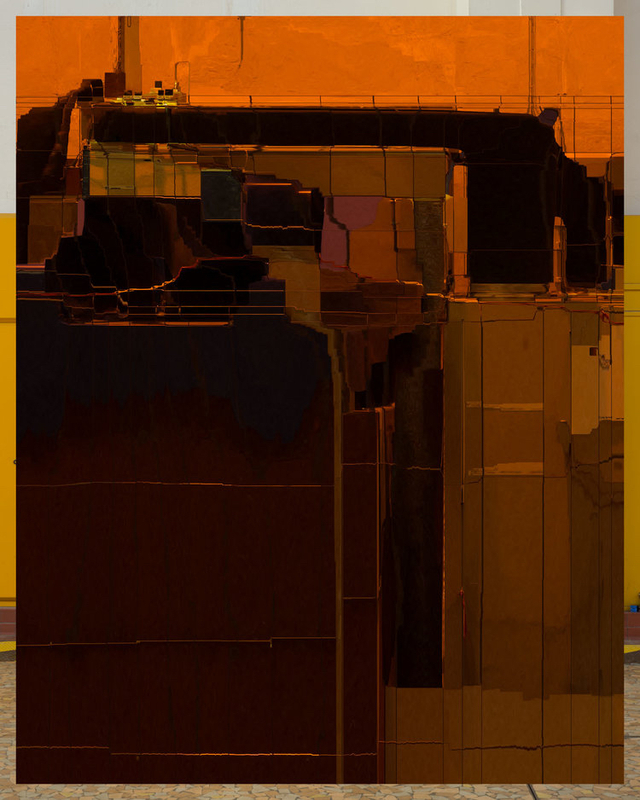 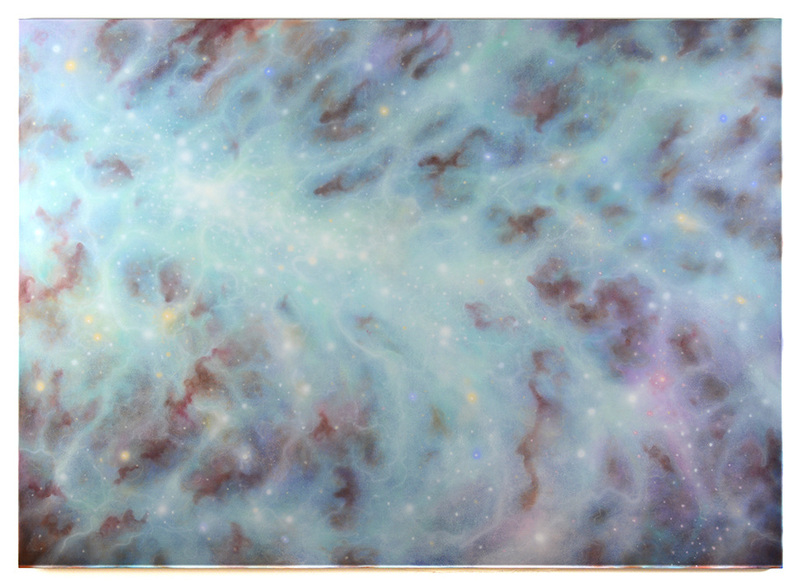 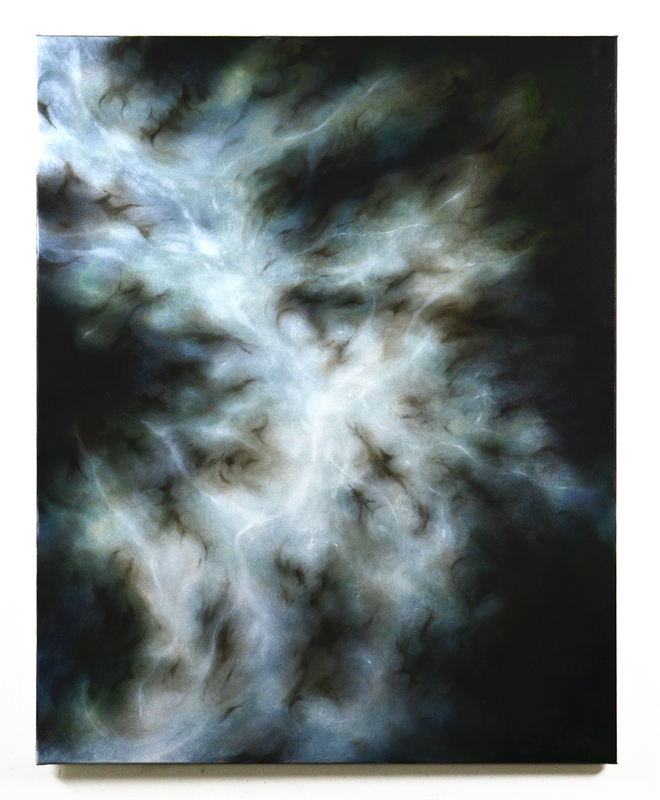 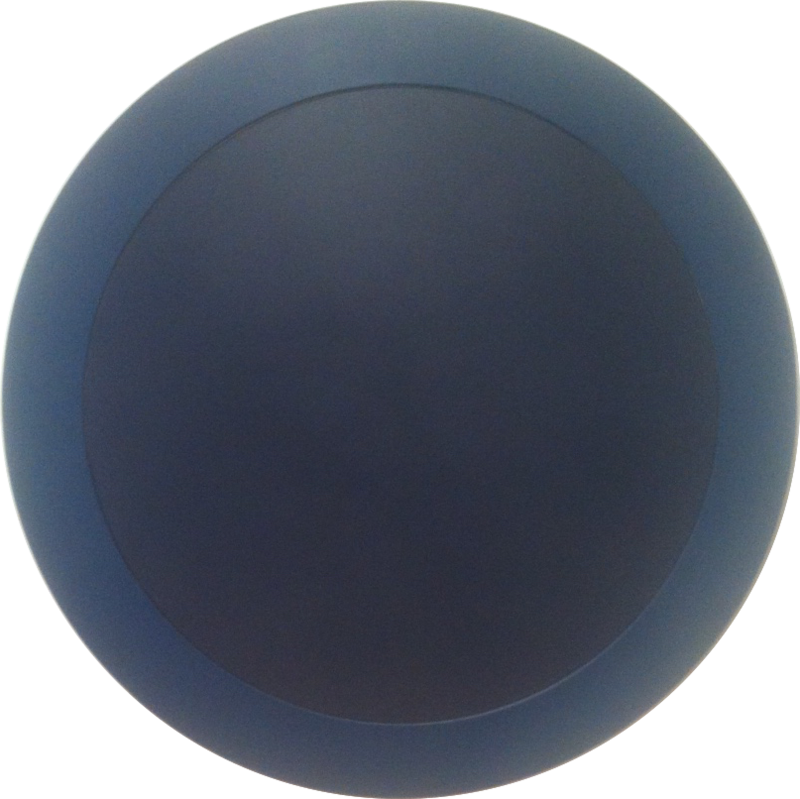 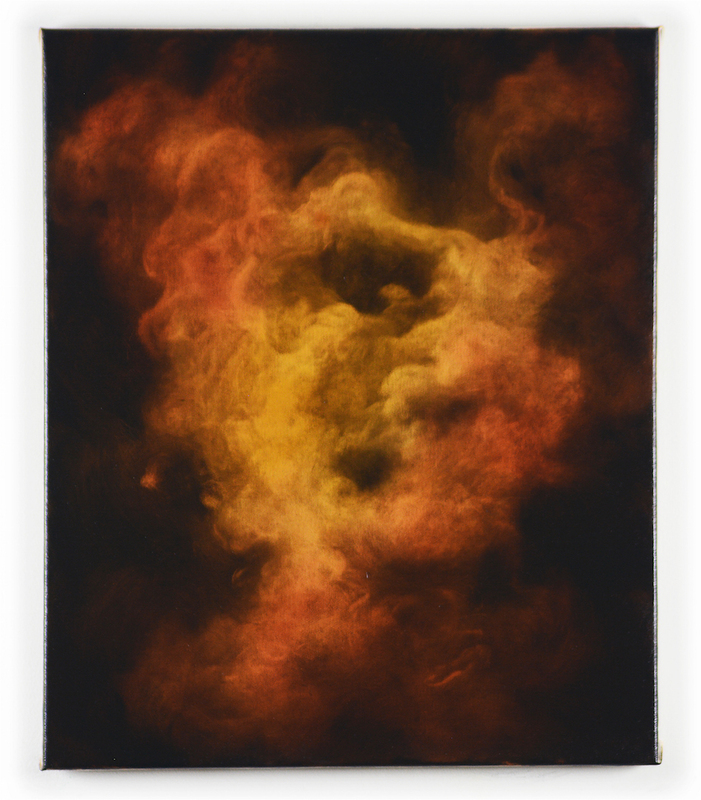 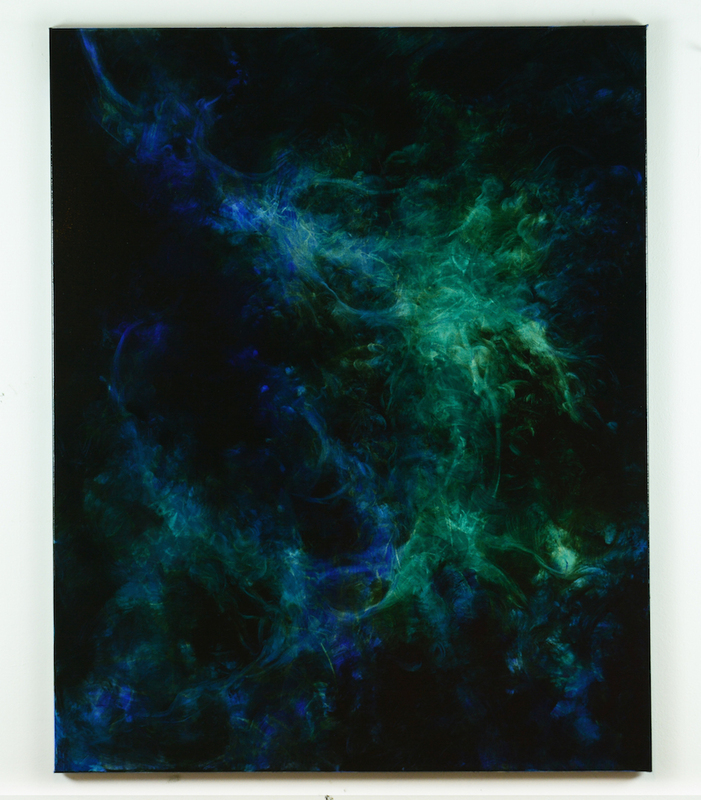 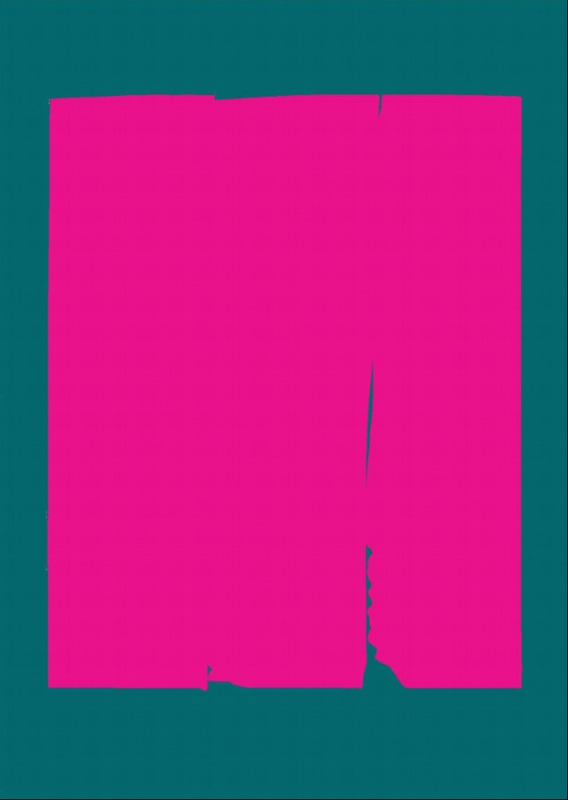 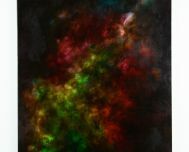 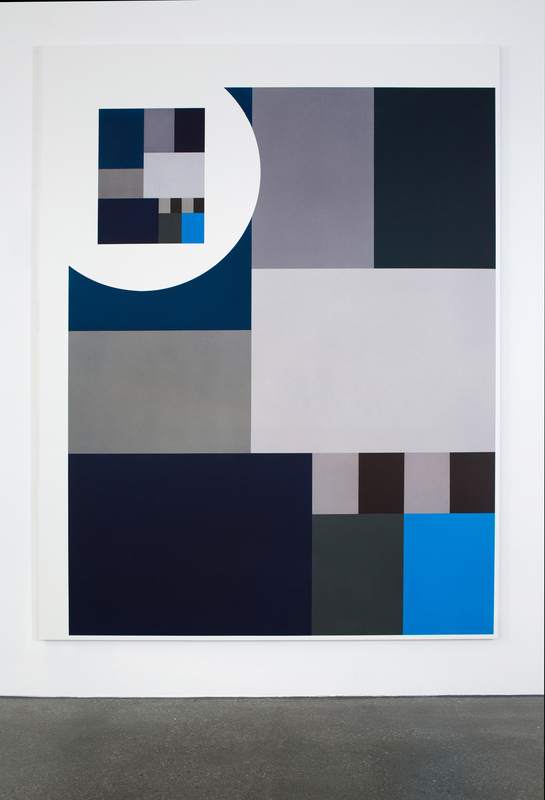 Mathieu Bernard-Reymond's Transform series will be exhibited at the Musée du Locle - CH in the group show Abstraction. 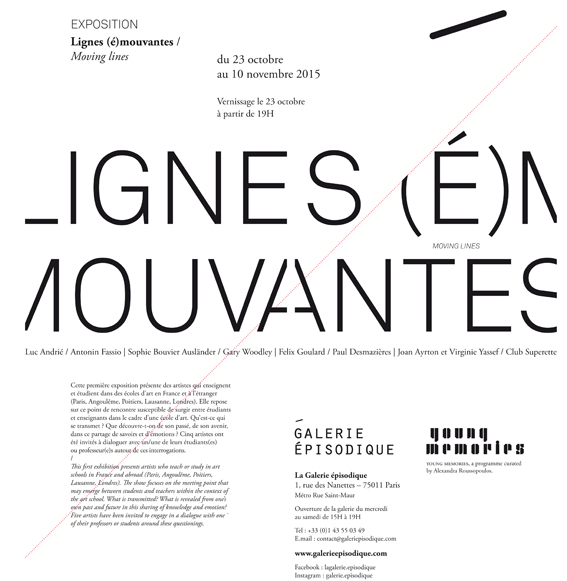 With Sol LeWitt, Anni Albers, Claudia Comte, Mathieu Bernard-Reymond, Wolfgang Zat and Ljobodrag Andrig. 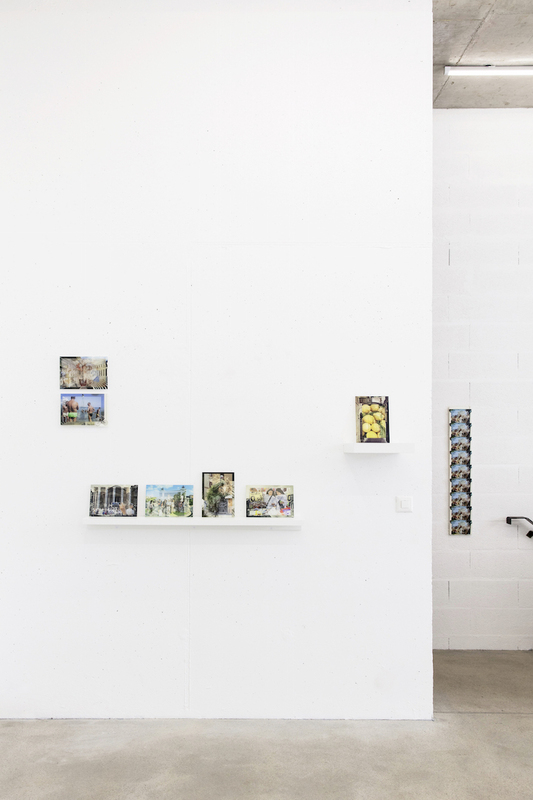 Presentation of Ways of Worldmaking and open houses of Gymnase de Renens, av. 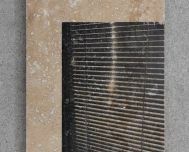 du Silo 1, CH - 1020 Renens. 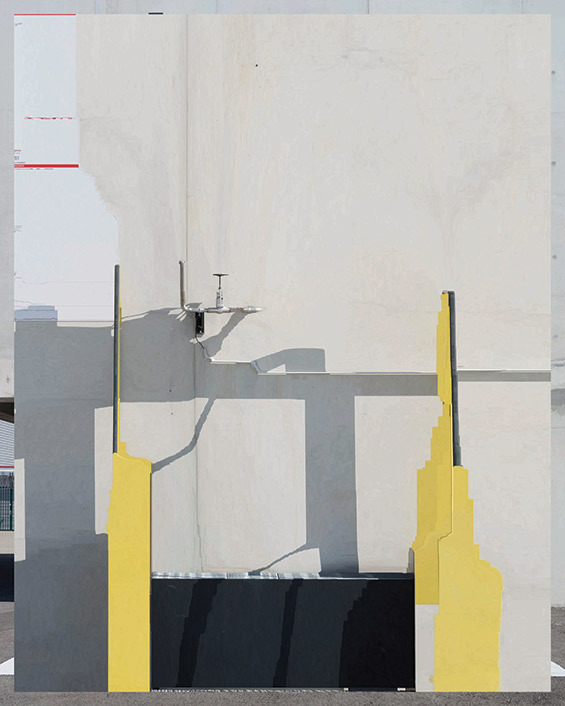 This public art is a cultural percent of Etat de Vaud. 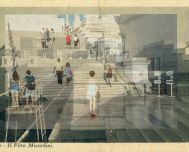 Architects Dettling Péléraux. 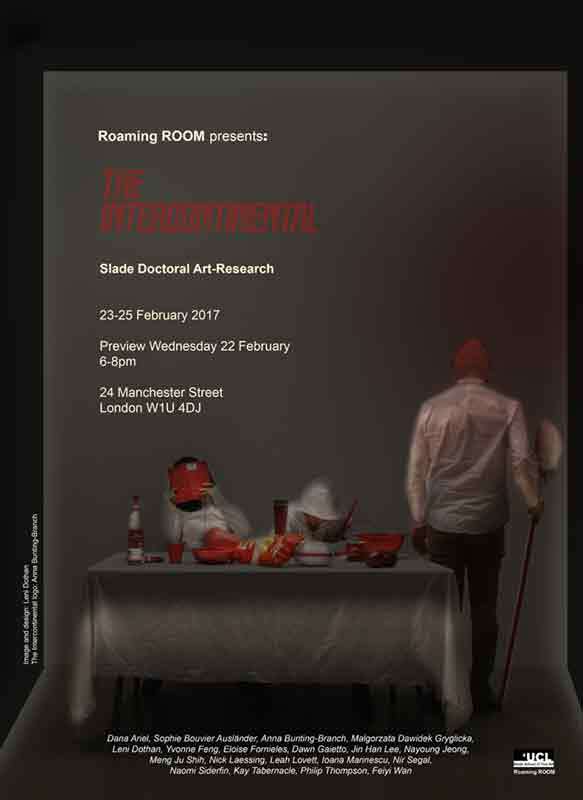 Roaming ROOM presents: The Intercontinental. 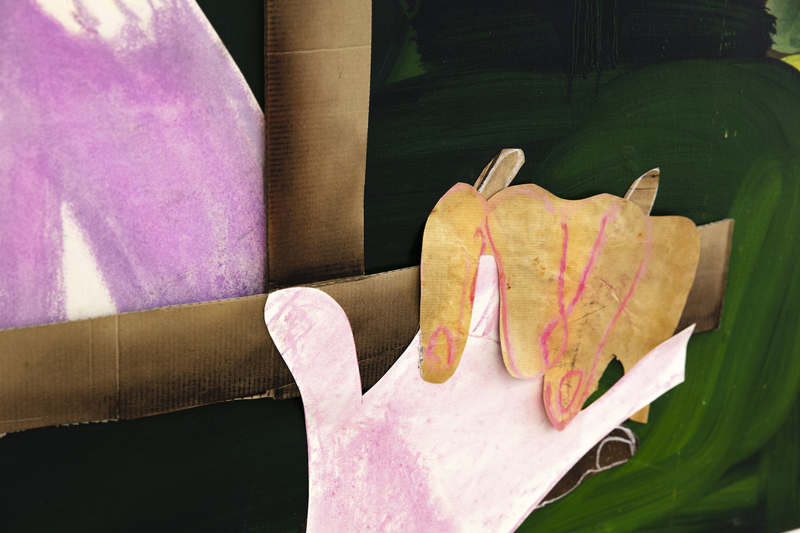 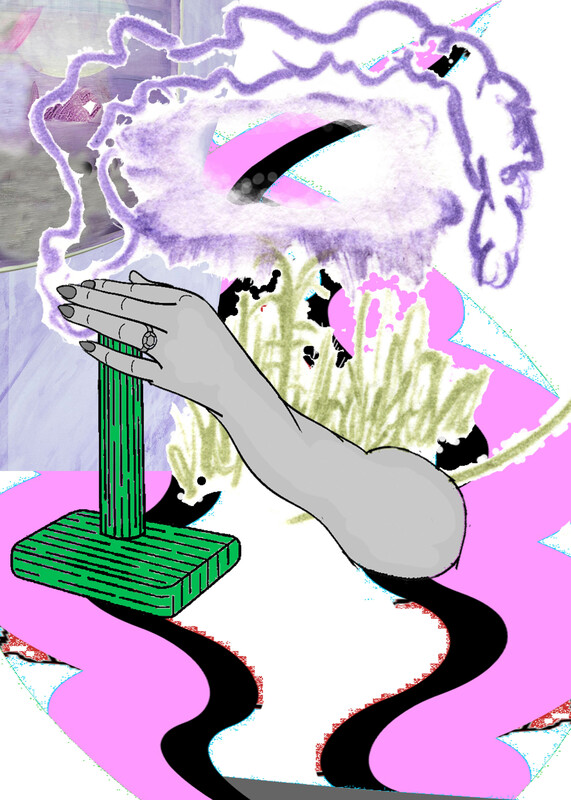 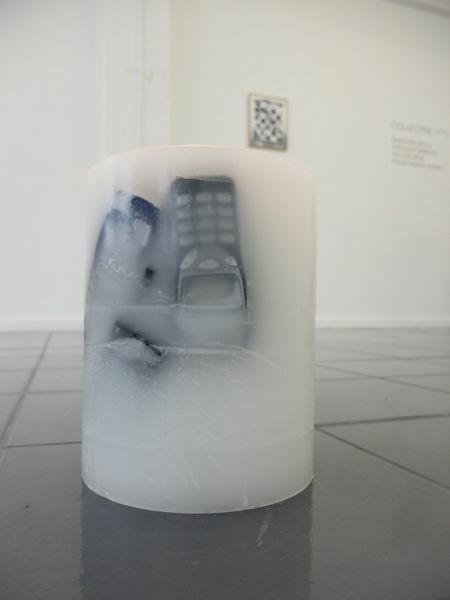 A group show of new work by PhD researchers from the Slade School of Fine Art. 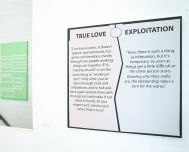 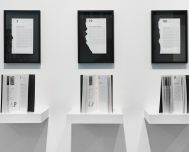 This exhibition searches out the positions and shared concerns of artists working across different media as they reflect on the crisis of now within politics, ecology and the media. 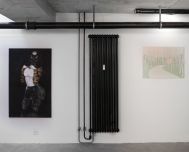 The setting, a vacated house in central London, offers a context where notions of identity, home, and the everyday are negotiated and revaluated against wider questions posed by recent political events and environmental contingencies. 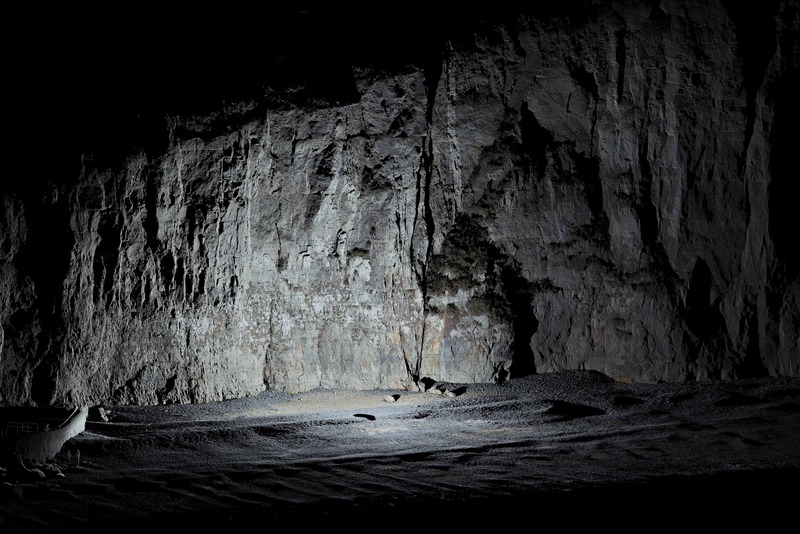 Participation of Simon Roberts to the group exhibition "Evidences du réel - La photographie face à ses lacunes" at the Musée d'Art de Pully, Pully - CH. 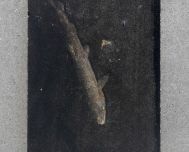 Curator: Pauline Martin. 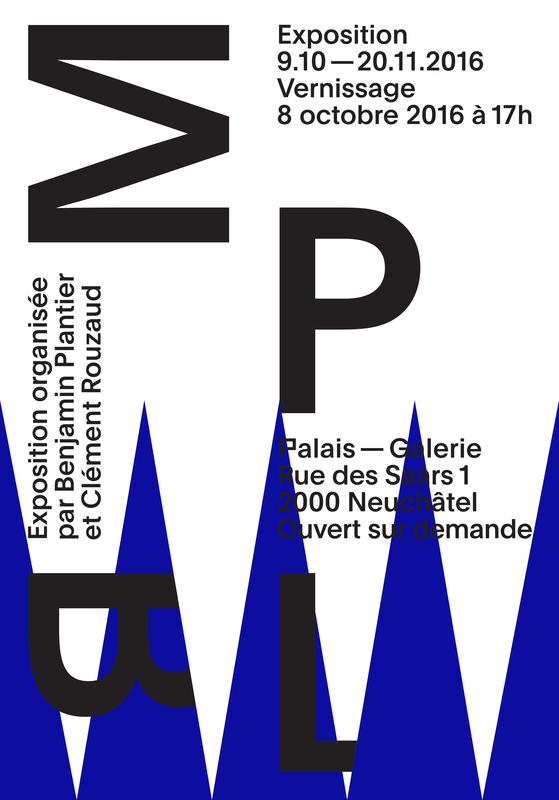 With Martina Bacigalupo, Eric Baudelaire, Rebecca Bowring, Aliki Braine, F&D Cartier, Cai Dongdong, Hans-Peter Feldmann, Mishka Henner, Laurent Kropf, Bill McDowell, Simon Rimaz, Simon Roberts, Miguel Rothschild, Joachim Schmid, Corinne Vionnet. 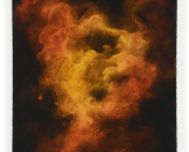 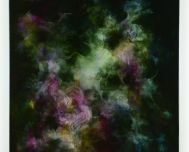 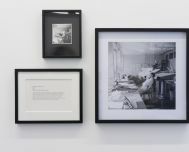 Simon Roberts has works exhibited in the ABC Photography exhibition. 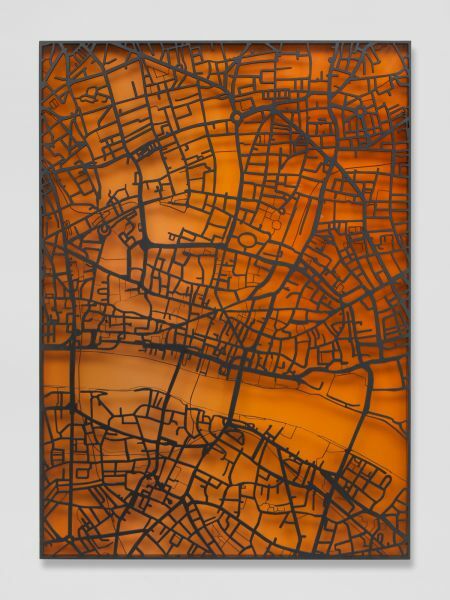 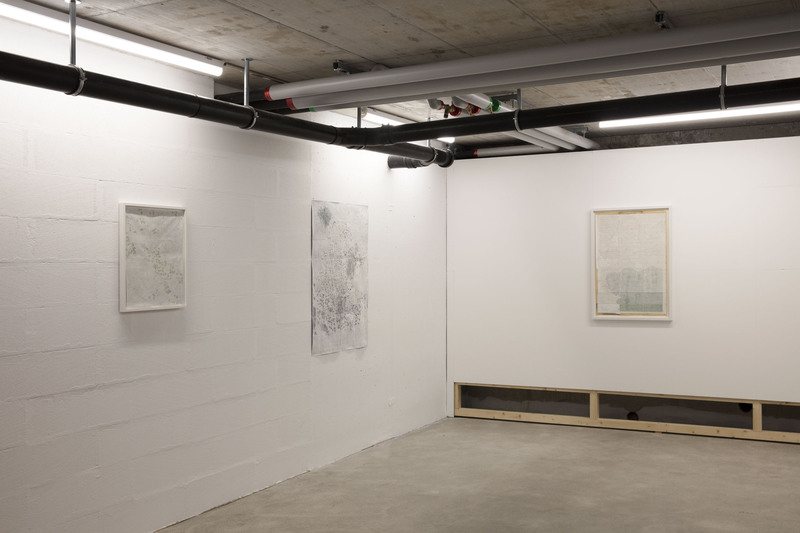 Group show entitled Bypass at Eva Steynen.Deviation(s) Galerie in Antwerpen. 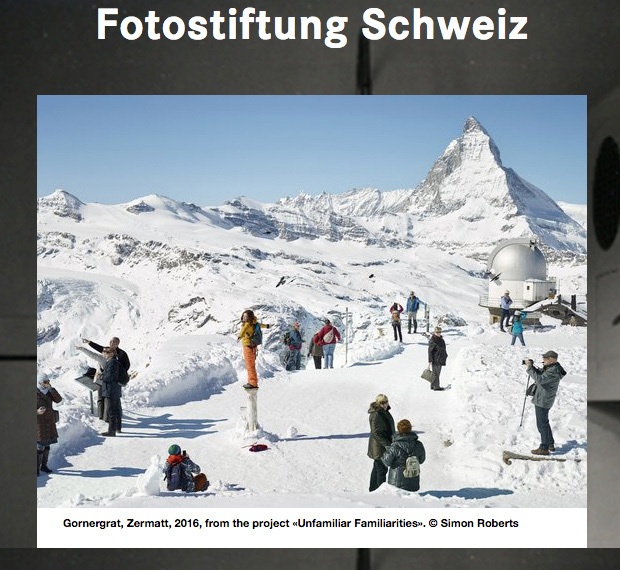 At the occasion of Swiss Tourism's 100th anniversary Simon Roberts is launching a new series of work called "Sight Sacralization: (Re)framing Switzerland" as part of the group exhibition "Unfamiliar Familiarities: Outside Views on Switzerland", an initiative of the Swiss Foundation for Photography, co-produced by the Musée de l’Elysée and with the support of Switzerland Tourism. 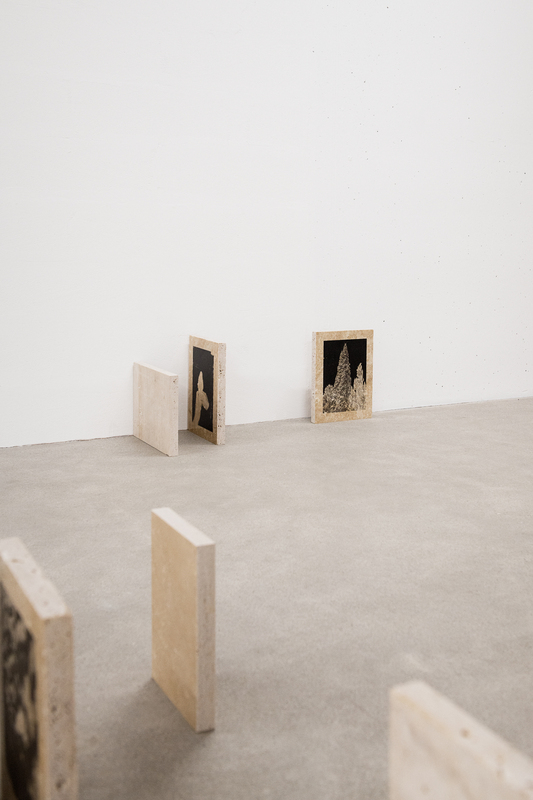 Unfamiliar Familiarities is curated by Tatyana Franck, Peter Pfrunder and Lars Willumeit. 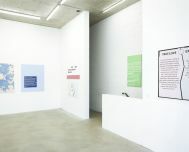 With Alinka Echeverría (Mexiko/UK), Shane Lavalette (USA), Eva Leitolf (Germany), Simon Roberts (UK) and Zhang Xiao (China). 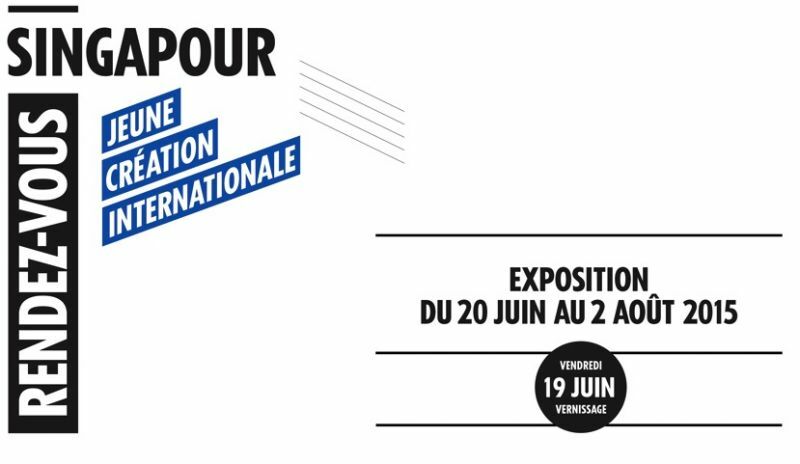 Participation to the 2017 edition of art/genève, salon d'art. 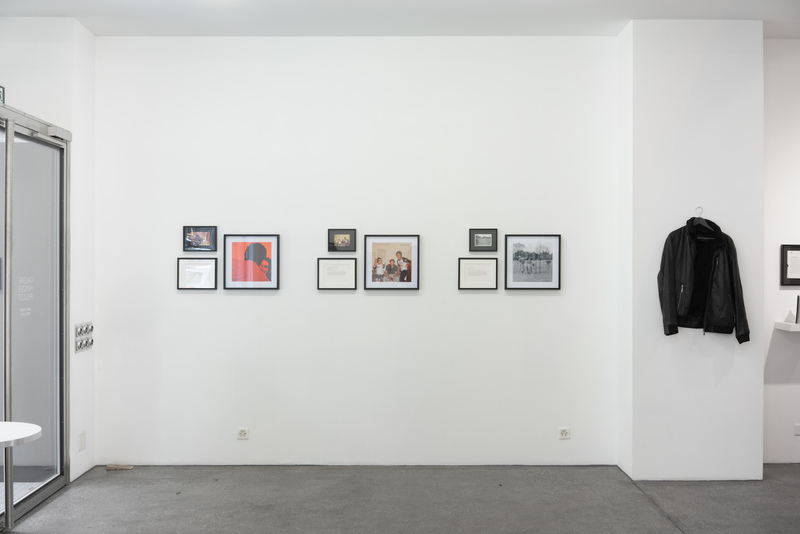 With works by Sophie Bouvier Ausländer, Andreas Hochuli, Romain Löser, Simon Roberts and The LP Company. 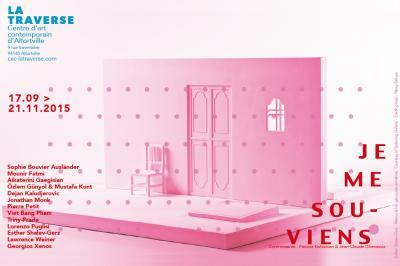 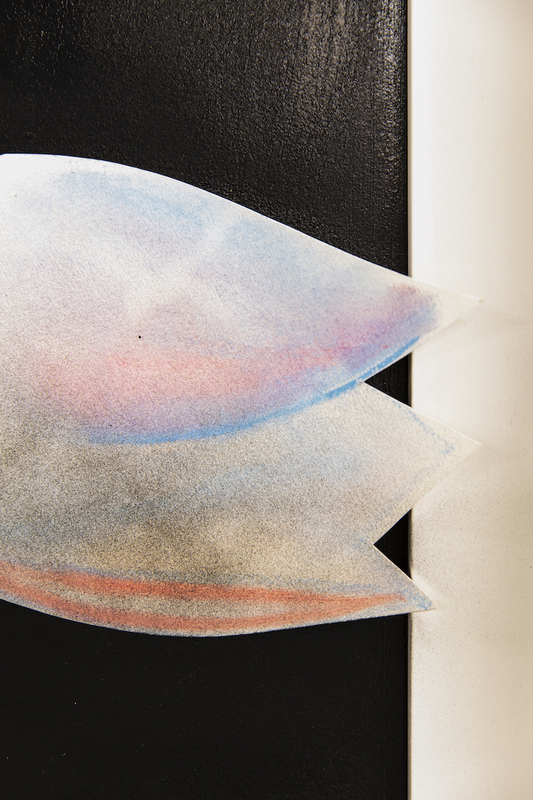 Solo show of Mirko Baselgia, with the support of Pro Helvetia, the Swiss Arts Council. 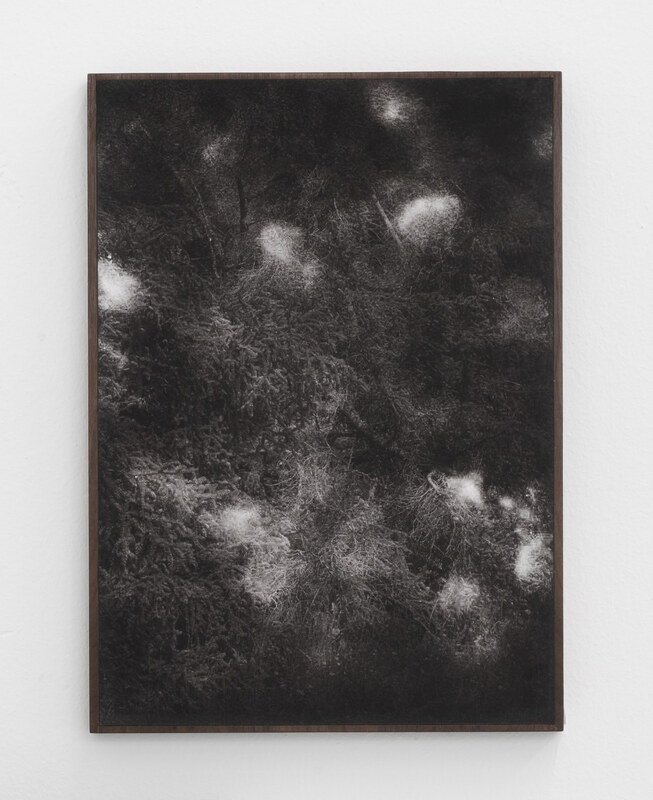 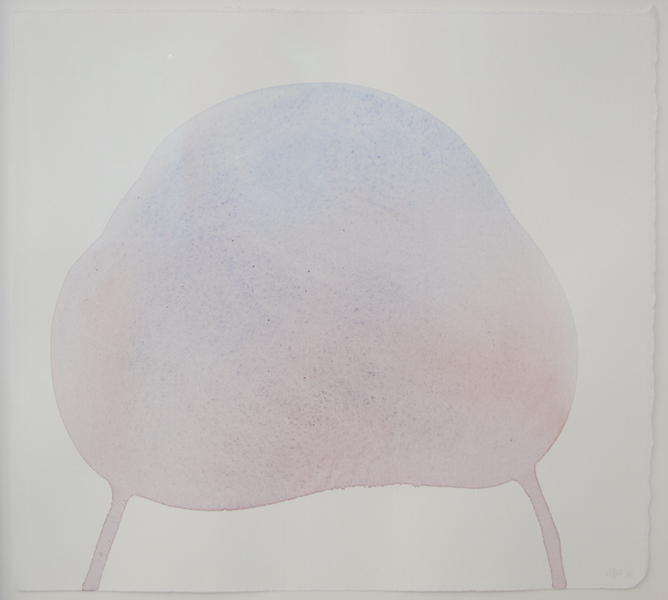 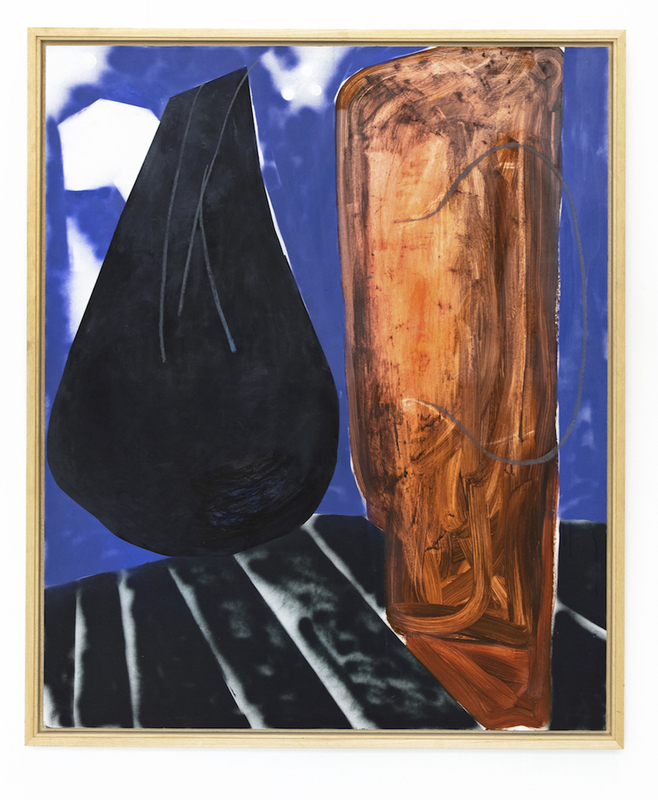 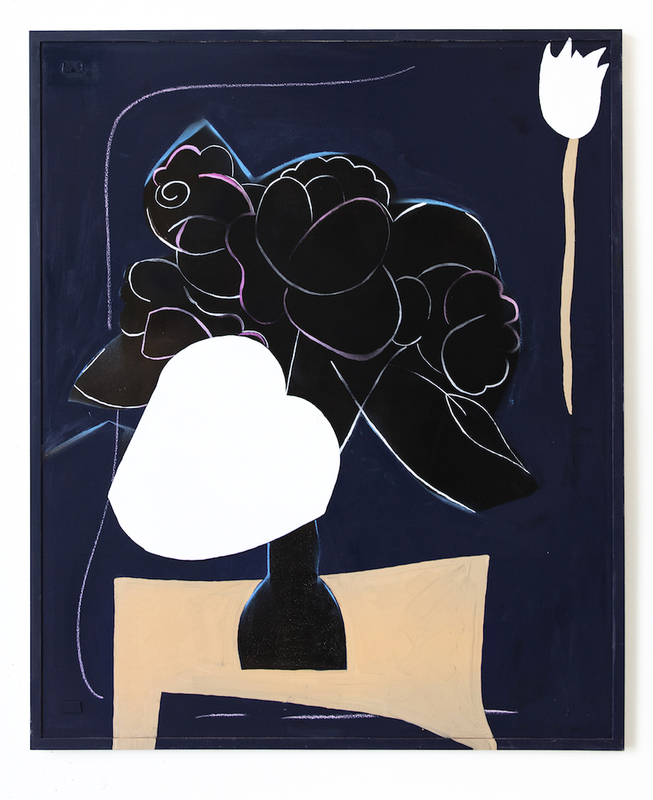 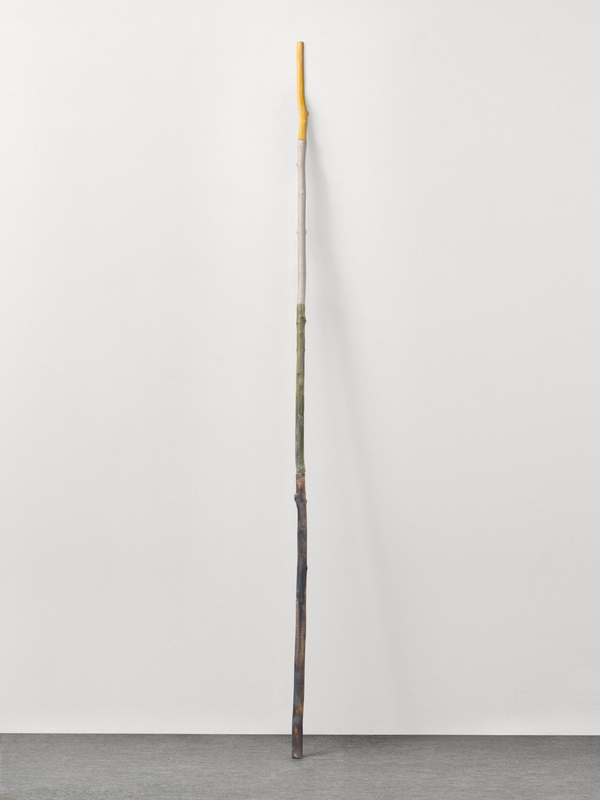 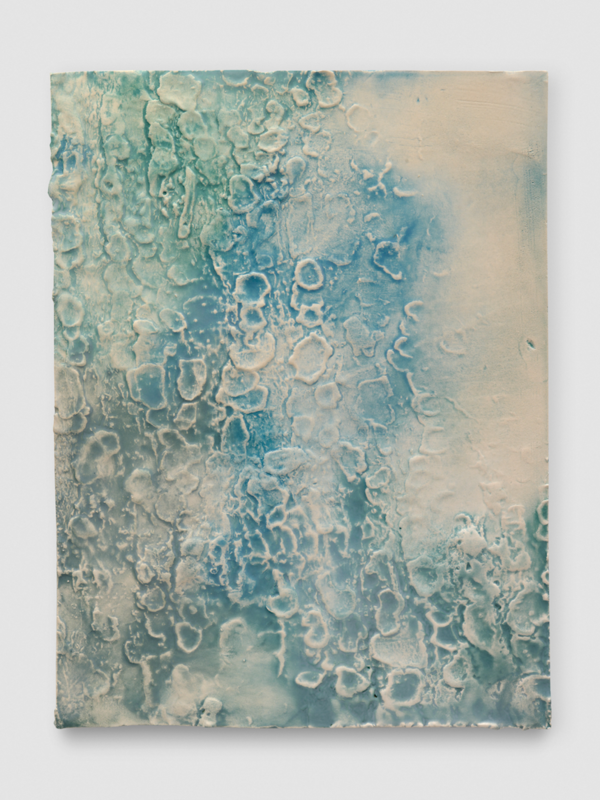 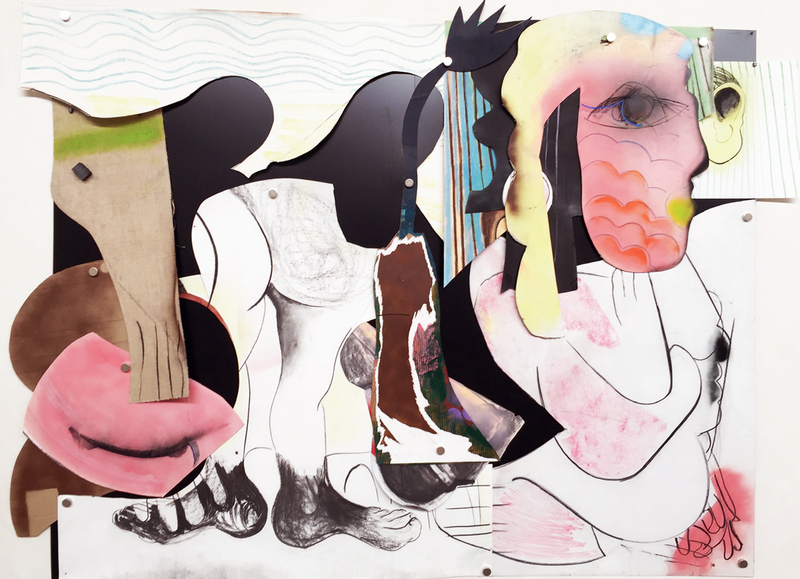 Participation of Aurélie Gravas to Ball Room, a group show curated by Samuel Gross. 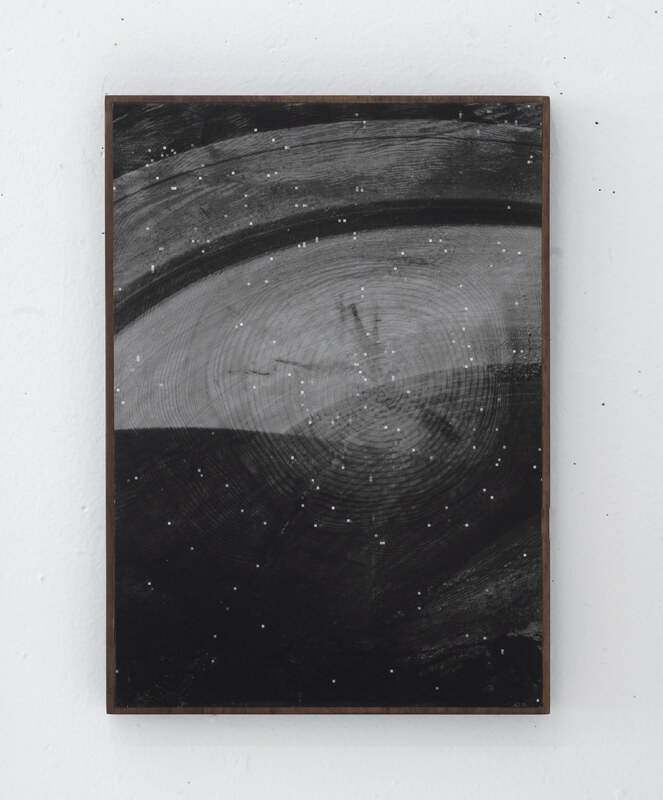 We are pleased to announce that Mathieu Bernard-Reymond has been awarded the Prix Irène Reymond 2016 alongside with Pauline Beaudremont and Elise Gagnebin-de-Bons. 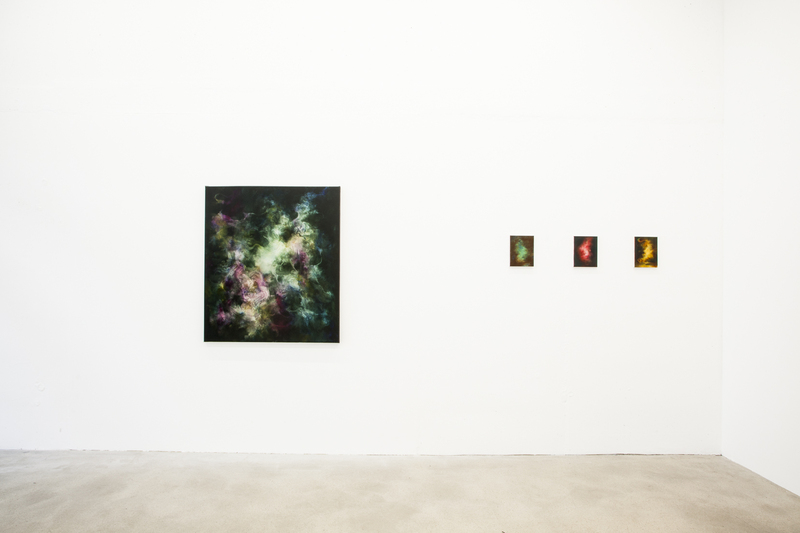 Group show entitled Adventsausstellung 24 at Galerie Loewen in Chur - CH. 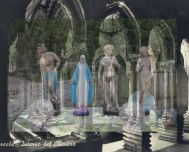 With Not Vital, Mirko Baselgia, Notta Caflisch, Robert Ralston, Gianin Conrad, HR Giger, Augusto Giacometti, Clara Porges and Frank Bruggisser. 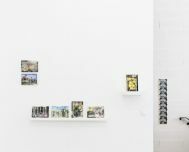 Andreas Hochuli and Tristan Lavoyer: Et ma maman m'a dit at Circuit, Centre d'art contemporain in Lausanne - CH. 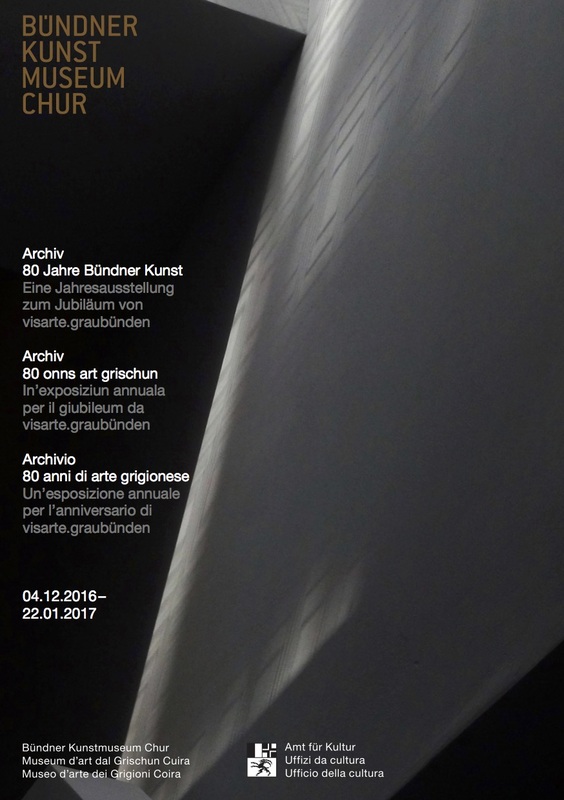 Group exhibition Archives, 80 years of Bündner Art: An annual exhibition celebrating the 80th anniversary of visarte.graubünden. 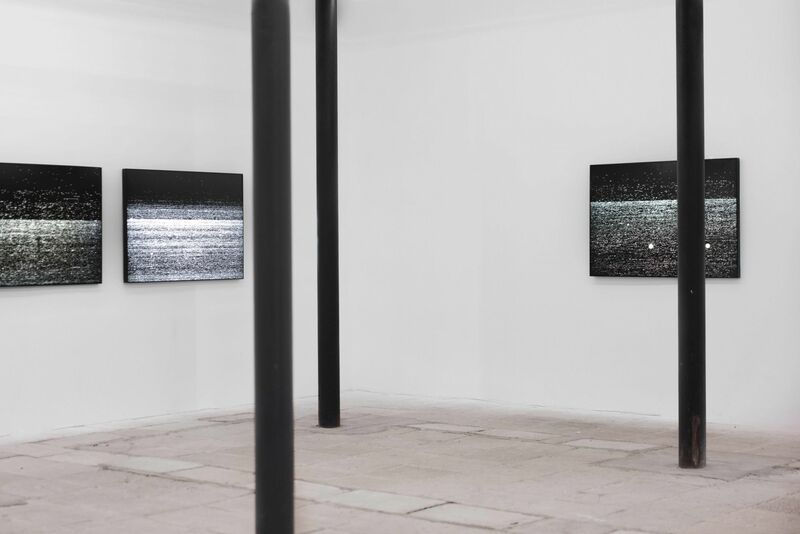 Solo show An Ocean In Between The Waves at Galerie Joy de Rouvre in Carouge - CH. 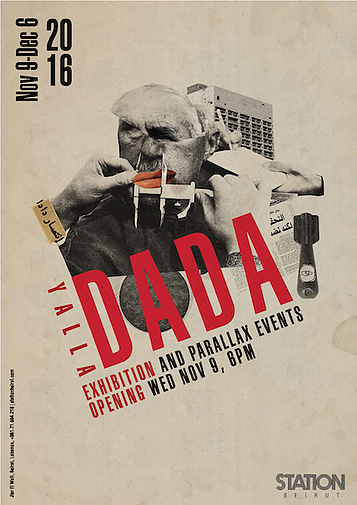 The artist collective The LP Company will perform Be Quick, Don't Judge during the Yalla Dada | Exhibition and Parallax Events at STATION in Beirut - Lebanon. 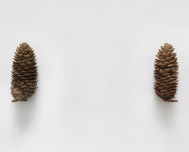 Group show Dendromorphies - Créer avec l'arbre at Topographie de l'Art in Paris. 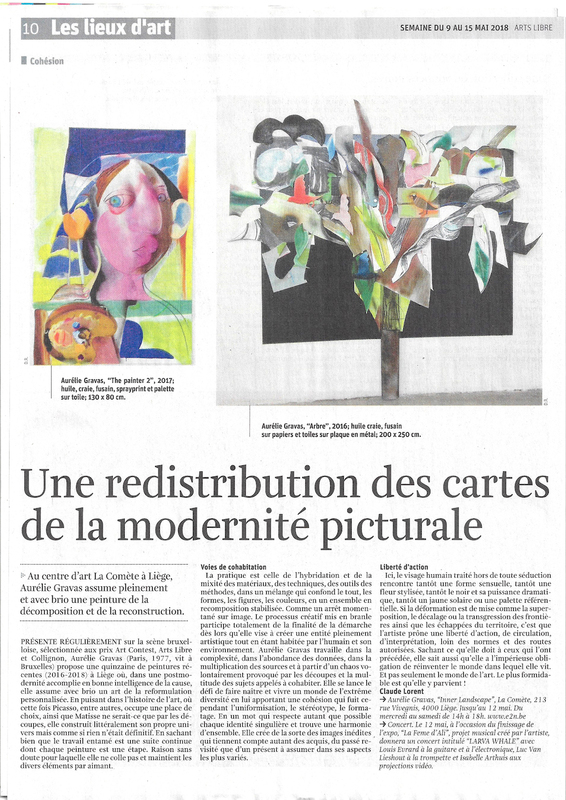 Curator: Paul Ardenne. 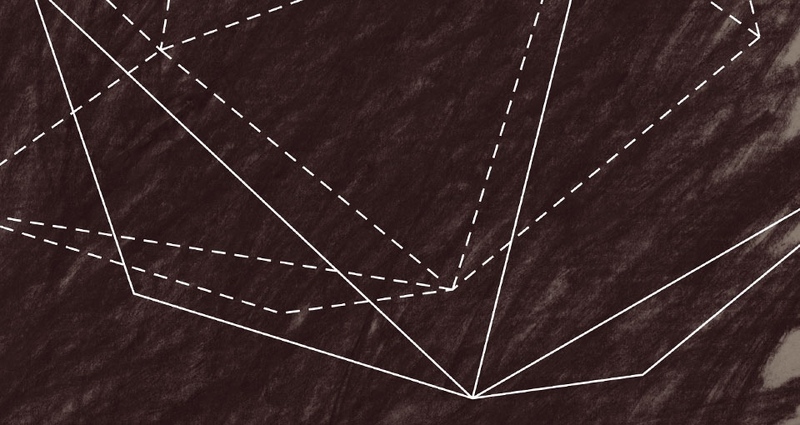 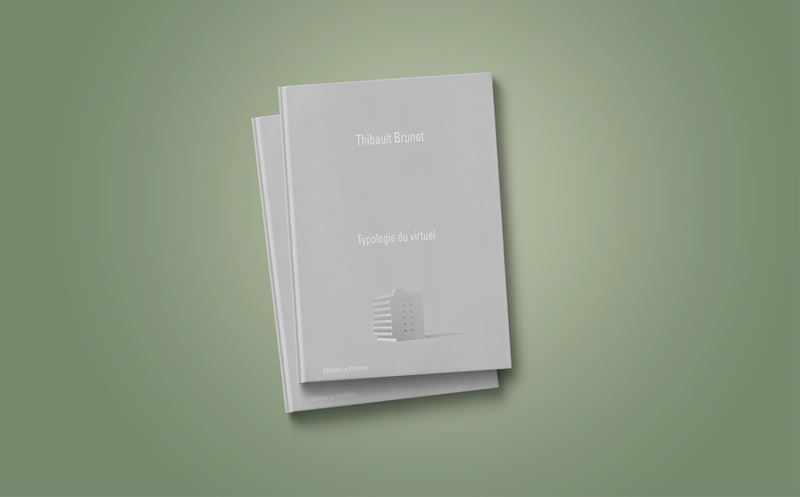 We are pleased to announce the publication of Thibault Brunet's book Typologie du virtuel. 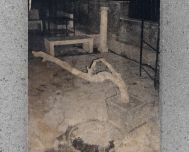 Group show entitled La velocità delle immagini at the Instituto Svizzerro of Rome - IT. 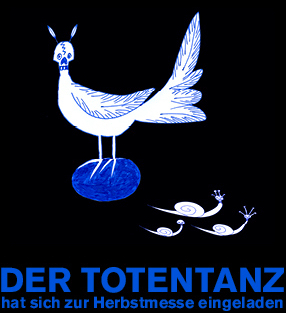 Mirko Baselgia participates to Der Totentanz curated by Gerda Steiner & Jörg Lenzlinger in Basel. 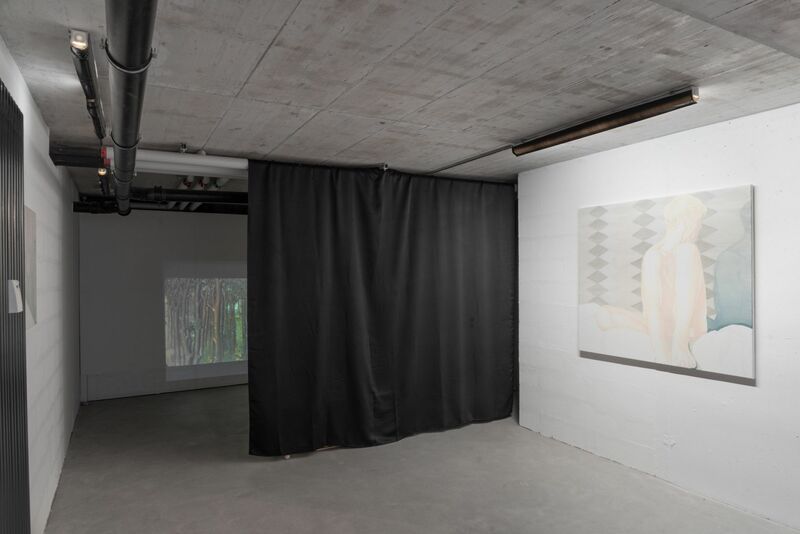 Participation de Sylvain Croci-Torti à l'exposition collective Regarder le paysage à travers la collection du Musée d'Art du Valais à Sion. 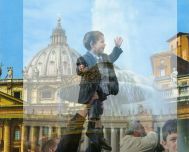 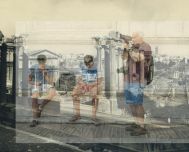 The fifteenth edition of PHOTOGRAPHY – International Festival of Rome will be entirely dedicated to the city of Rome with the theme of Rome, the world. 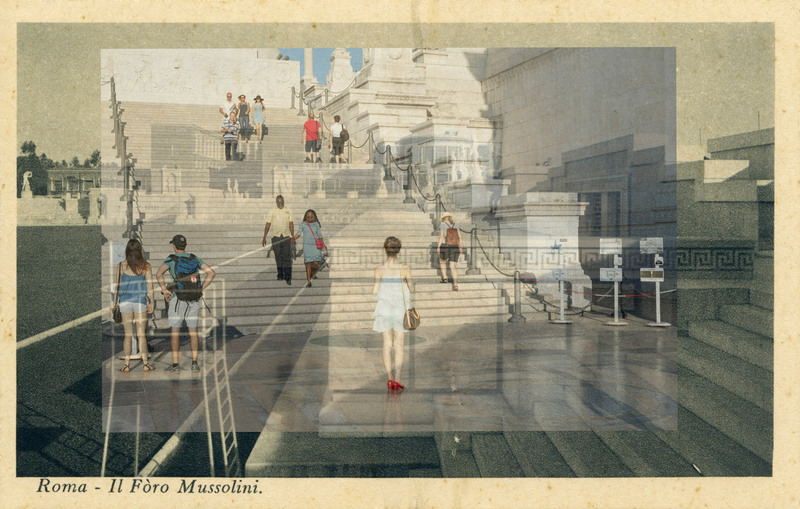 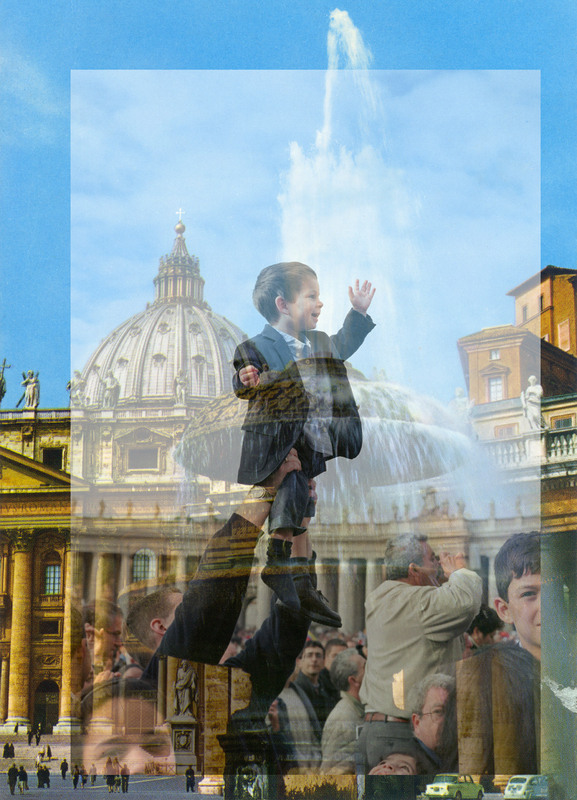 Simon Roberts has been commissioned to make a new series of postcards about Rome following on from his project New Vedute. 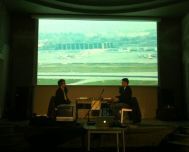 The festival is curated by Marco Delogu and Flavio Scollo. 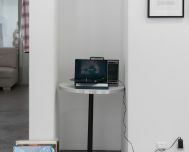 Thibault Brunet will have works from his series Typologie du virtuel exhibited during the FIAC on the booth of the Fonds Municipal d'Art Contemporain de la Ville de Paris (FMAC). 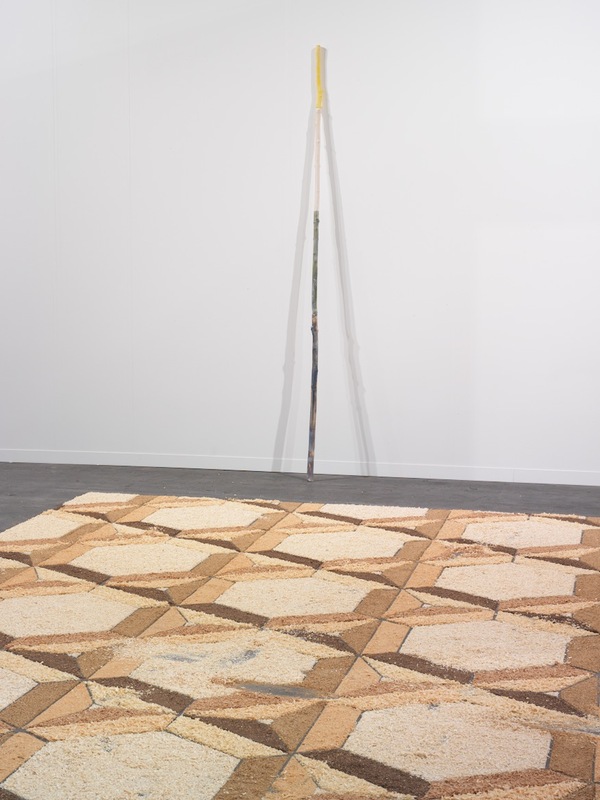 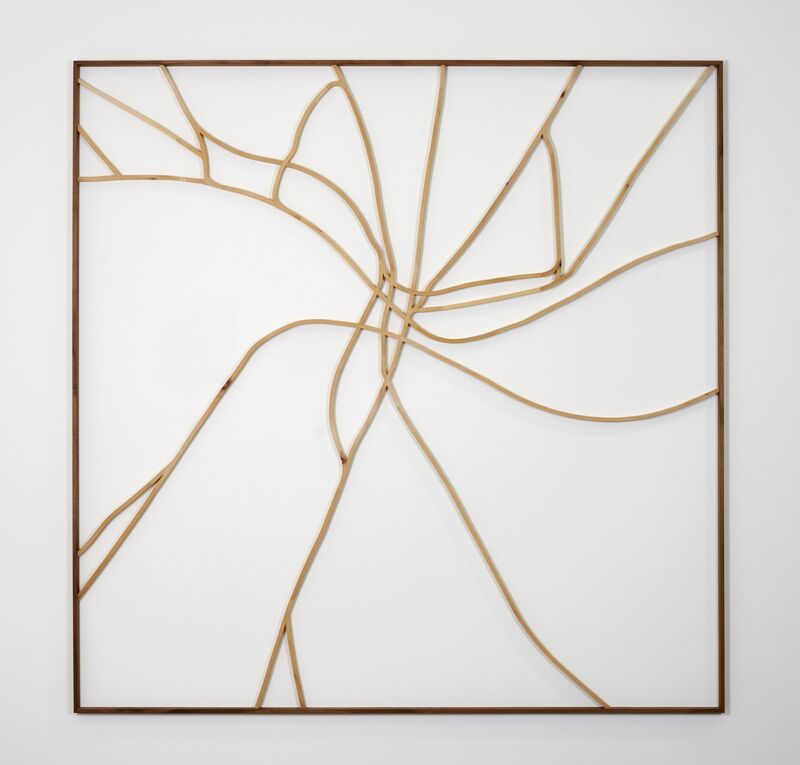 Since 2003, the FMAC presents its recent acquisitions during the FIAC art fair in Paris. 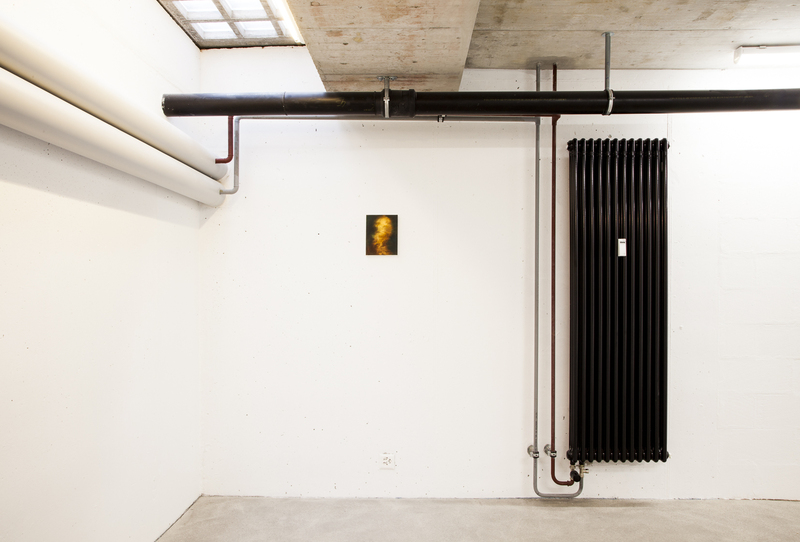 Group show Parallel Call at the Chapelle du Musée des Arts et Métiers at the occasion of the Hors Les Murs YIA ART FAIR. 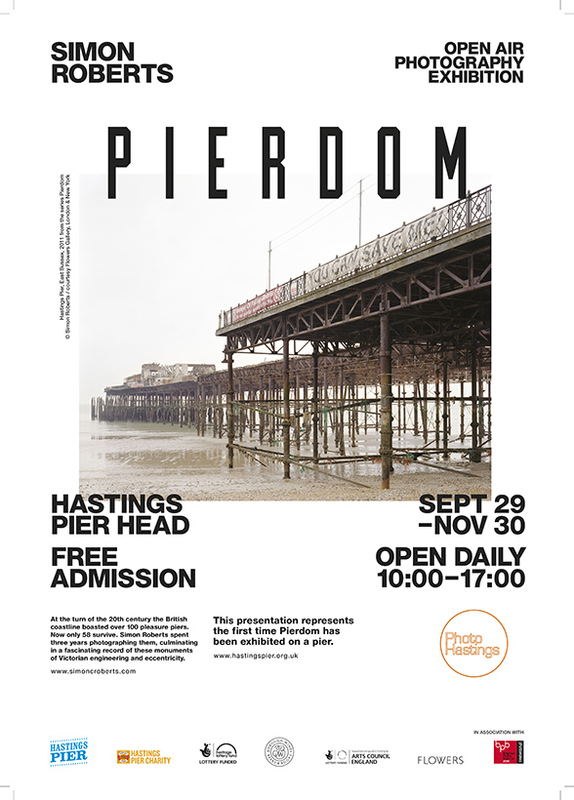 An outdoor exhibition of Simon Robert's Pierdom series on Hastings Pierd Head, Hastings - UK. 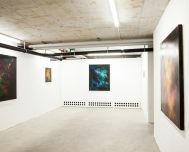 Variation, an art fair dedicated to digital art curated by Dominique Moulon at the Cité Internationale des Arts in Paris. 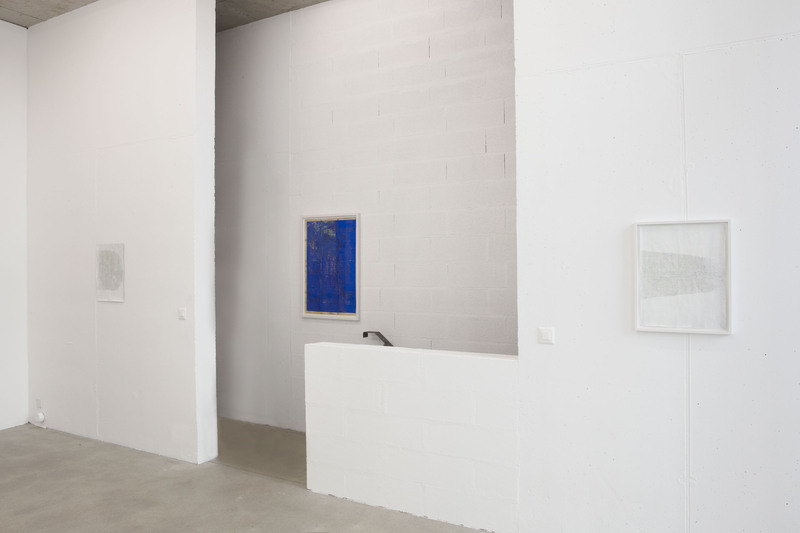 Group show MPBL organized by Benjamin Plantier and Clément Rouzaud at Palais in Neuchâtel - CH. 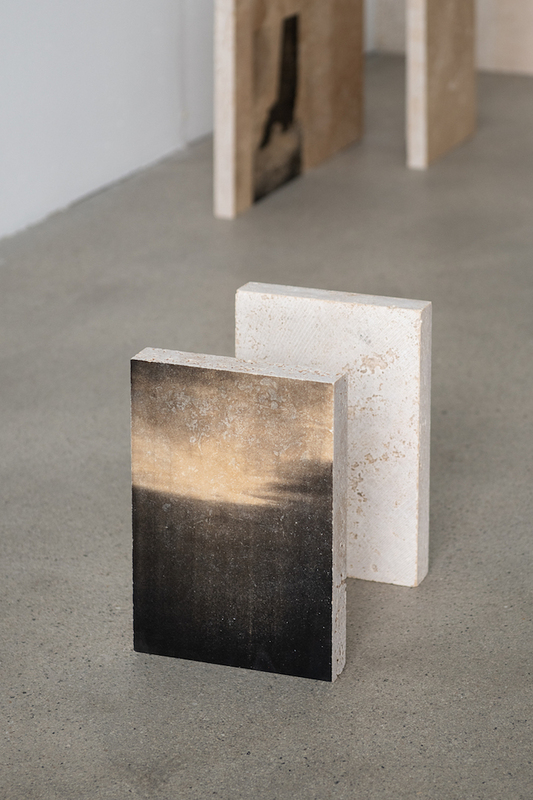 Adrien Couvrat participates at the Histoire des Formes group show at the occasion of the inauguration of the space Les Tanneries, Centre d'art contemporain in Amilly, France. 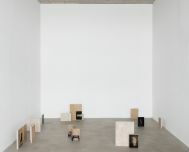 With: Lena Amuat & Zoë Meyer, Iván Argote, Bernard Aubertin, Elisabeth Ballet, Iain & Ingrid Baxter, Janos Ber, Anna-Eva Bergman, Nicolas Chardon, Claire Chesnier, Constant, Adrien Couvrat, Salvatore Emblema, Herbert Hamak, Donald Judd, Maude Maris, Marianne Mispelaëre, Vera Molnár, François Morellet, Gyan Panchal, Bruno Rousselot, Eva Taulois, Olivier Vadrot, Kees Visser. 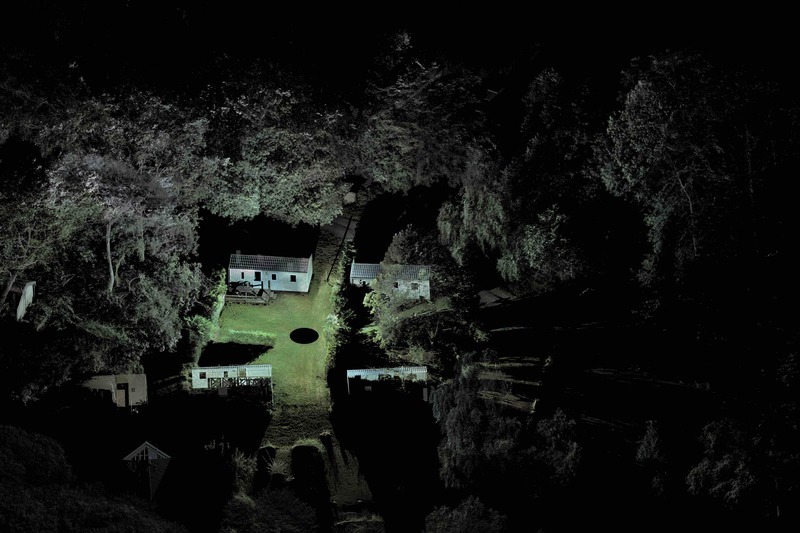 Mathieu Bernard-Reymond will exhibit his Transform series at the FIAF / French Institute Alliance Française during the "Crossing the line" festival in New York. 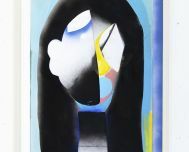 Group show Passage 2 at the Leipziger Baumwollspinnerei in Leipzig - Germany. 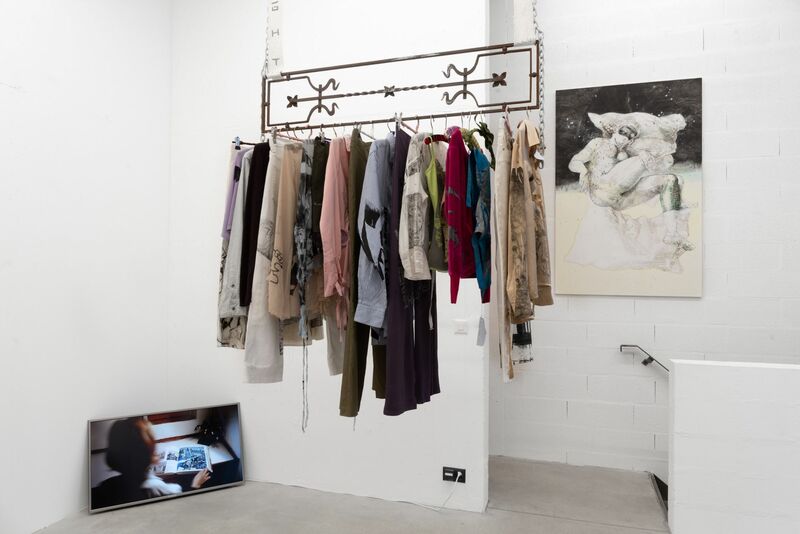 Curated by Ilina Koralova (Leipzig) & Isabelle Bertolotti (Lyon). 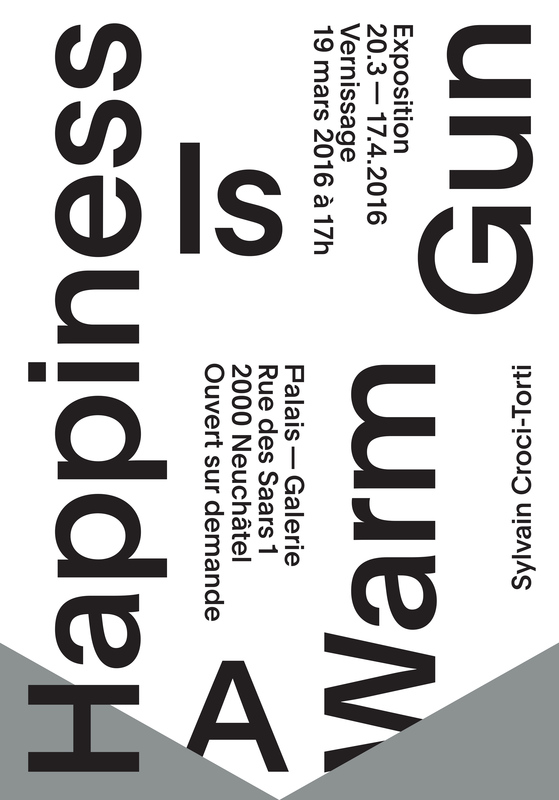 With Thibault Brunet, Marc Desgrandchamps, Stefan Fischer, Margret Hoppe, Tamami Iinuma, Karim Kal, Oliver Kossack, Aurélie Pétrel, Laurent Proux, Andreas Schulze, Mengzhi Zheng. 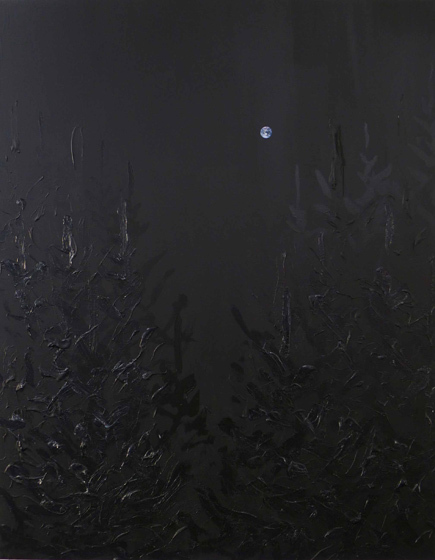 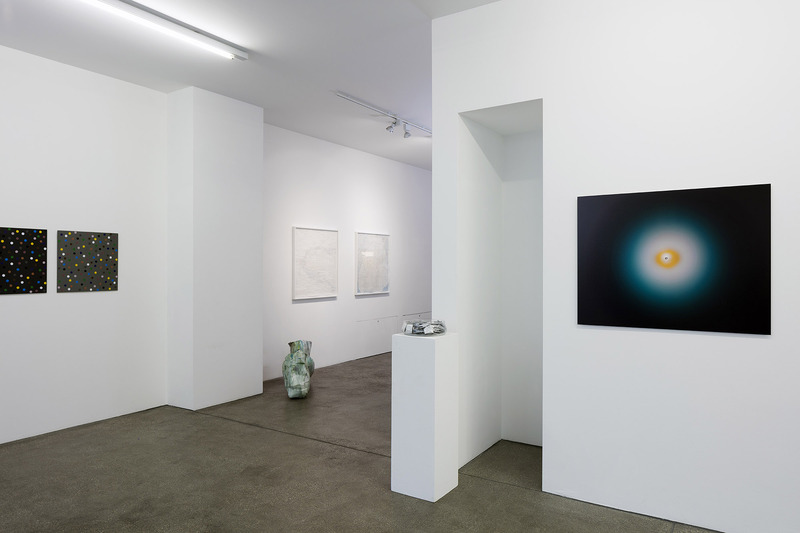 Group show entitled Matin, Midi et Soir curated by Laure Flammarion at Galerie Honoré Visconti, Paris. 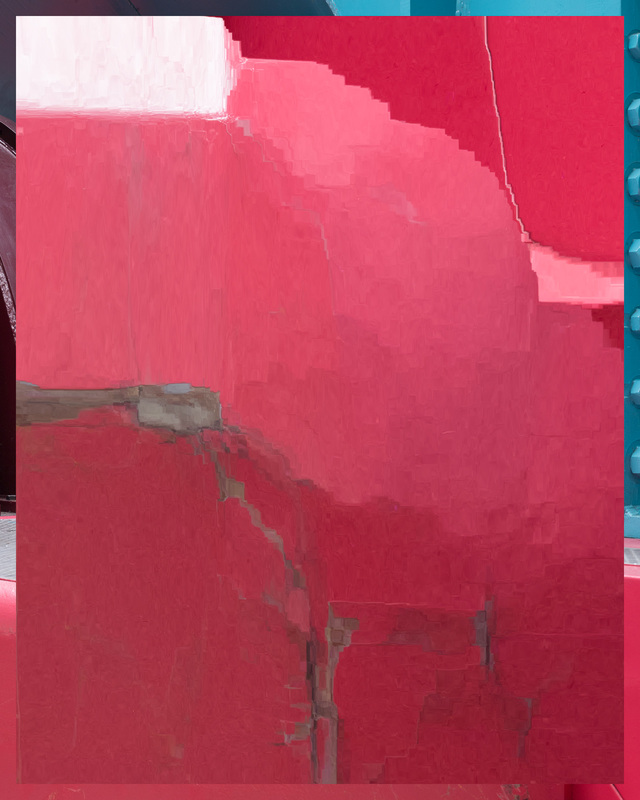 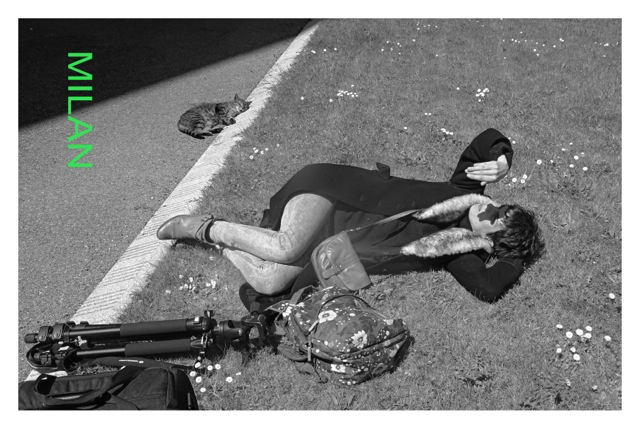 Simon Roberts will show his series The Last Moment during Festival Images - the visual arts biennial of Vevey - CH. 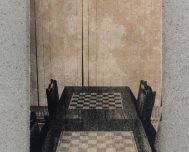 Group show L'oeil de l'expert - La photographie contemporaine at the Musée Nicéphore Niépce in Chalon-sur-Soâne. 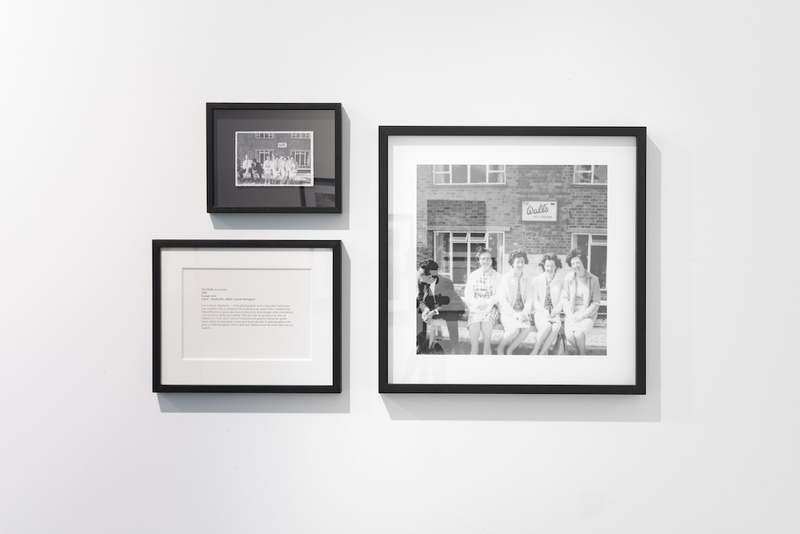 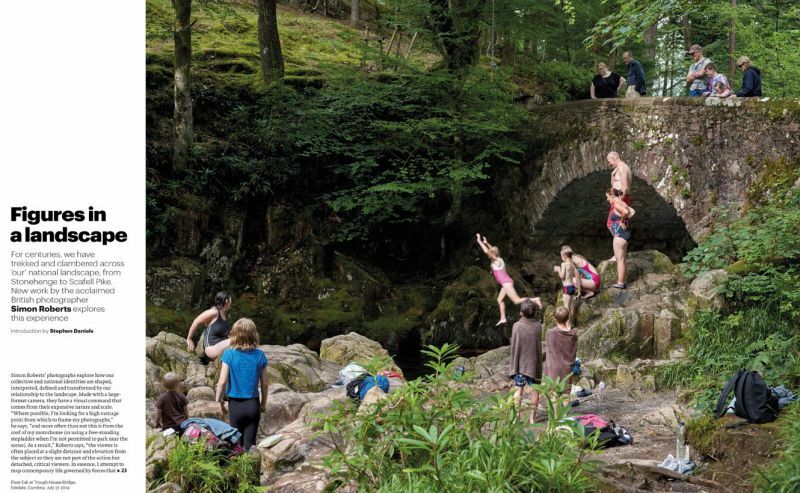 Simon Roberts will be exhibiting some prints in the group show An Ideal for Living: Photographing Class, Culture and Identity in Modern Britain, exhibited at Beetles & Huxley gallery in London. 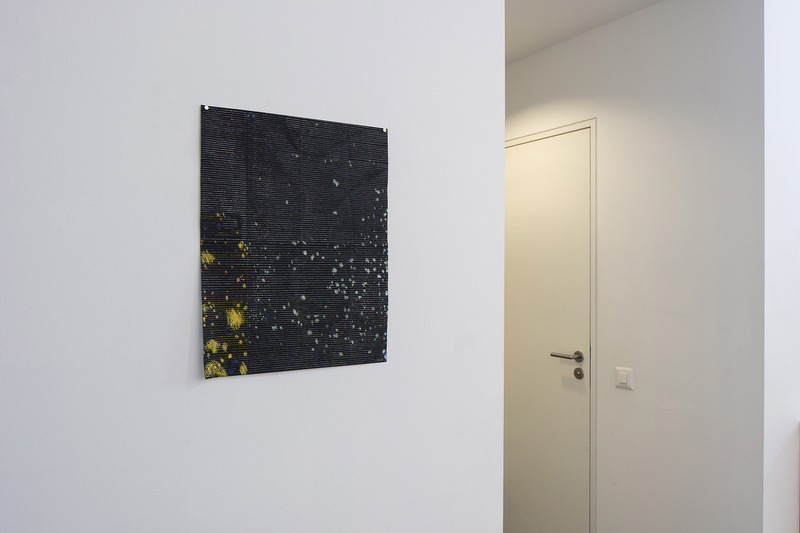 Participation of Sylvain Croci-Torti and Andreas Hochuli to the group show La grande place at the Centre d'Art Contemporain Yverdon-les-Bains (CACY). 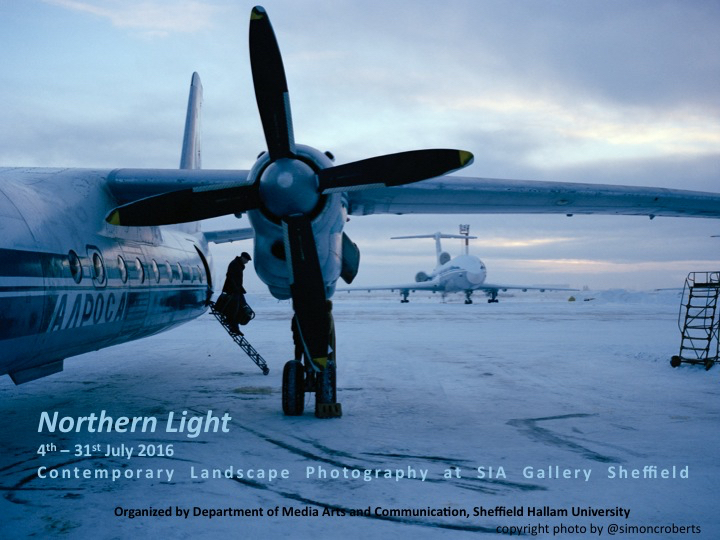 Simon Roberts will be exhibiting several prints from his Motherland and Polyarnye Nochi series in the group show - Northern Light: Landscape Photography and Evocations of the North. 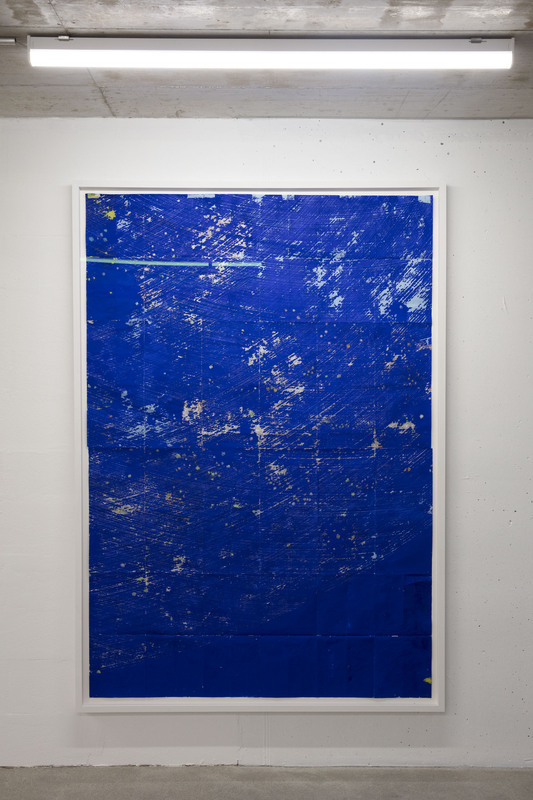 We are pleased to announce that Sylvain Croci-Torti is one of the 9 artists honoured in the 2016 edition of the Swiss Art Awards in Basel. 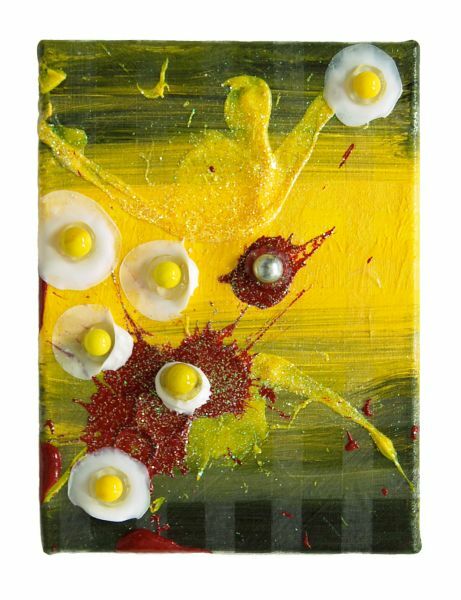 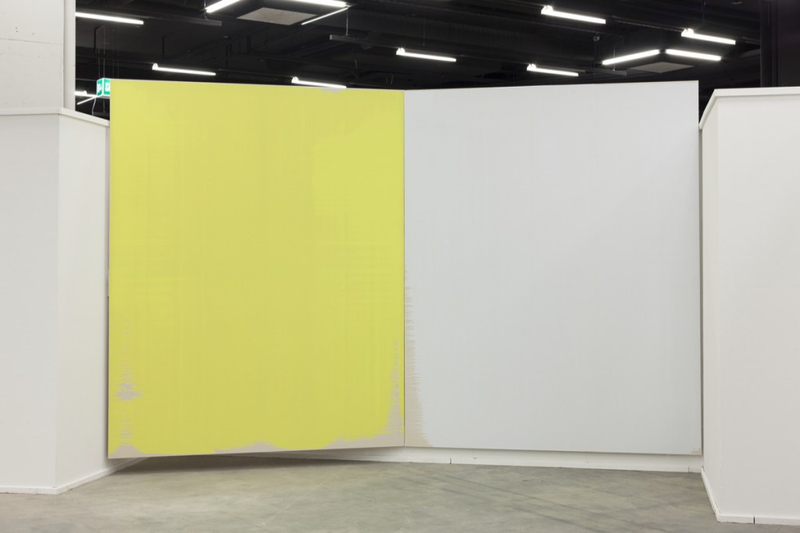 Sylvain Croci-Torti presents two monochrome canvases in white and yellow, each 330 x 260 cm in size. 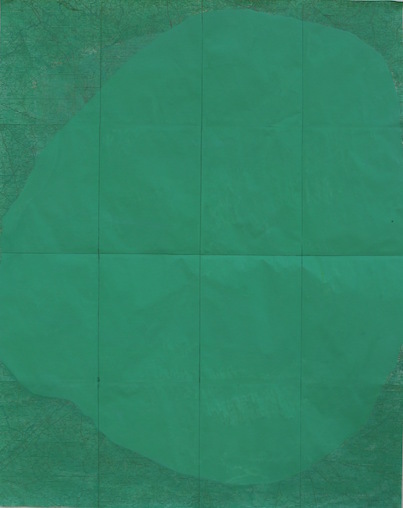 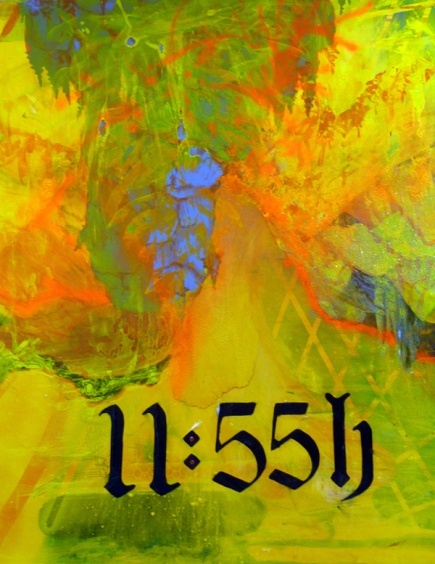 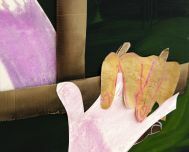 The oversize dimensions of the pictures and the even application of the paint give the impression that they have been painted with mechanical assistance, perhaps with a movable blade like the one used in screen printing – a technique with which the artist has experimented in the past. 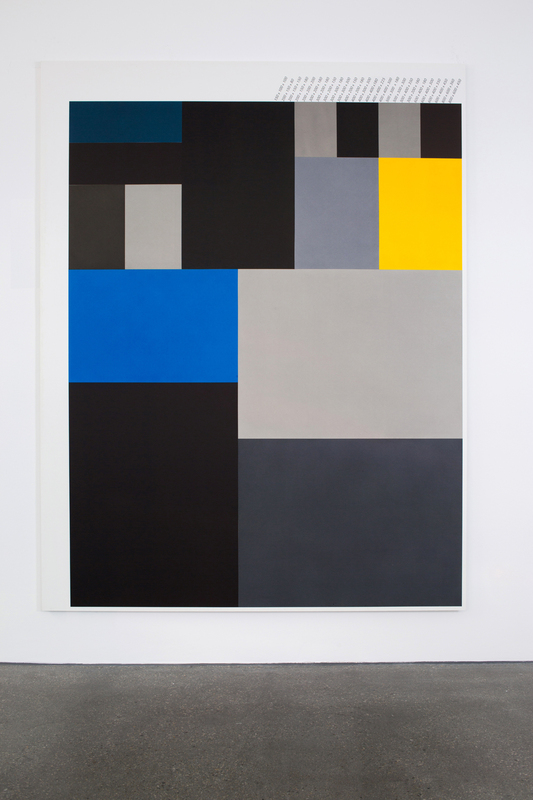 Thus, Croci-Torti boldly revisits a genre of painting in which it hardly seems possible to find anything new these days: monochrome. 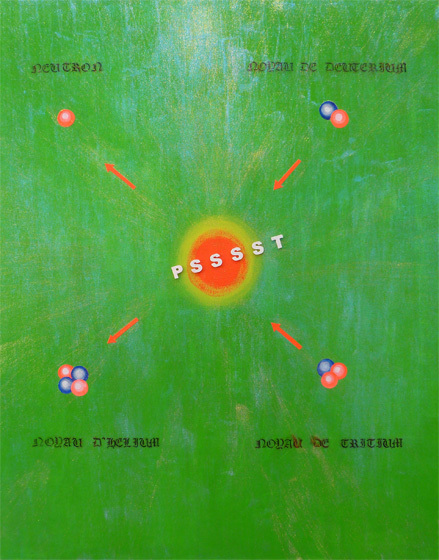 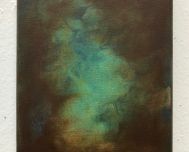 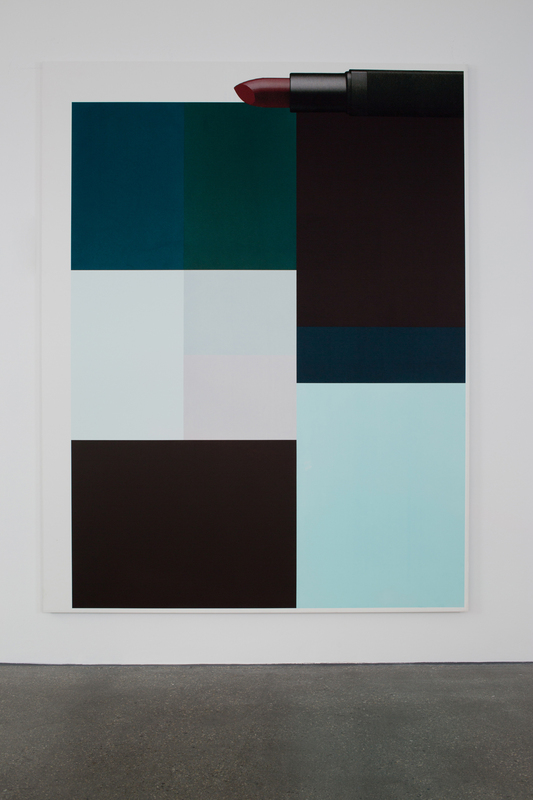 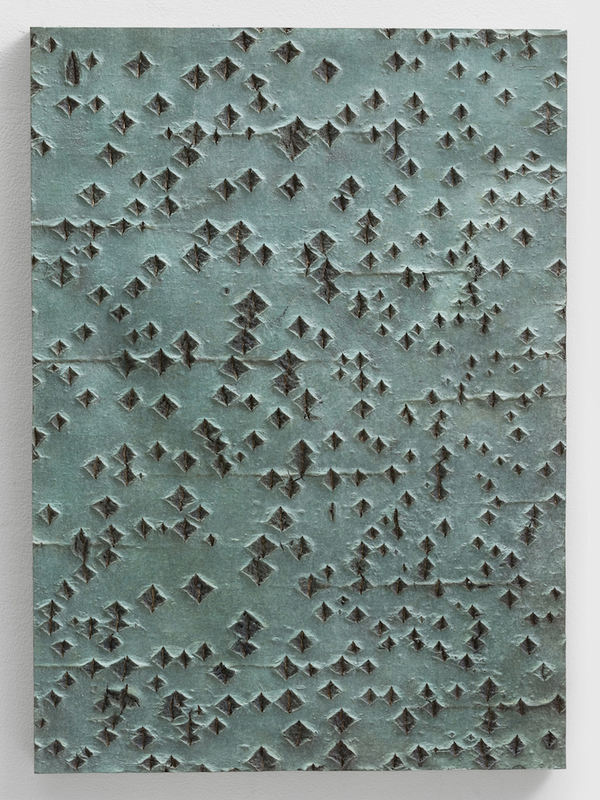 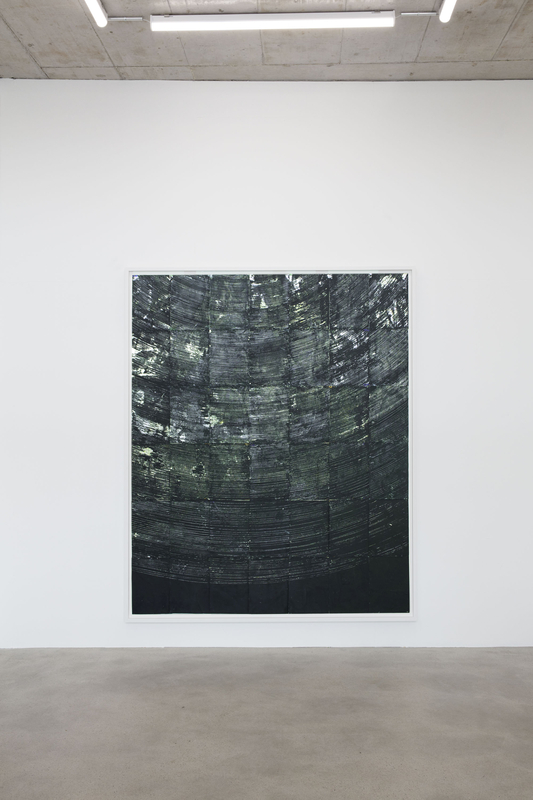 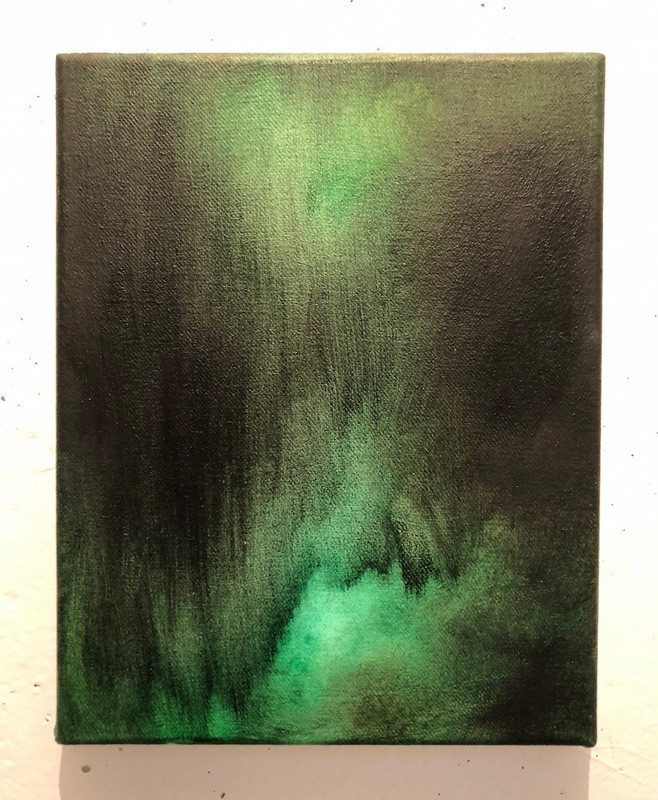 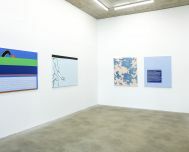 His idiosyncratic technique for applying the paint succeeds in creating a tense surface with subtle colour overlaps and carefully placed gaps; but his work also stands out in the way it is positioned spatially. 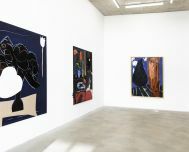 Taking as his starting point the measurements of the standardised niche, the artist installs the canvases (which are per se two-dimensional) with such extreme precision that the painting extends into the room. 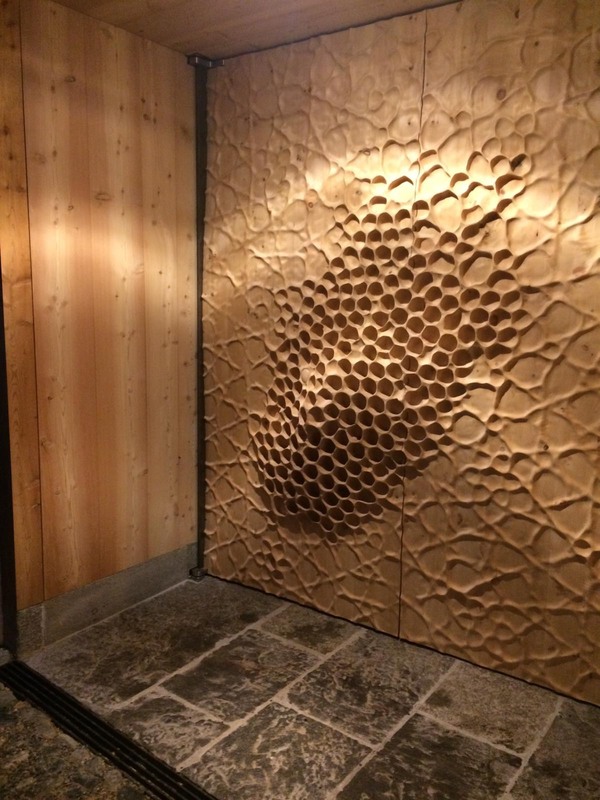 The work expands its way out of the niche, rising above the movable walls and creating a strong presence within the hall. 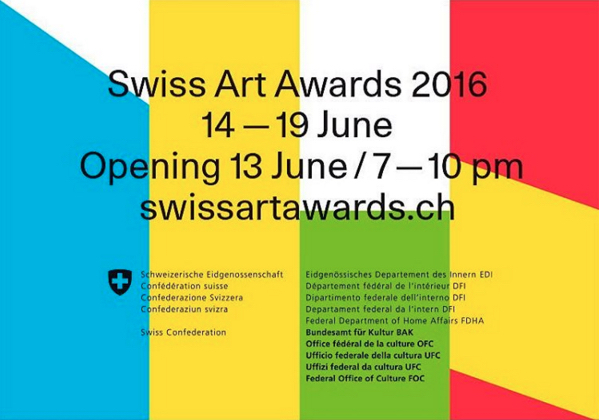 Participation of Sylvain Croci-Torti to the Swiss Art Awards in Basel. 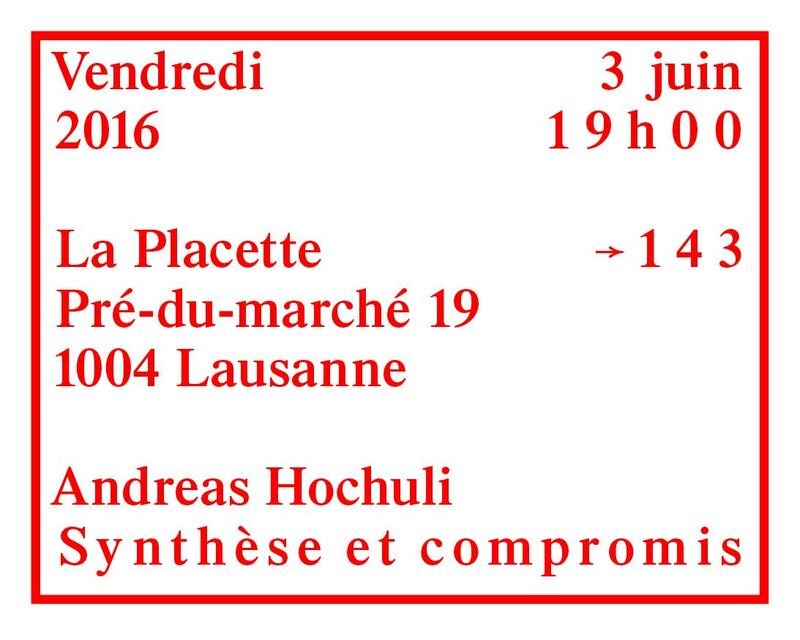 Solo show Synthèse et compromis at La Placette in Lausanne - CH. 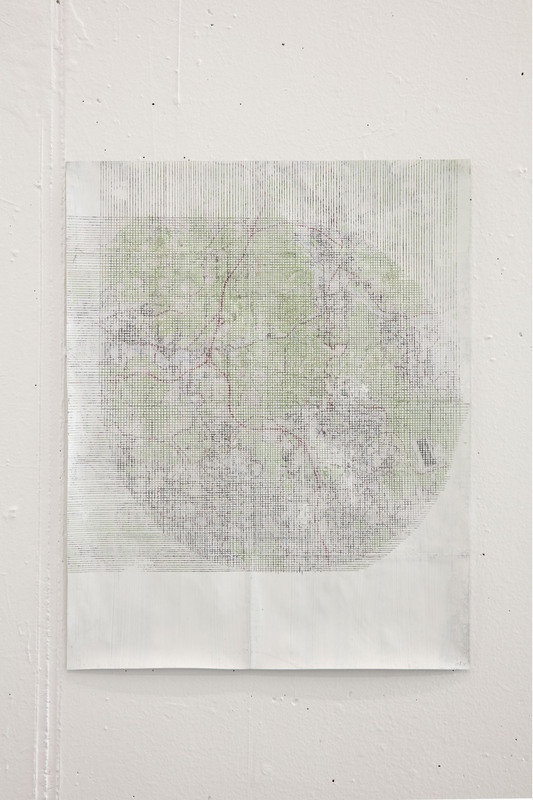 Group show France(s) Territoire Liquide at the Archipel Centre de Culture Urbaine in Lyon - FR. 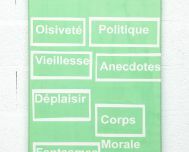 With: Thibault Brunet, Frédéric Delangle, Claudia Imbert, Olivier Nord, Bertrand Stofleth, Geoffroy Mathieu & Ambroise Tézenas. 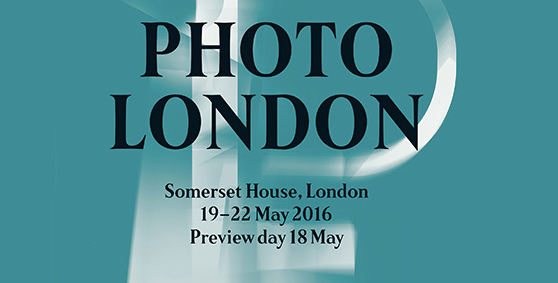 We are pleased to announce our participation to Photo London's second edition. 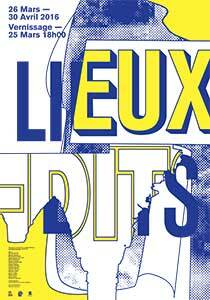 With Mirko Baselgia, Mathieu Bernard-Reymond, Thibault Brunet & Simon Roberts. 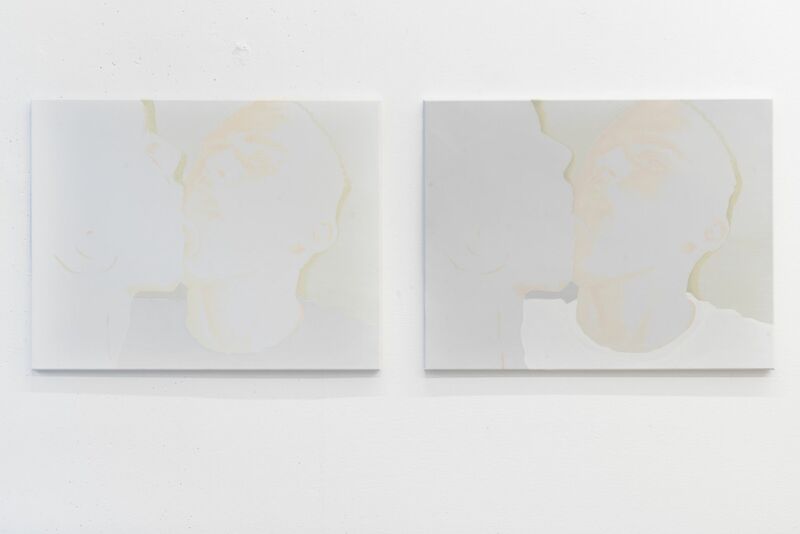 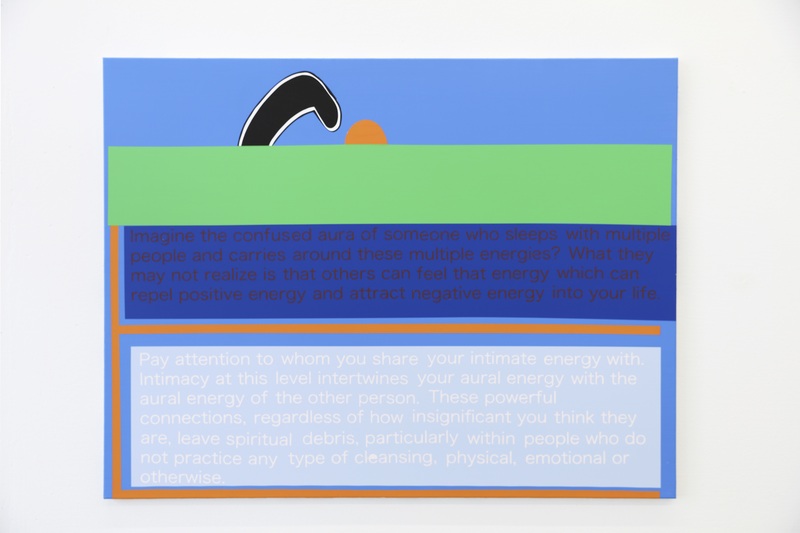 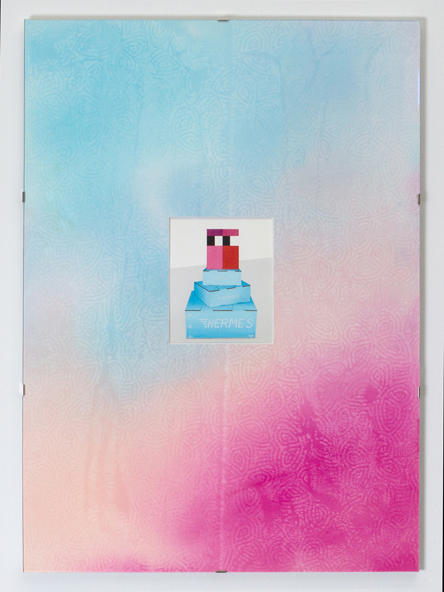 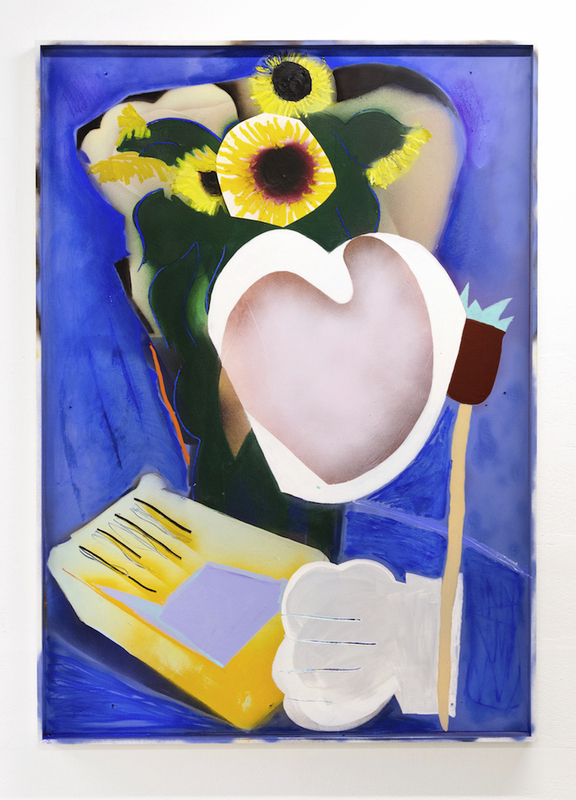 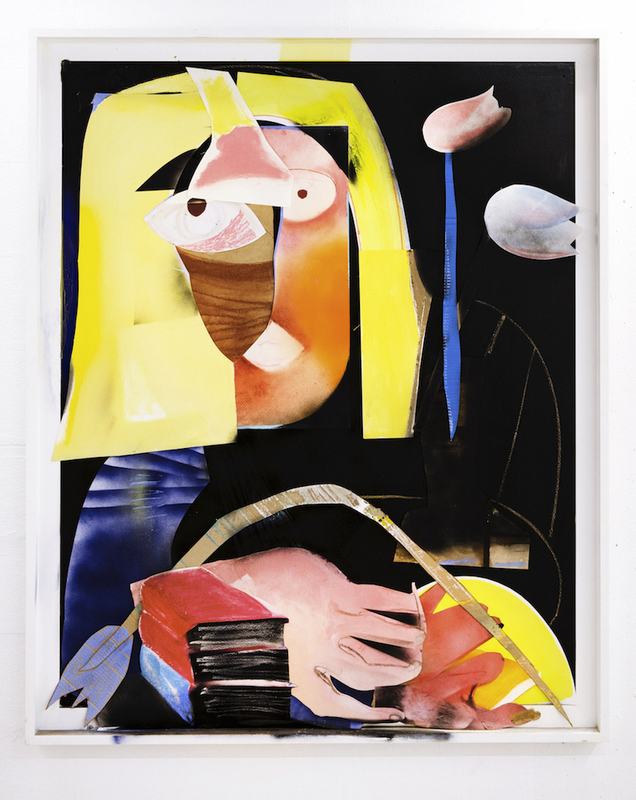 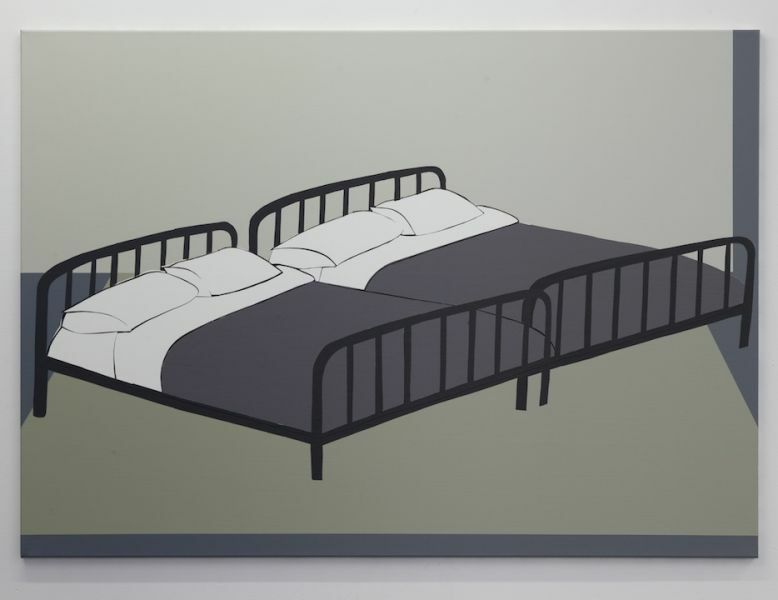 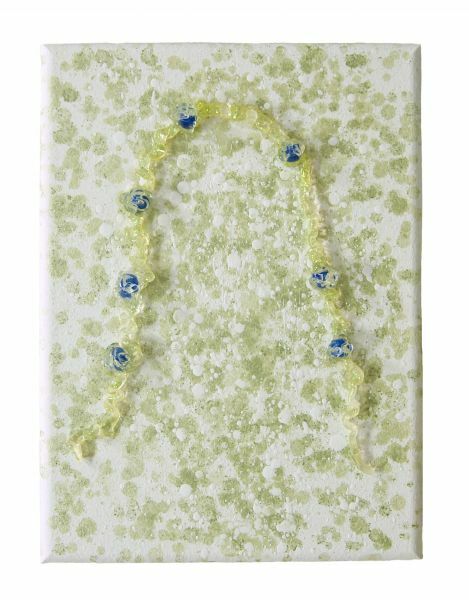 Andreas Hochuli participates to the group show Soap Opera at Hit (Geneva - CH). 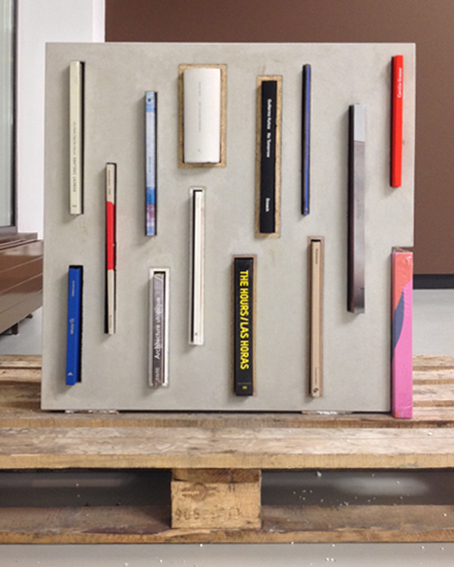 With Davide Cascio, Walter Grab, Nelly Haliti, Andreas Hochuli, Anne Minazio, Marius Margot and Yoan Mudry. 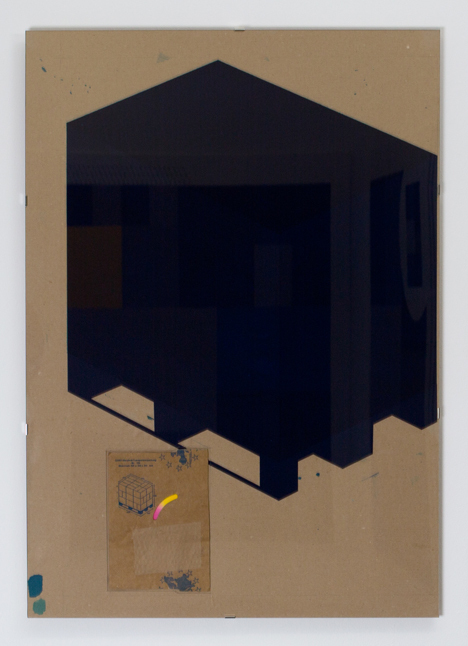 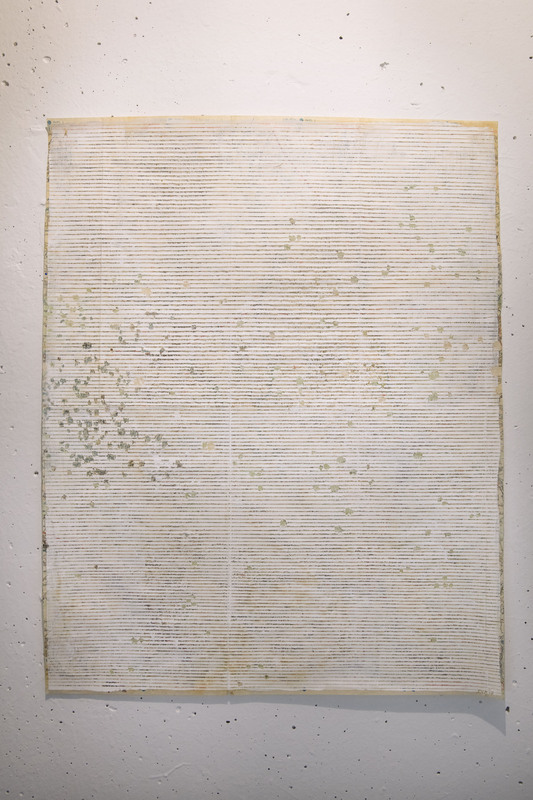 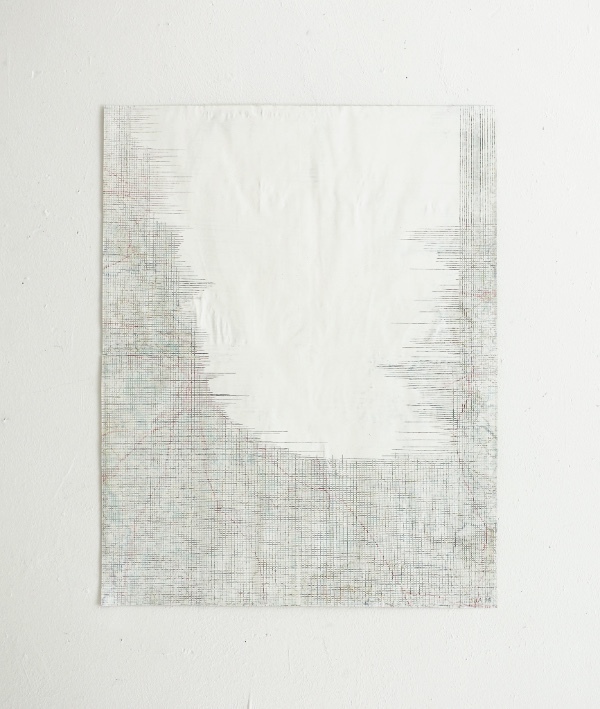 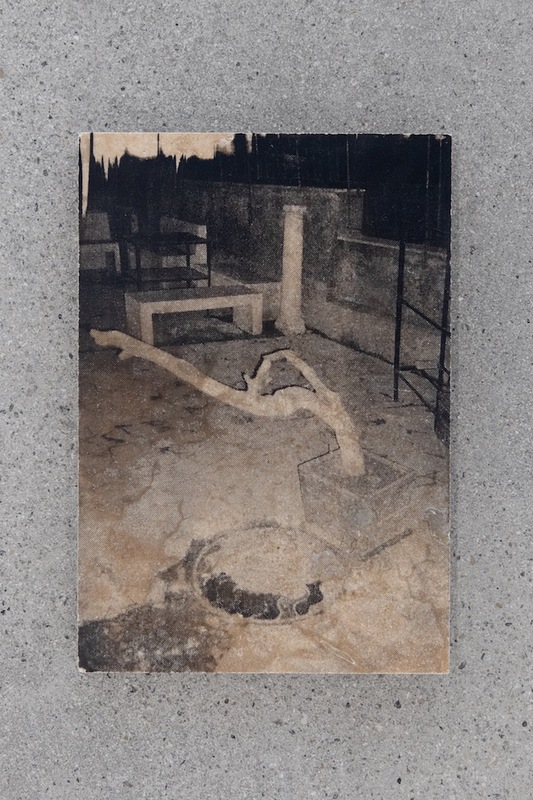 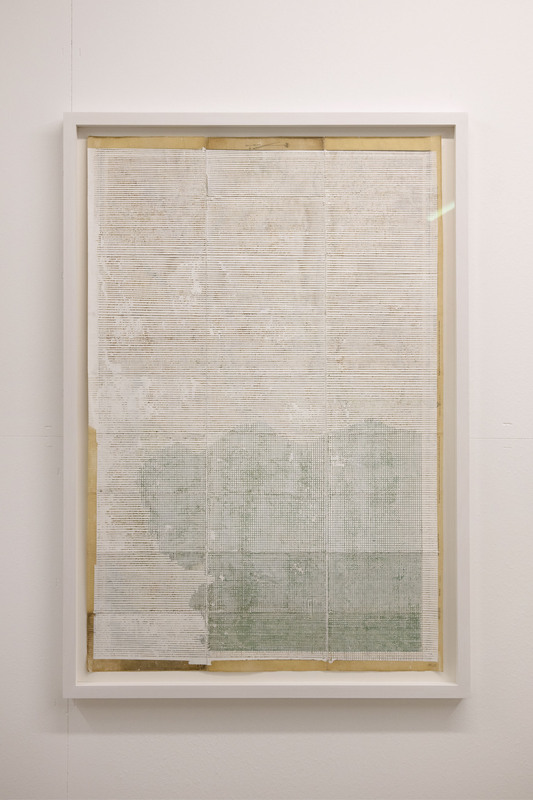 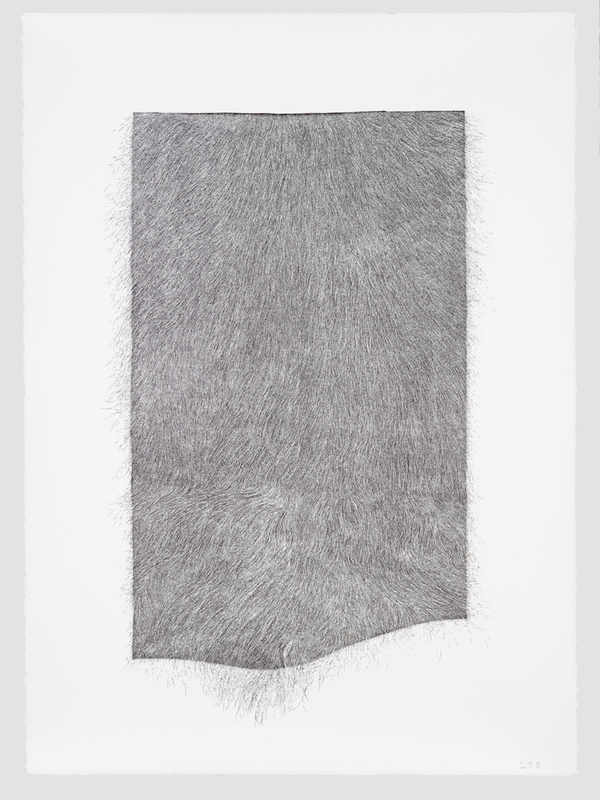 Participation of Sophie Bouvier Ausländer to the group show Dimensione Disegno. 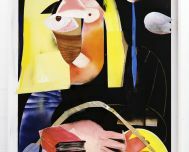 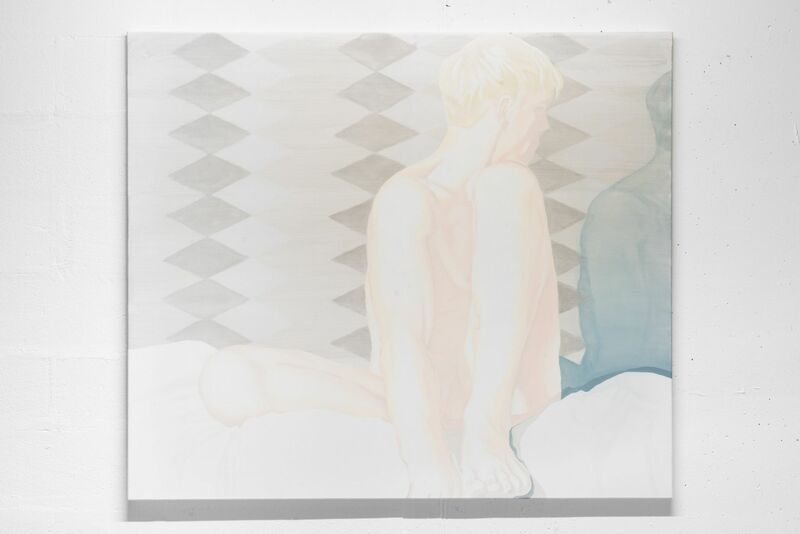 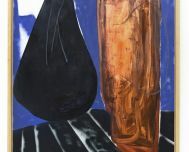 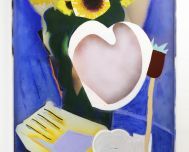 Posizione contemporanee at Museo Civico Villa Dei Cedri - Bellinzona - CH. 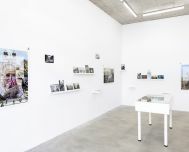 With Manon Bellet, Sophie Bouvier Ausländer, Raffaella Chiara, Robert Estermann, Franziska Furter, Lang/Baumann, Zilla Leutenegger, Luca Mengoni, Valentina Pini, Didier Rittener, Denis Savary, Julia Steiner and Marie Velardi. 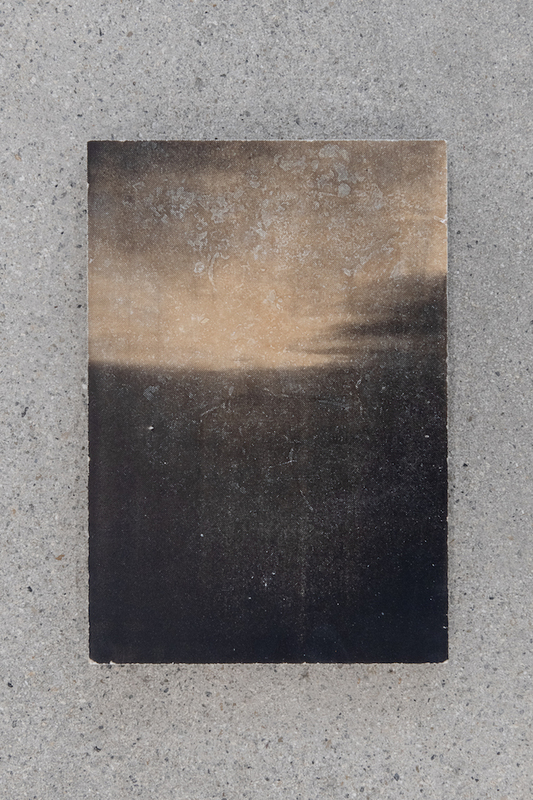 You can see his photographs here and read the feature online here. 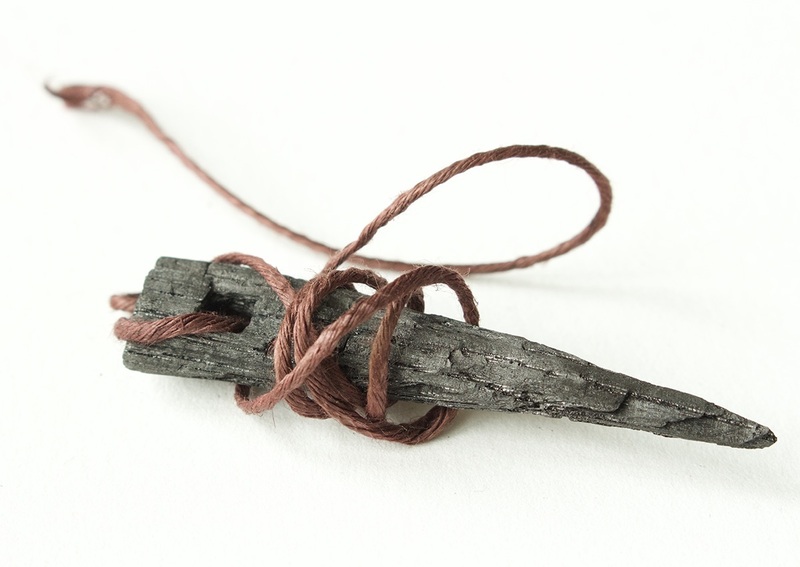 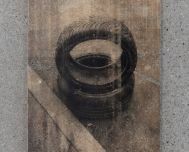 Participation of Sylvain Croci-Torti to the group show Slagpile at Stadio in Vevey - CH. 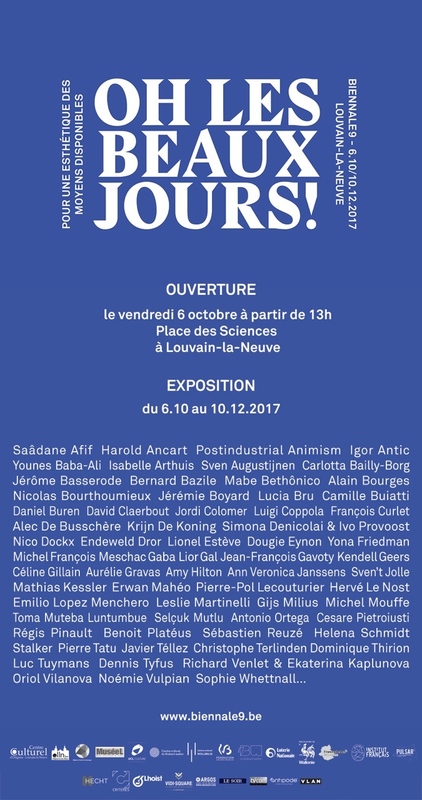 With Jacques Bonnard, Francesco Cavaliere, Sylvain Croci-Torti, Nicolas Delaroche, Julien Fischer, Tarik Hayward, Benjamin Husson, Thomas Koenig, Miguel Meneses, Timothée Messeiller, Damián Navarro, Jessica Russ et Jocelyne & Fabrice Petignat. 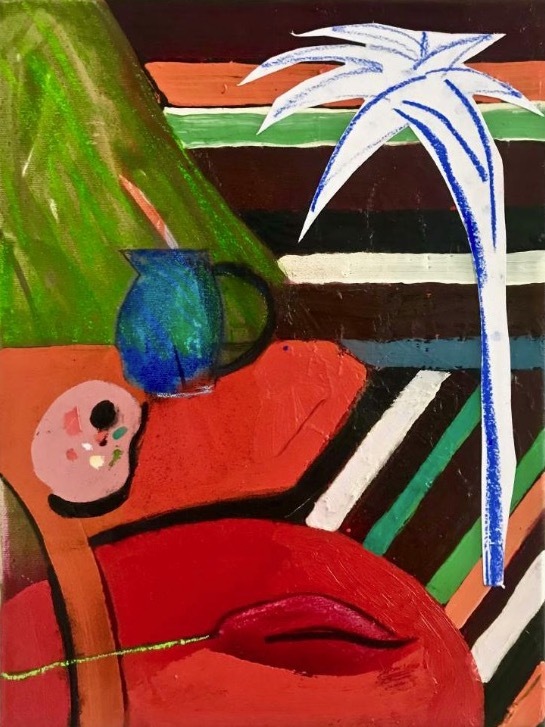 Artists include Edward Allington, Sophie Bouvier Auslander, Jess Bryant, Marcin Gawin & Malgorzata Lucyna Zajac, Joy Gregory, Tess Jaray, James Keith, Sam Llewellyn- Jones, Lisa Milroy, Onya McCausland, Jayne Parker, Lotte Scott, Joy Sleeman, Jack Southern, Andrew Stonyer, Kay Tabernacle and Jo Volley. 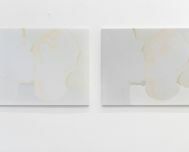 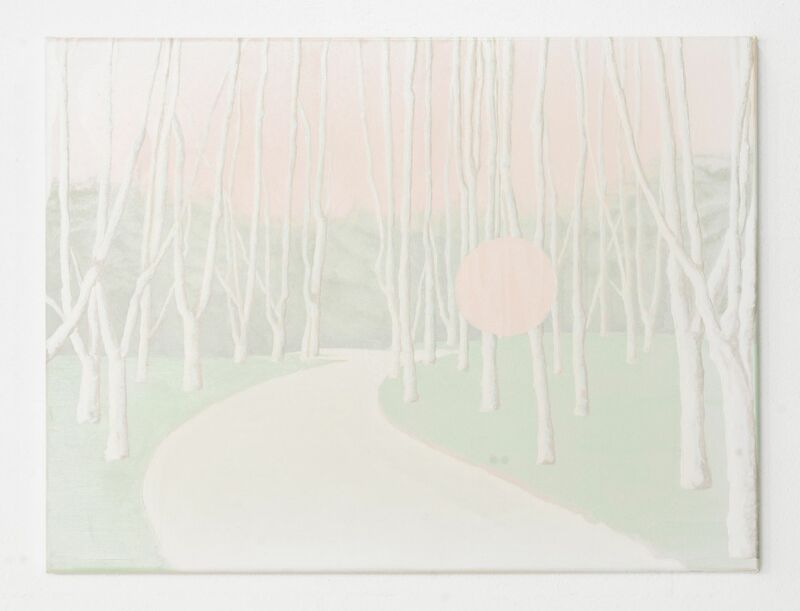 Sophie Bouvier Ausländer also participates to TEFAF 2016 Maastrcicht and Drawing Now 2016 Paris fairs with Galerie Patrick Heide Contemporary Art (London). 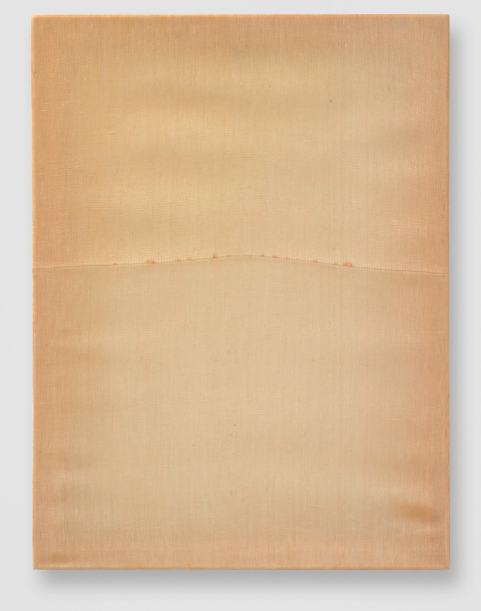 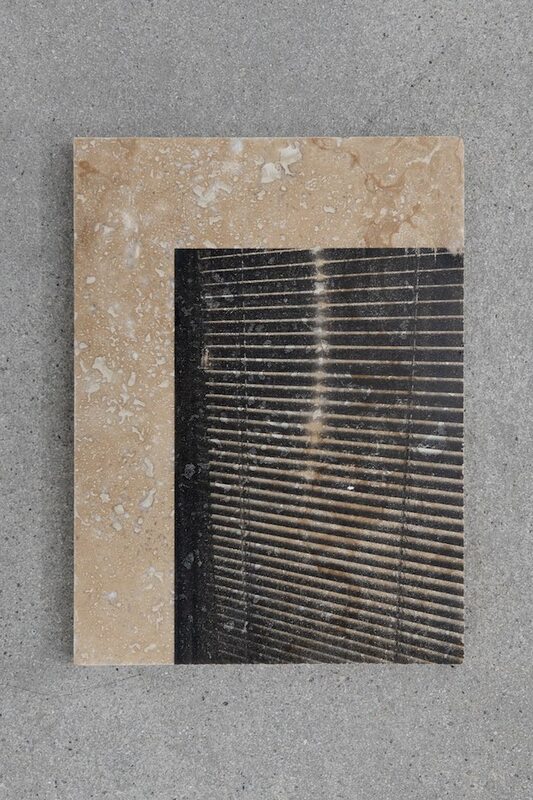 Sylvain Croci-Torti participates to the group show curated by Samuel Gross at the Galerie des Galeries in Paris - FR. 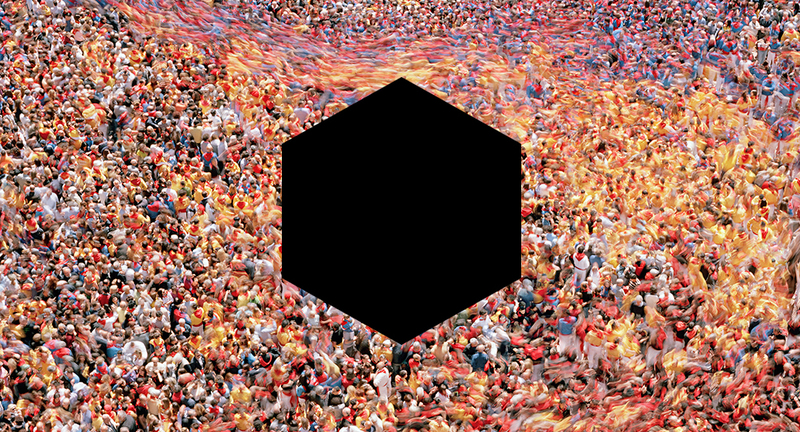 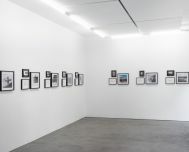 With John M Armleder, Domenico Battista, Francis Baudevin, Lisa Beck, Sylvain Croci-Torti, Stéphane Dafflon, Ian Davenport, Philippe Decrauzat, Émilie Ding, Sylvie Fleury, Frédéric Gabioud, Liam Gillick, Lena Hilton, Vera Molnar, Olivier Mosset, Hans-Walter Müller, Mai-Thu Perret, Jean-Michel Sanejouand and Michael Scott. 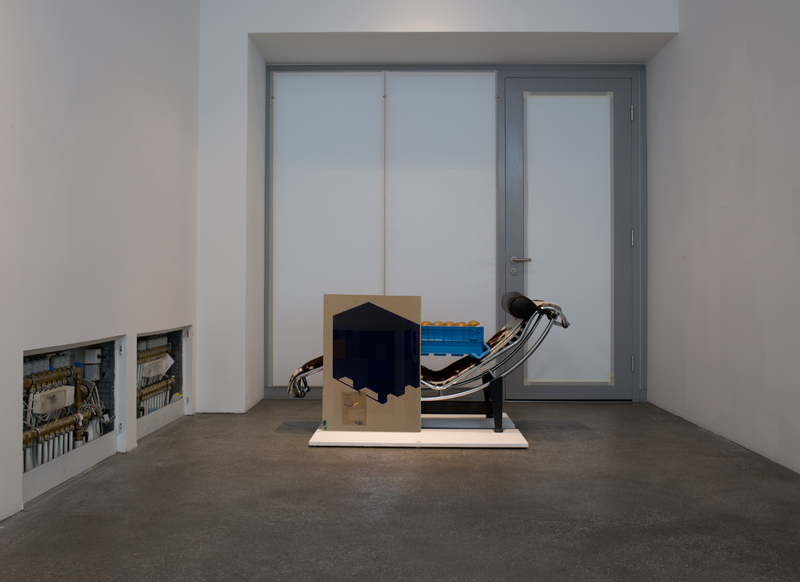 Solo show Lontan e manevel at the Swiss Embassy in Beirut - Lebanon. 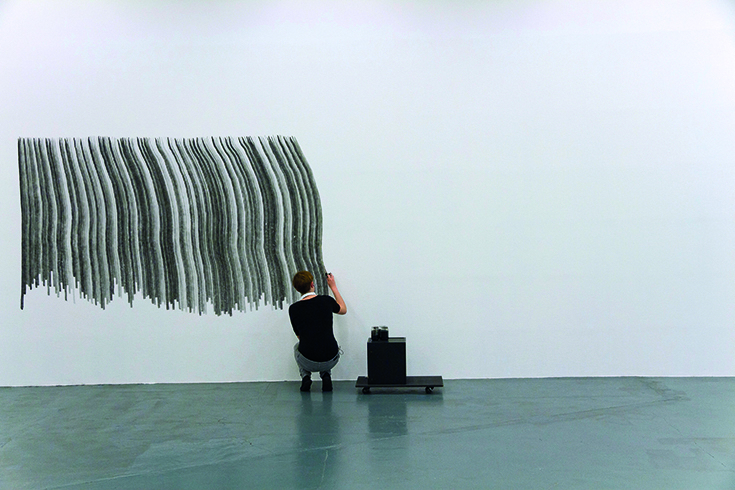 Installation by Mirko Baselgia at the occasion of the Prix Mobilière exhibition during the art/genève art fair. 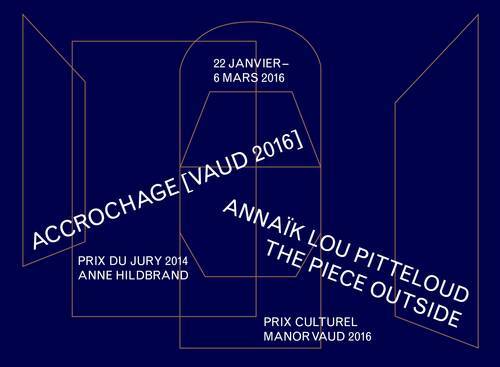 Sylvain Croci-Torti is part of the group show Accrochage (Vaud 2016) at the Musée Cantonal des Beaux-Arts of Lausanne. 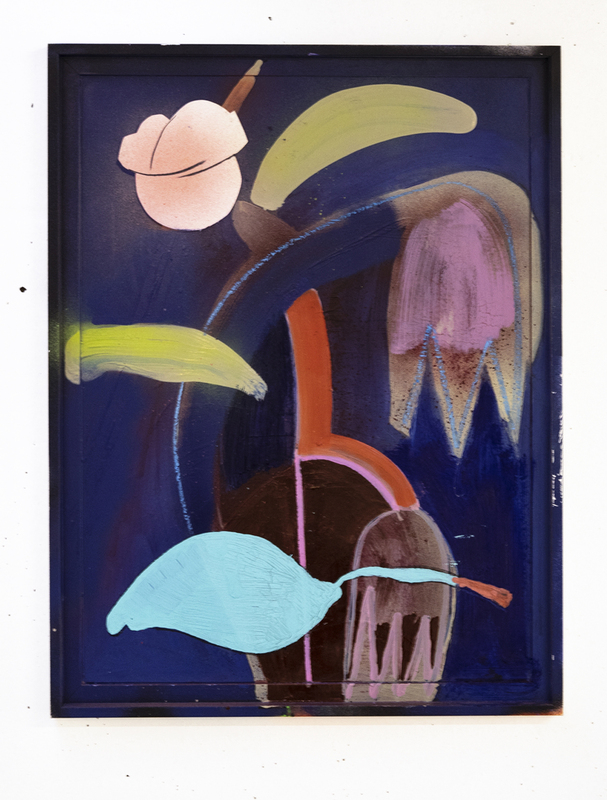 Simon Roberts will have works included in the Small is Beautiful exhibitions taking place at Flowers Gallery in London and New York. 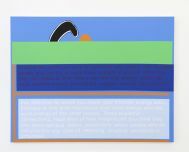 For this annual exhibition, contemporary artists working in all media are challenged to produce works with a fixed economy of scale, each piece measuring no more than 9 x 7 inches. 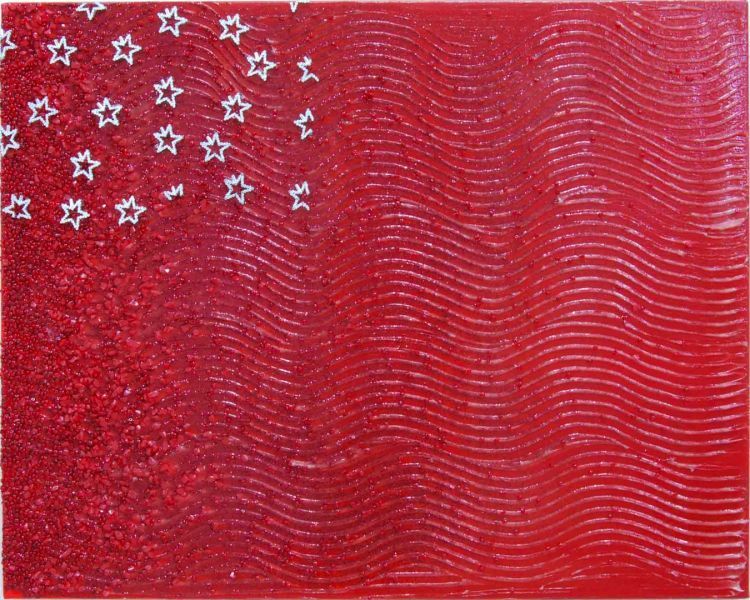 We are pleased to announce our participation to the second edition of Este Arte, international contemporary art fair in Punta del Este - Uruguay. 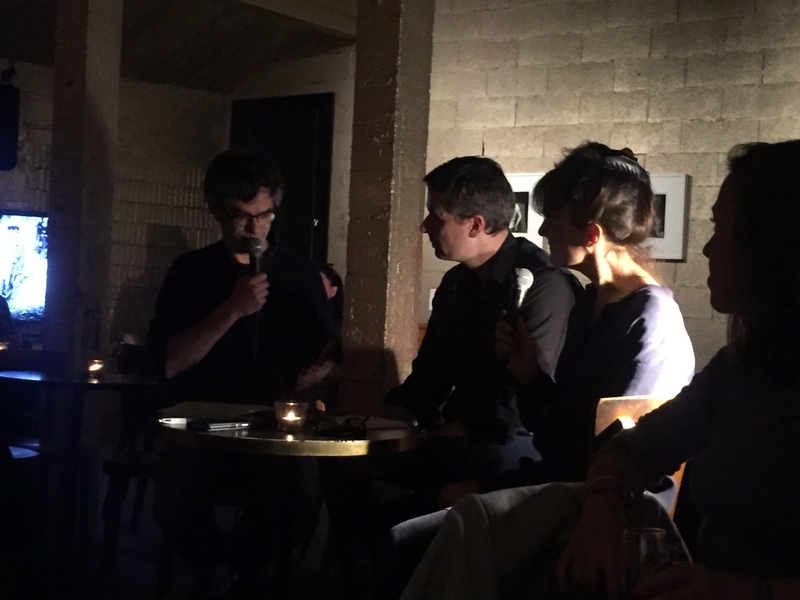 With Mathieu Bernard-Reymond, Sophie Bouvier Ausländer, Adrien Couvrat & Sylvain Croci-Torti. 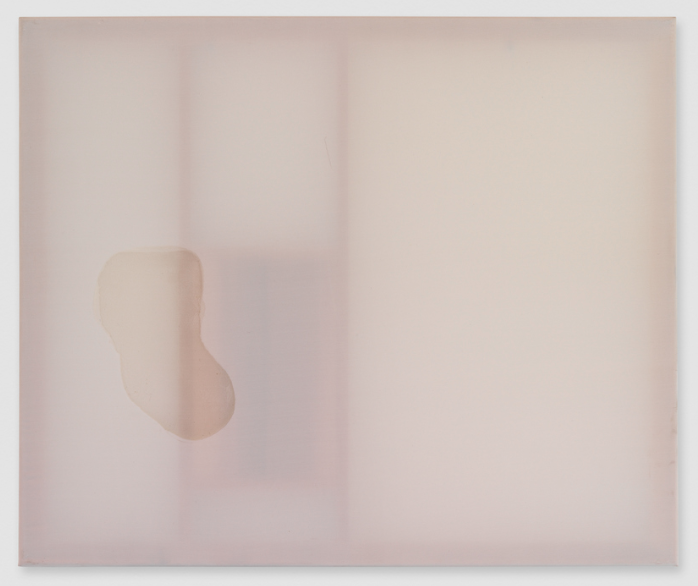 We are pleased to announce that Mirko Baselgia has been selected for the Prix Moblière 2016. 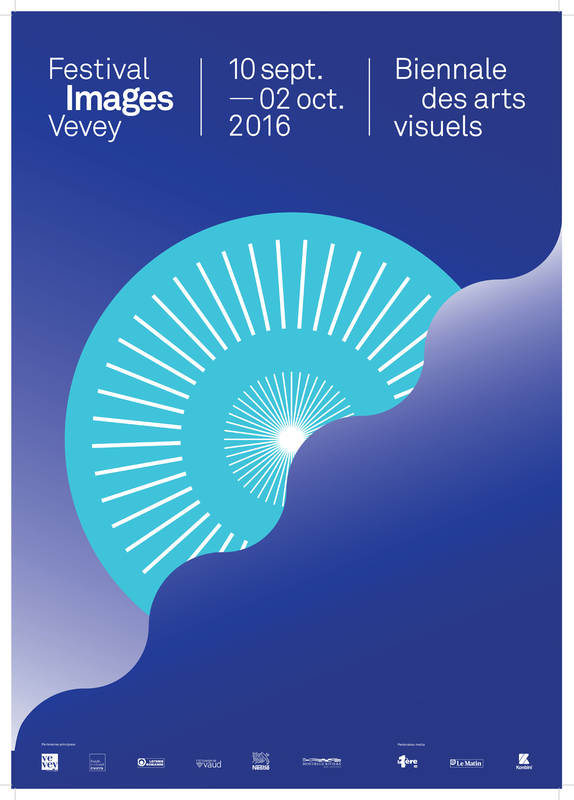 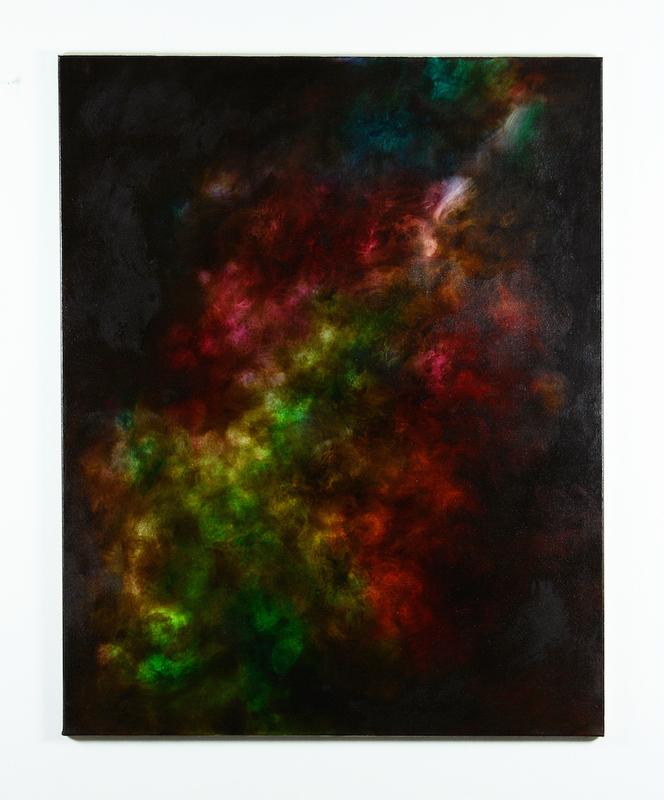 The prize will be awarded end of January 2016 during the artgenève art fair. 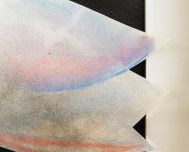 Baselgia's work, alongside with the seven other selected artists, will be exhibited in a dedicated space during the fair. 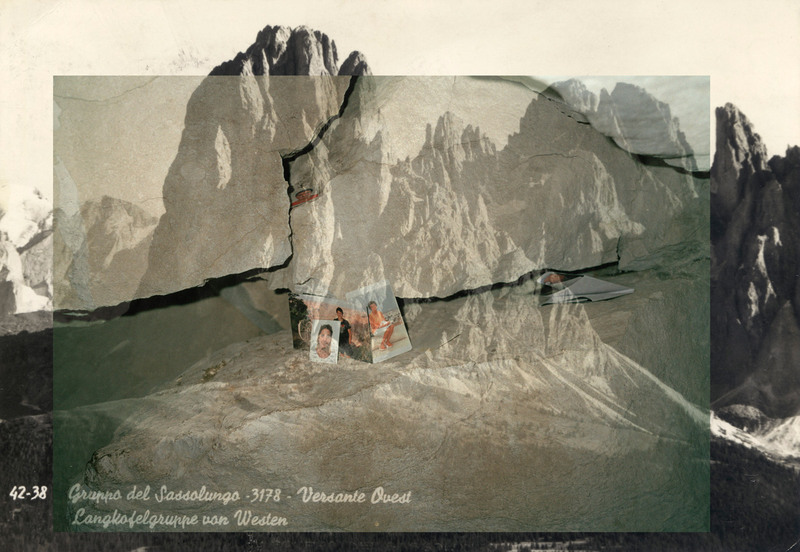 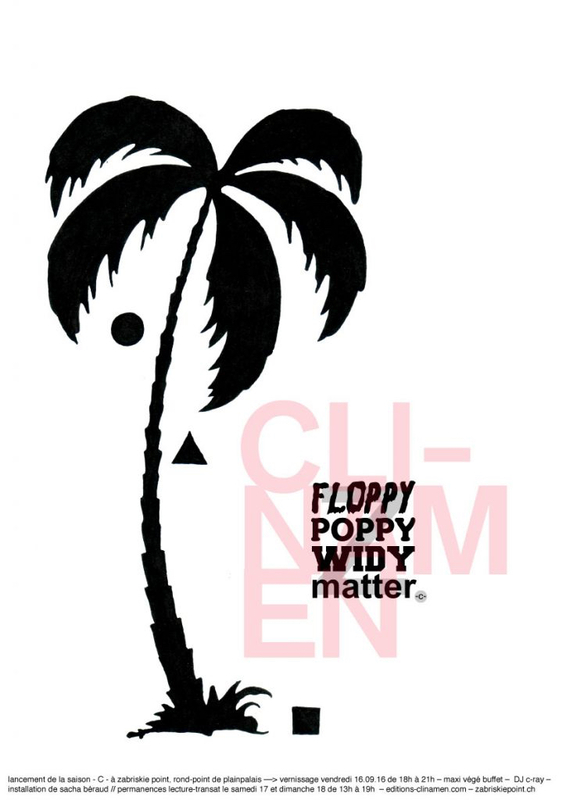 Cluster: group show curated by Regaida Comensoli and Sébastien Peter at Sonnenstube (Lugano-CH). 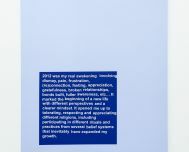 With: Jonas S. Baumann, Pauline Beaudemont, Beni Bischof, Oppy De Bernardo, Marco Bongiorni, Audrey Cottin, Luca Frei, Gilles Furtwängler, Thomas Galler, Hayan Kam Nakache & Josse Bailly, Andreas Hochuli, 0100101110101101.ORG, Isabelle Racine & Laura Thiong-Toye, Juice & Rispetta, Camille Le Houezec, Jérôme Leuba, Hektor Mamet, Marius Margot, Damiano Merzari, Jonathan Monk, Gianni Motti, Damian Navarro, Garrett Nelson, Frédéric Post, Nicolas Raufaste, Augustin Rebetez, Maya Rochat, Darren Roshier, Christoph Wachter and Mathias Jud. 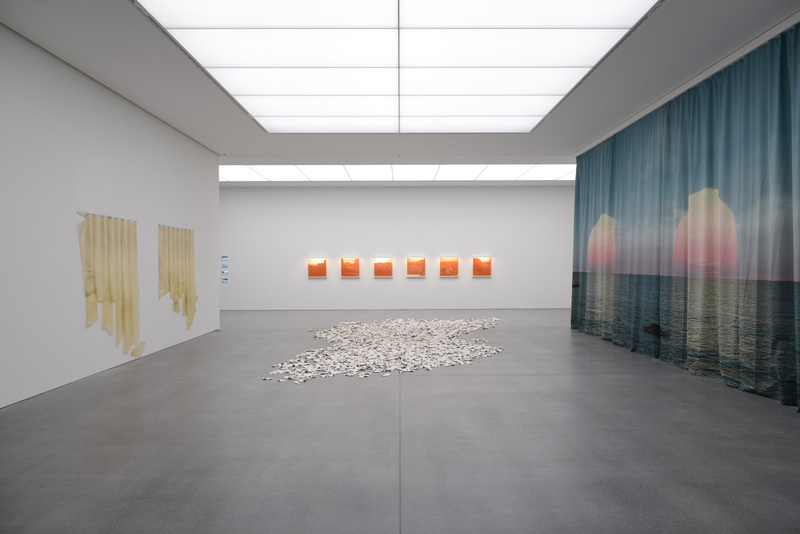 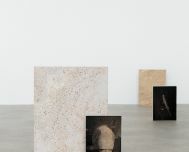 Group show Charaktere, Das Bündner Kunstmuseum zu Gast curated by Marco Obrist & Stephan Kunz at Kunsthaus Zug. 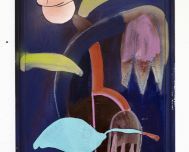 Goup show "Element" at Galerie Eric Mouchet with Mathieu Bernard-Reymond, Benoît Jeannet & Benoît Vollmer, curated by Matthieu Gafsou. 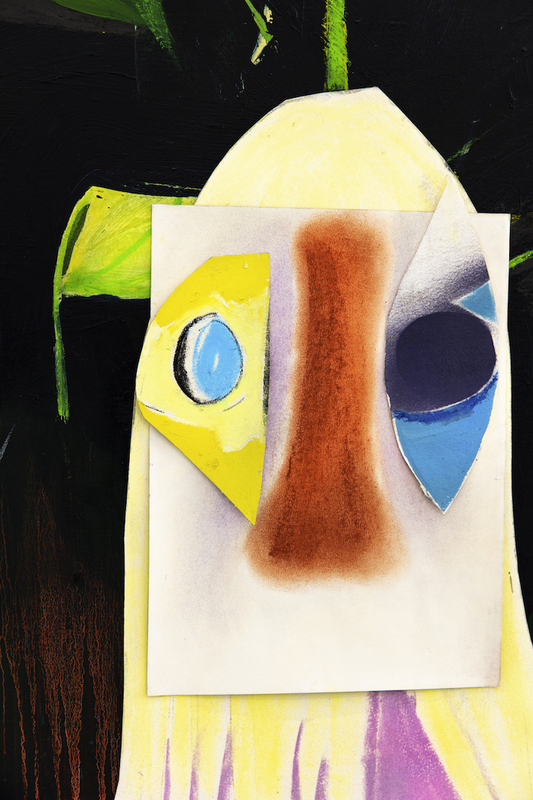 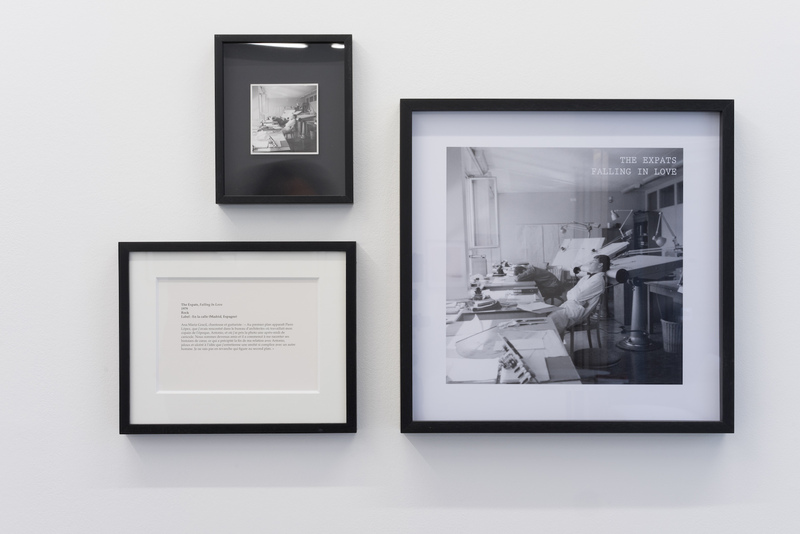 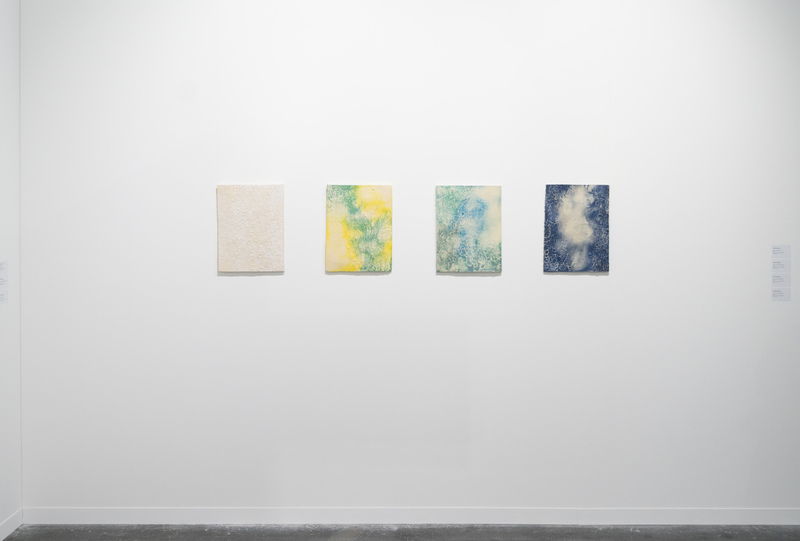 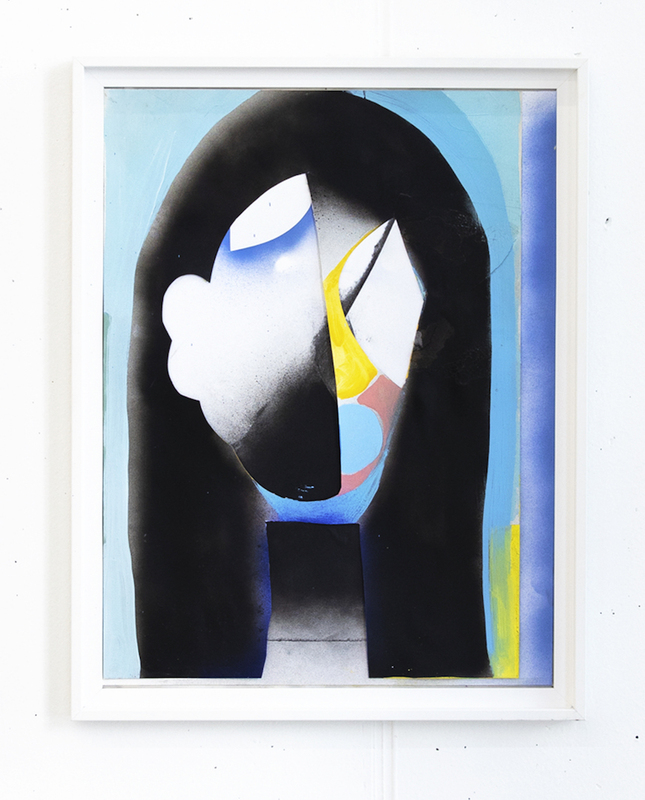 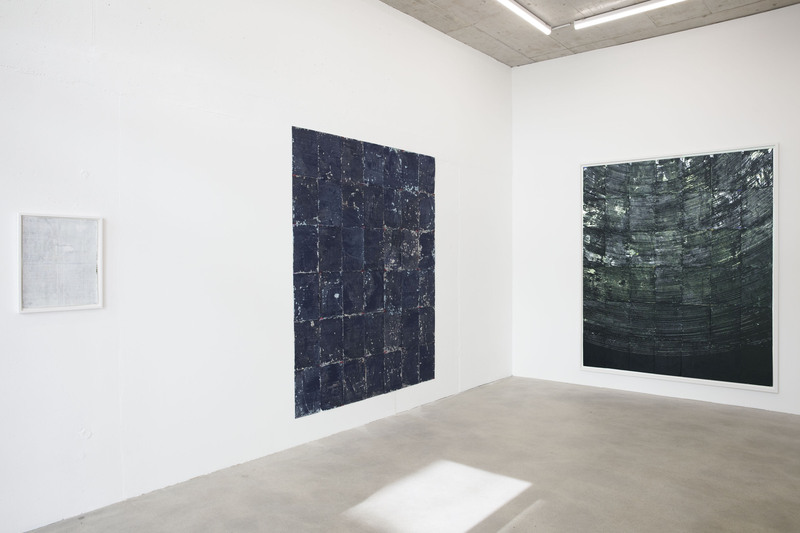 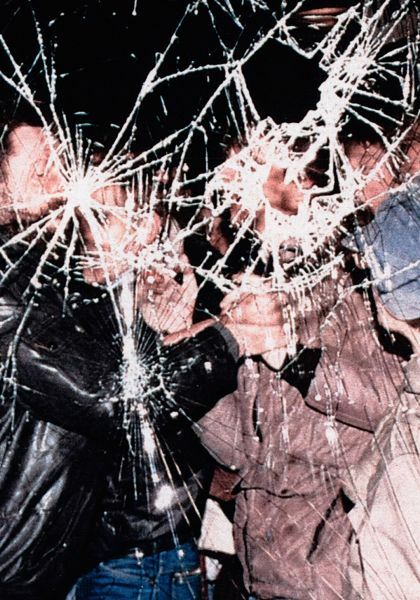 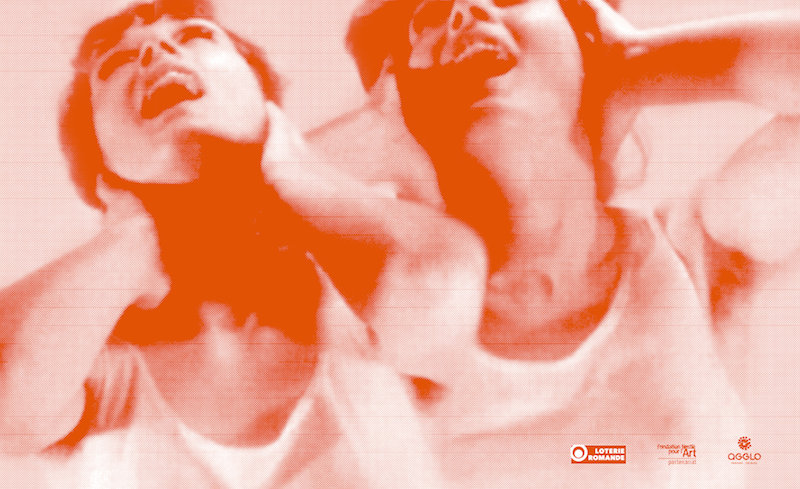 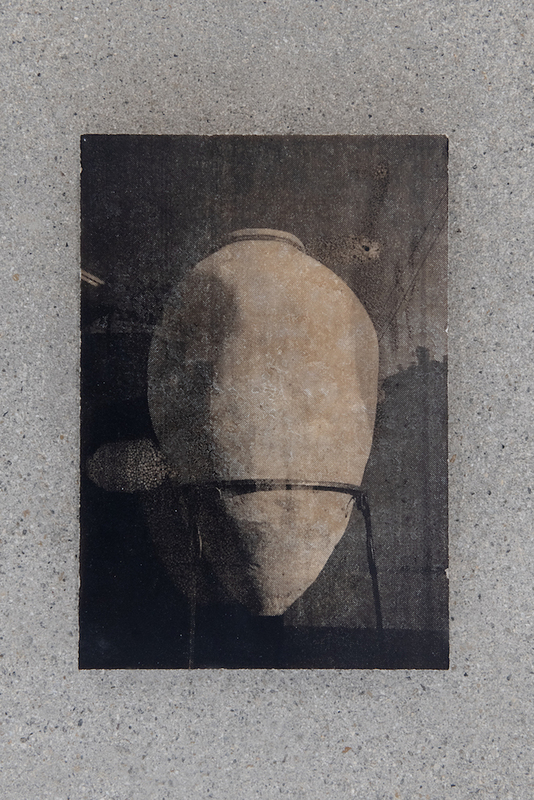 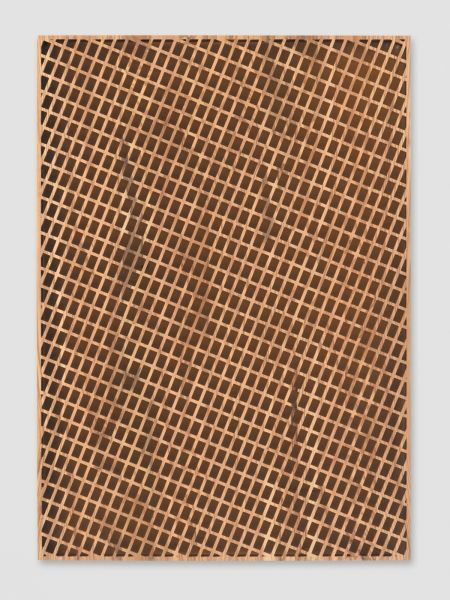 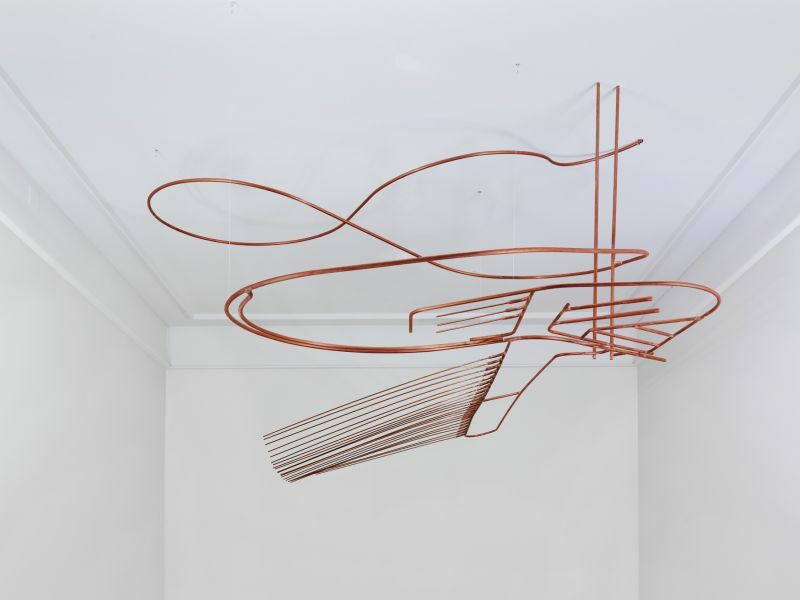 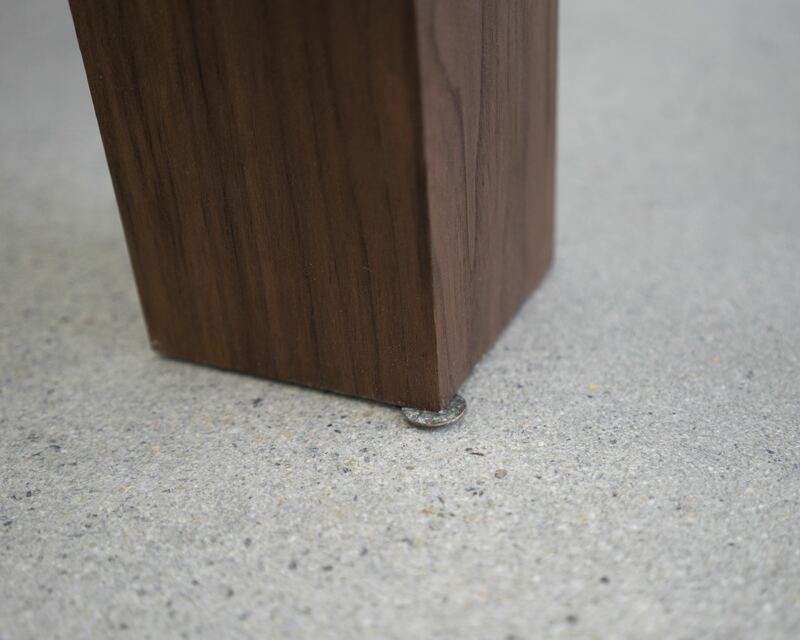 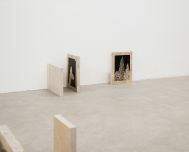 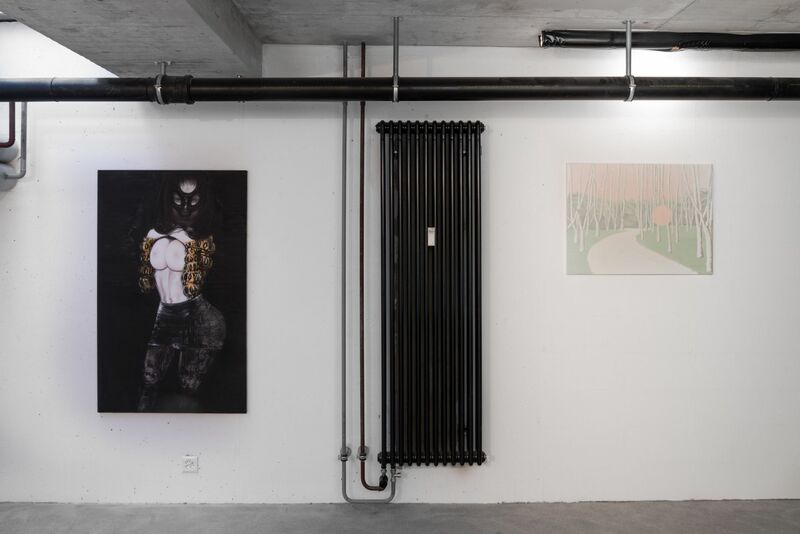 Group show Lignes (é)mouvantes with Luc Andrié, Antonin Fassio, Sophe Bouvier Ausländer, Gary Woodley, Félix Goulard, Paul Desmazières, Joan Ayrton, Virginie Yassef, Club Superette. 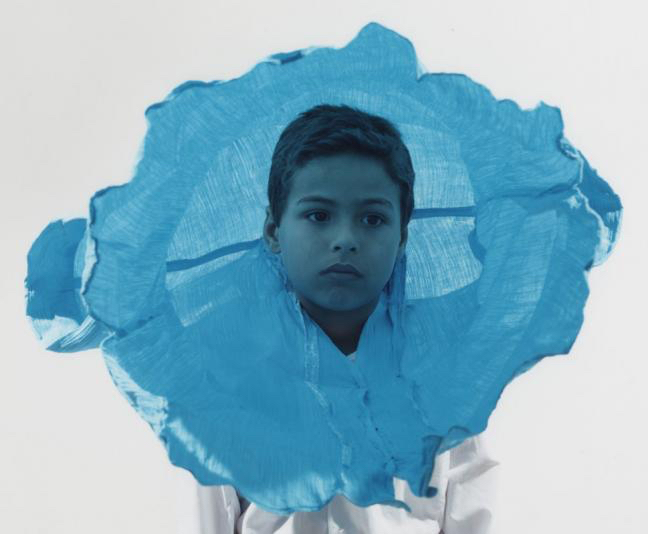 YOUNG MEMORIES, a program curated by Alexandra Roussopoulos. 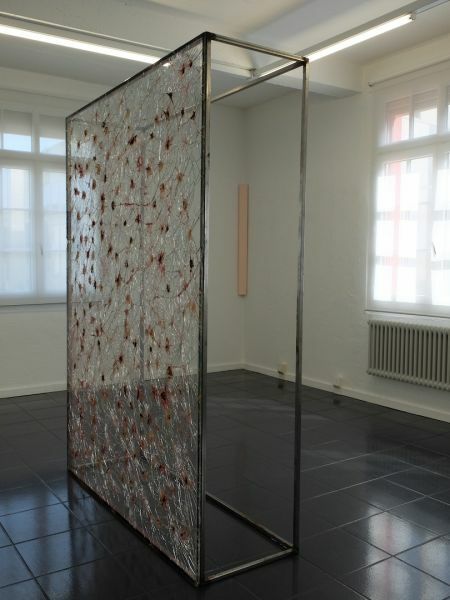 Solo exhibition of Mirko Baselgia entitled Igl Tor Muribund at Kunsthandel Vonlanthen. 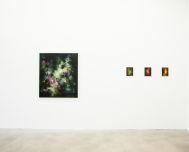 Group show Harnessing the Wind with Sophie Bouvier Ausländer, Ellie Harrison, Monika Oechsler and Naomi Siderfin at Beaconsfield, London. 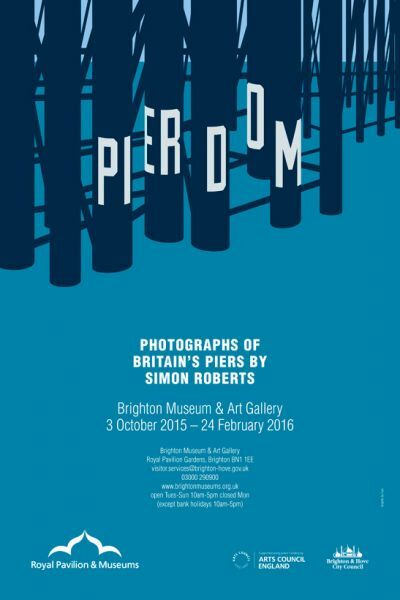 The final leg of Simon Roberts' Pierdom national exhibition tour concludes at Brighton Museum & Art Gallery this winter. 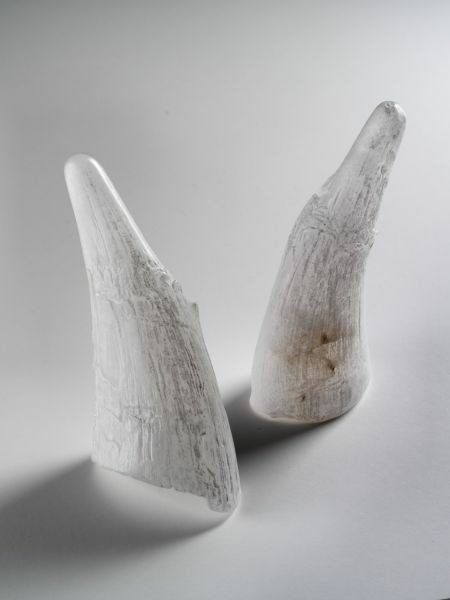 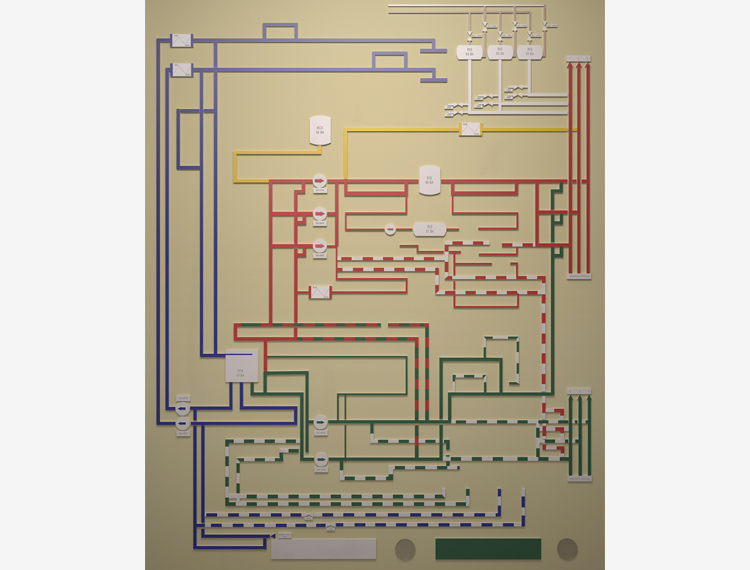 For more information visit the Brighton Museums website here. 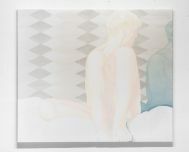 Solo exhibition of Thibault Brunet entitled Répercussions at Galerie Binôme, Paris. 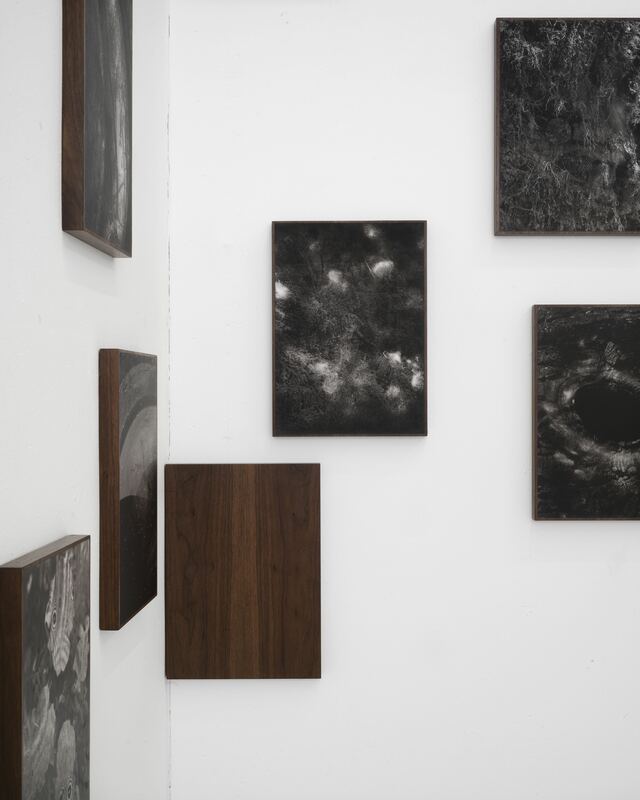 Group show entitled Image Electrique with Mathieu Bernard-Reymond, Léo Delafontaine & Thomas Jorion at La Chambre, Strasbourg (FR). 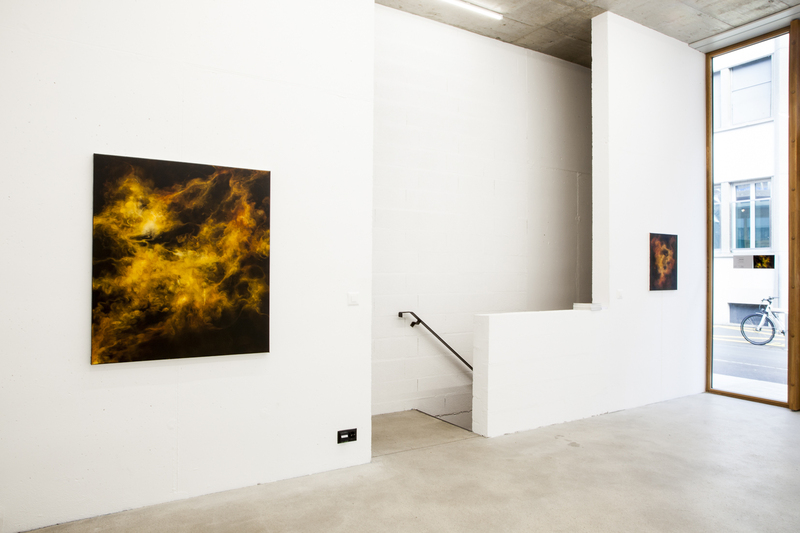 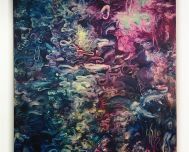 Exhibition of Sylvain Croci-Torti & Guy Meldem entitled Such R Greert Feeling at Les Mouettes, Vevey - CH. 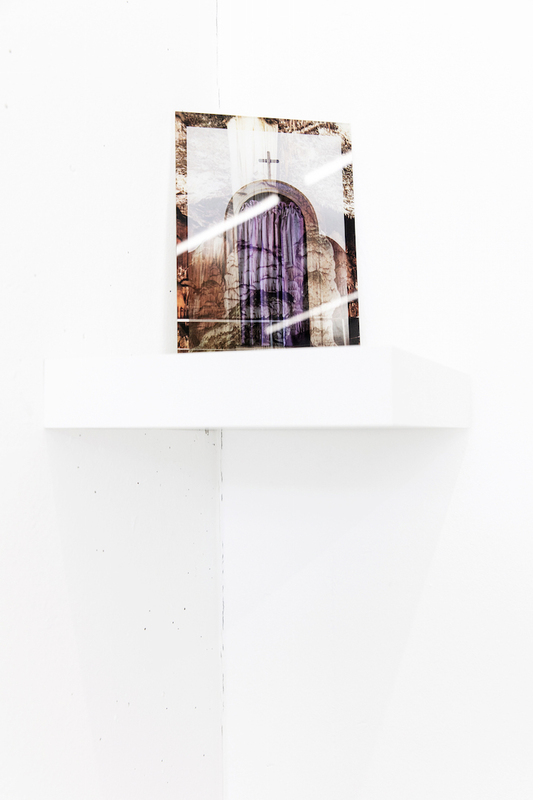 Group show "Je me souviens " with Sophie Bouvier Ausländer, Mounir Fatmi, Aikaterini Gegisian, Özlem Günyol & Mustafa Kunt, Dejan Kaludjerovic, Jonathan Monk, Pierre Petit, Viet Bang Pham, Triny Prada, Lorenzo Puglisi, Esther Shalev-Gerz, Lawrence Weiner & Georgios Xenos. 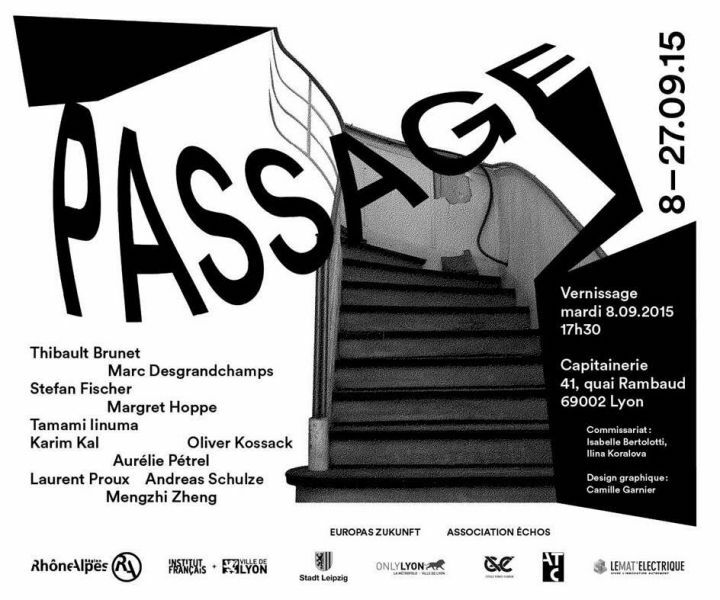 Group exhibition Passage as part of the 13th Biennale de Lyon. 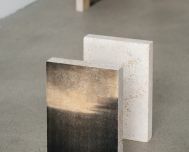 Curators: Ilina Koralova and Isabelle Bertolotti. 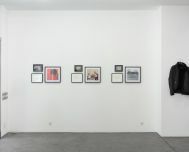 With Thibault Brunet, Marc Desgrandchamps, Stefan Fischer, Margret Hoppe, Tamami Iinuma, Karim Kal, Oliver Kossack, Aurélie Pétrel, Laurent Proux, Andreas Schulze and Mengzhi Zheng. 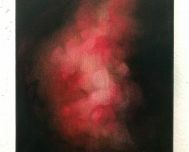 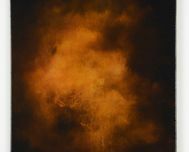 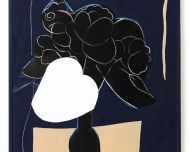 Solo exhibition of Simon Roberts' latest body of work National Property: The Picturesque Imperfect at Flowers Gallery. 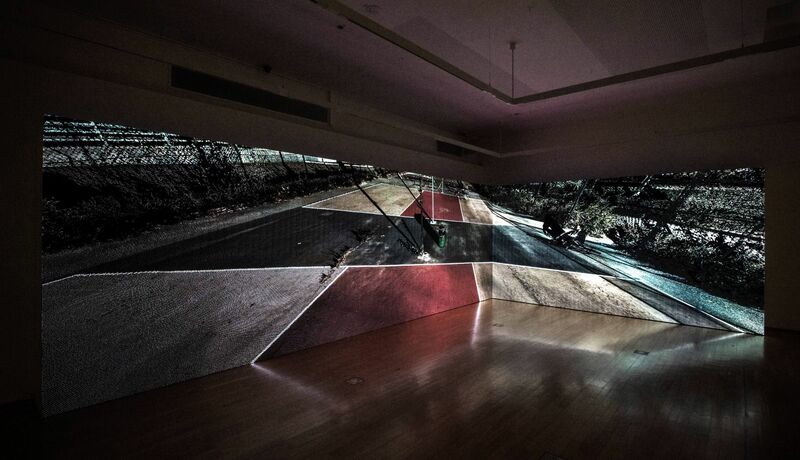 Group show entitled Rendez-Vous Singapour at the Institute of Contemporary Arts of Singapore. 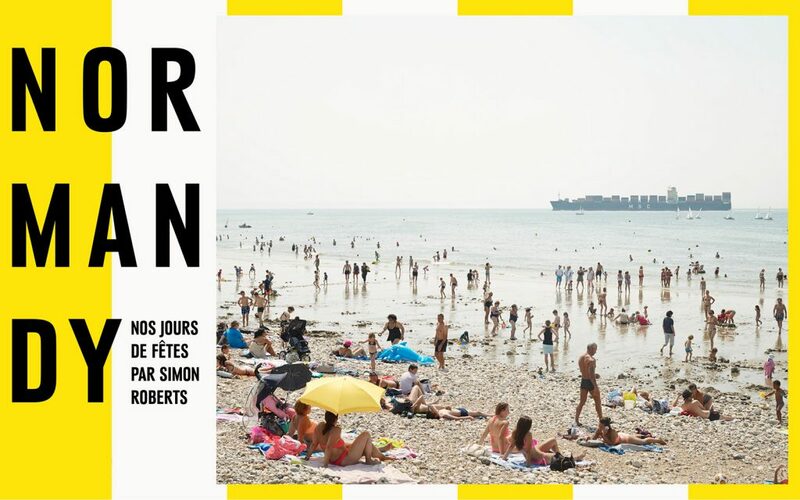 WIth Lina Adam, Mathilde Barrio Nuevo, Sophie Bonnet-Pourpet, Thibault Brunet, Chun Kaifeng, Jean-Alain Corre, Hasan & Husain Essop, Dan Finsel, André Fortino, Joo Choon Lin, Nikita Kadan, Karim Kal, Paula Krause, Charles Lim, Guillaume Louot, Lu Yang, Angelica Mesiti, Paribartana Mohanty, Nicolas Momein, Nelly Monnier, Sherman Ong, İz Özta. 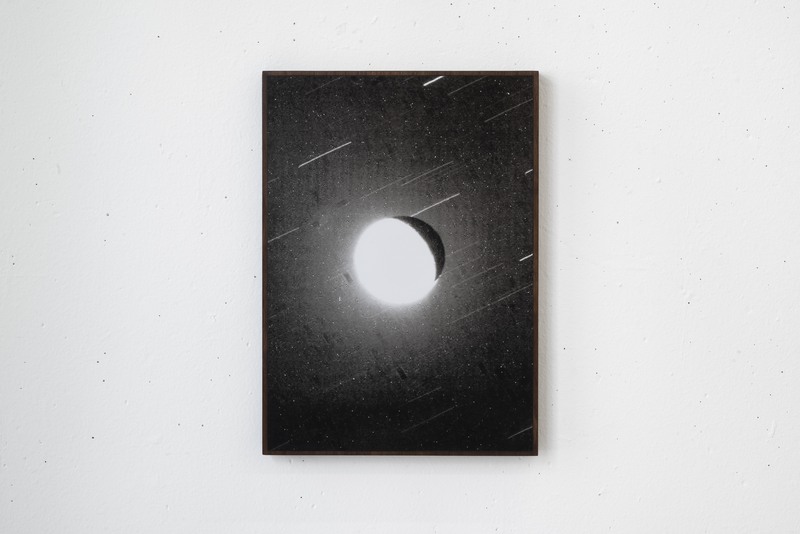 Group show at Kunsthalle Exnergasse (Vienna) entitled No Need For References. 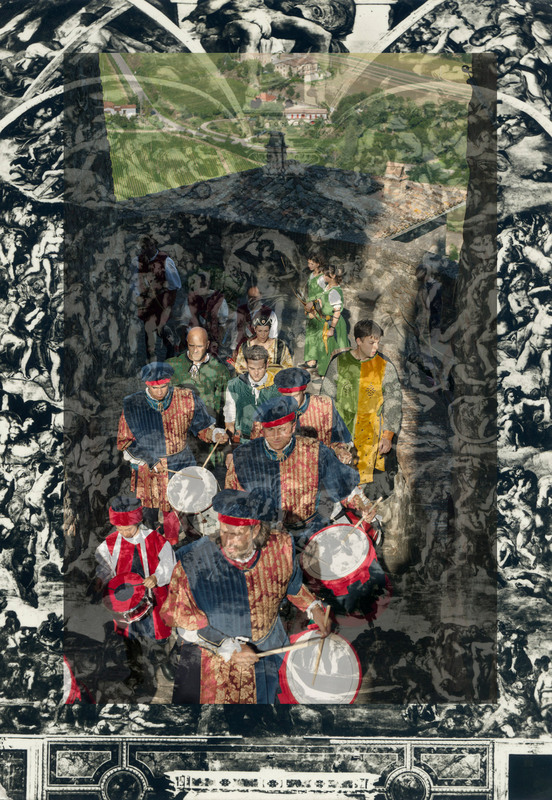 With Andreas Hochuli, Yota Ioannidou, Nuno da Luz, Sandra Monterroso, Berenice Olmedo und Alicja Rogalska. 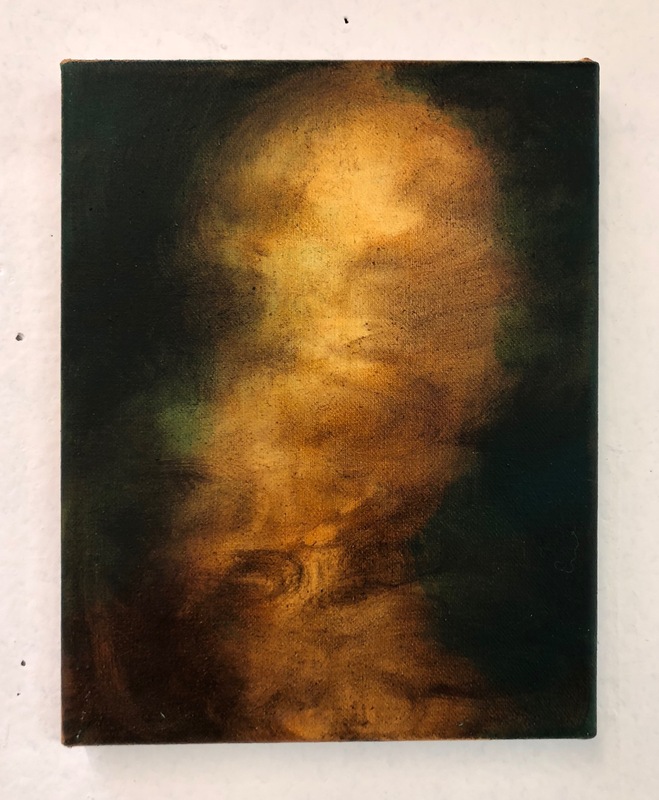 Group exhibition entitled Eyes - Mind - Brain at Unosunove (Roma - IT) with Anna Betbeze, Baptiste Caccia, Adrien Couvrat, Sergio Lombardo, Alfredo Pirri, Gerard Traquandi. 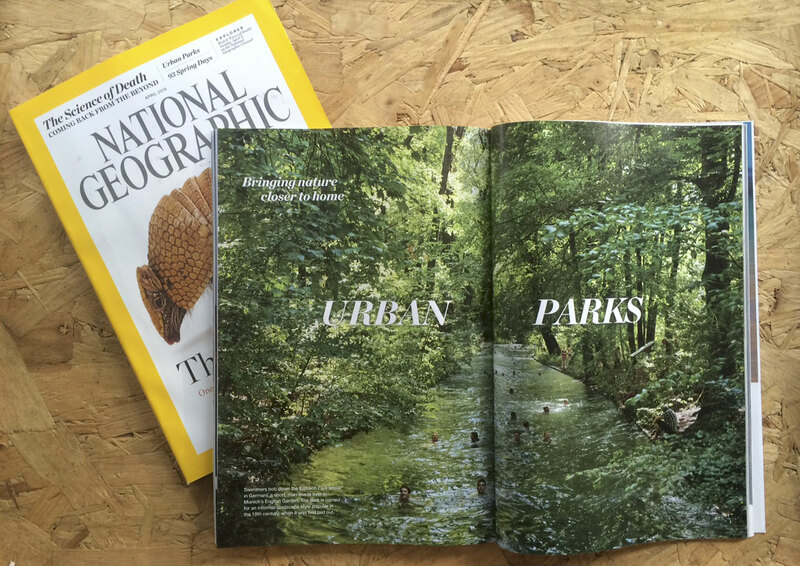 A selection of Simon Roberts' new series National Property is published in the Financial Times supplement FT Weekend Magazine (May 23/24 2015) with an introduction written by Stephen Daniels. 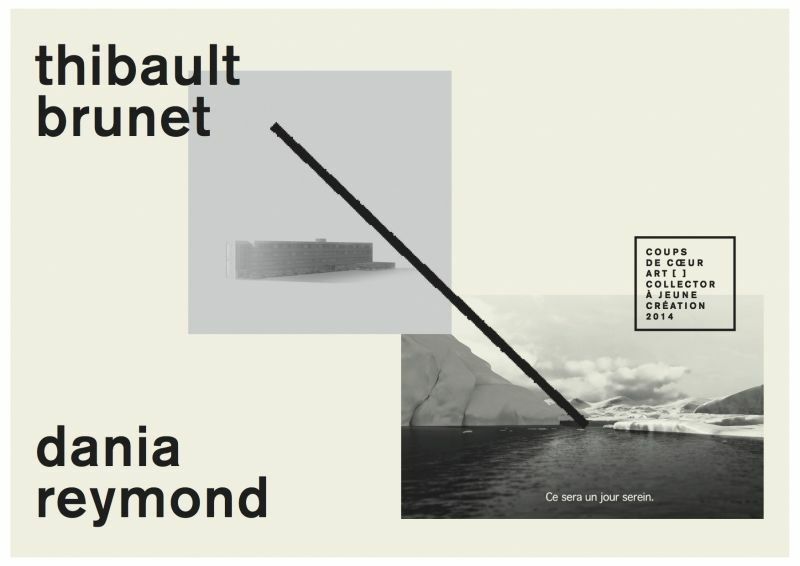 Exhibition Coups de coeur Art Collector à Jeune Création 2014 with Dania Reymond in partnership with Le Studio du Patio-Opéra. 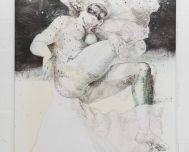 Özlem Günyol & Mustafa Kunt, Aikaterini Gegisian, Georgios Xenos. 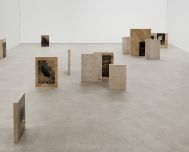 Adrien Couvrat will show an in situ installation for the Desdémone, entre désir et désespoir exhibition at the Institut du Monde Arabe (Paris - FR). Curators: Marie Maertens & Edwart Vignot. 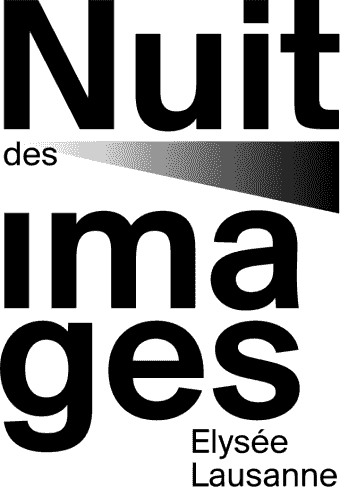 With: Paul Cézanne, Théodore Chassériau, Léon Cogniet, Eugène Delacroix, Jean Hélion, Georges Lacombe, Gustave Moreau, Charles Nègre, Pablo Picasso, Émile Picault and Félix Vallotton correspond with Mathieu K. Abonnenc, Guillaume Bresson, Mohamed Bourouissa, Sophie Calle, Adrien Couvrat, Jochen Gerner, Camille Henrot, Erik Nussbicker, Émilie Pitoiset, Lili Reynaud-Dewar and Edwart Vignot. 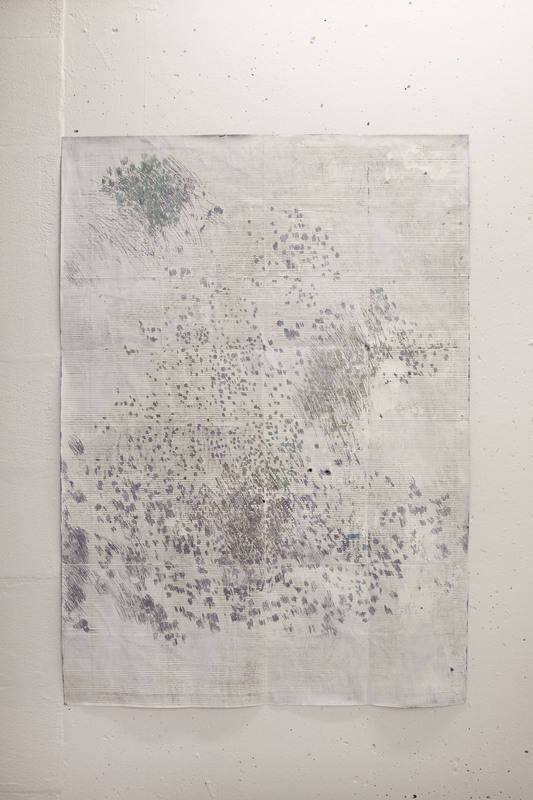 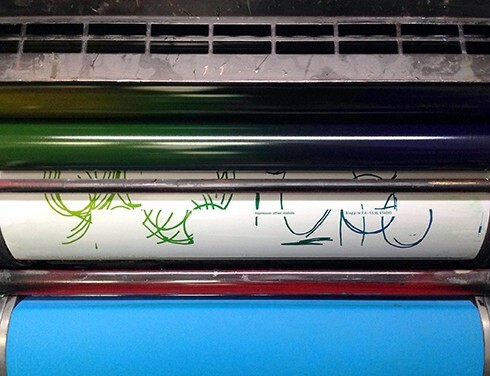 We are pleased to announce the participation of Sylvain Croci-Torti to a group show entitled Printmaking by ECAL in the Musée Jenisch in Vevey (CH). 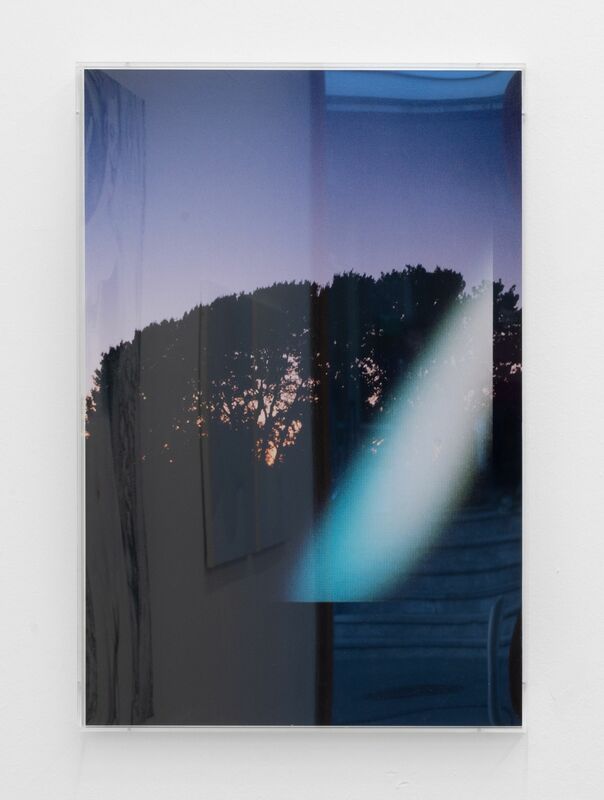 Thibault Brunet's work will be exhibited at the "Nouveaux territoires de l'image" group show at FRAC Languedoc-Roussillon in Montpellier (FR). 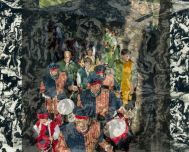 With: Abdelkader Benchamma, Belkacem Boudjellouli, Thibault Brunet, Bertrand Dezoteux, Masanao Hirayama, Aurélie Pétrel. 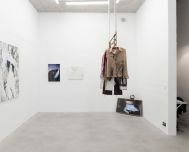 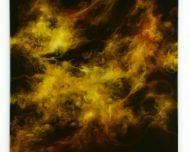 Group show at CCAM in Nancy (FR) with: Jérôme Brézillon, Thibault Brunet, Jean-Philippe Carré-Mattei, Guillaume Martial, Albin Millot, Aude Sirvain and Emilie Vialet. 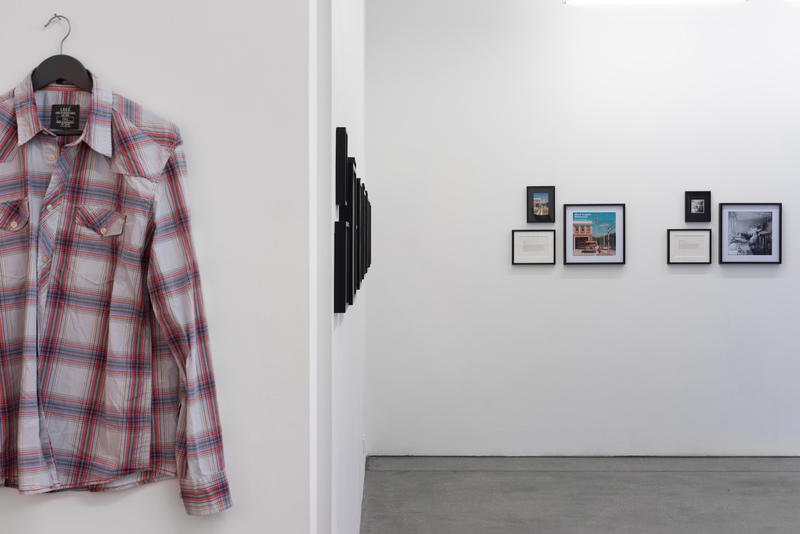 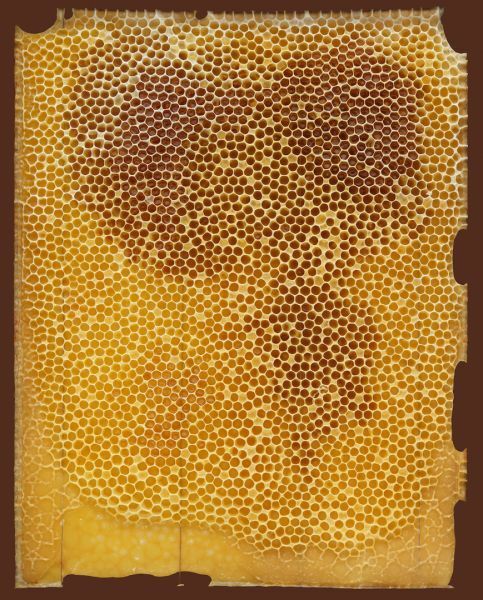 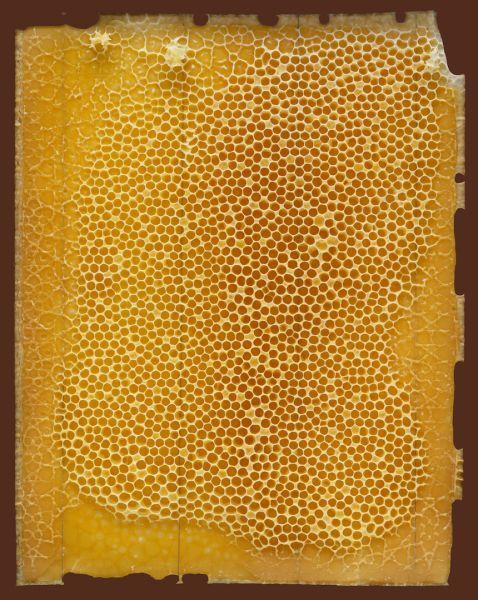 Sylvain Croci-Torti and Andreas Hochuli are part of the exhibition Work Hard at the Swiss Institute in New York, curated by Valentin Carron. 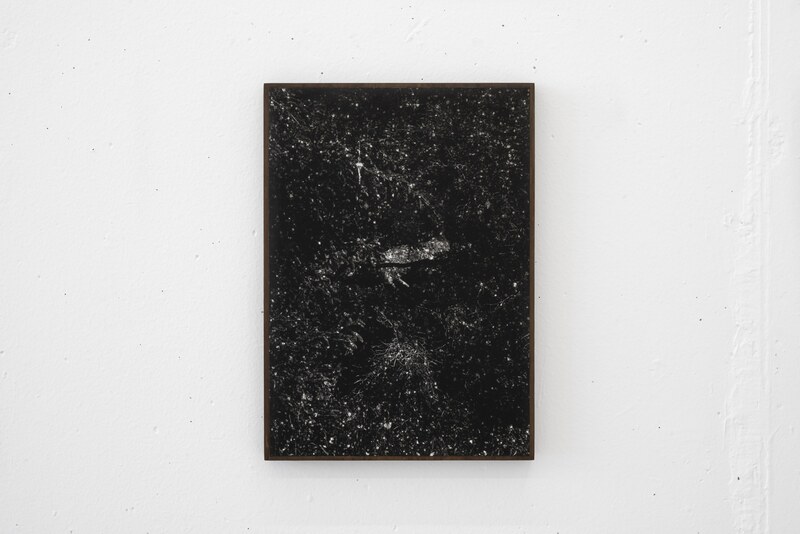 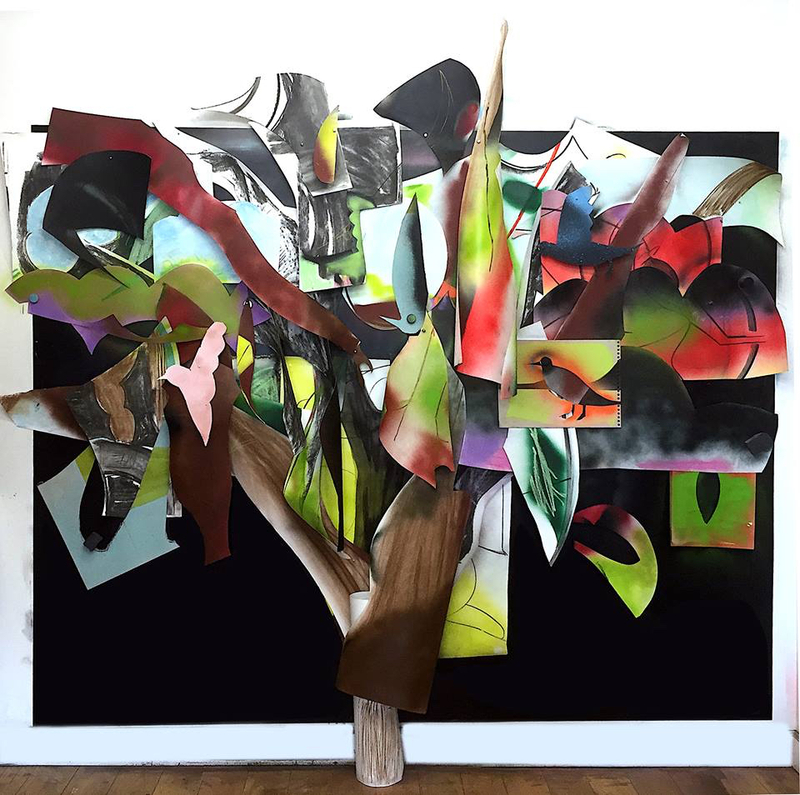 Participating artists include Edmond Bille, Vittorio Brodmann, Marguerite Burnat-Provins, Luciano Castelli, Claudia Comte, Sylvain Croci Torti, Latifa Echakhch, Frédéric Gabioud, Mathis Gasser, Fabrice Gygi, Andreas Hochuli, Trix and Robert Haussmann, David Hominal, Bernhard Luginbühl, Urs Lüthi, Fabian Marti, Méret Oppenheim, Simon Paccaud, Mai-Thu Perret, Ugo Rondinone, Denis Savary, Daniel Spoerri, and Jean Tinguely. 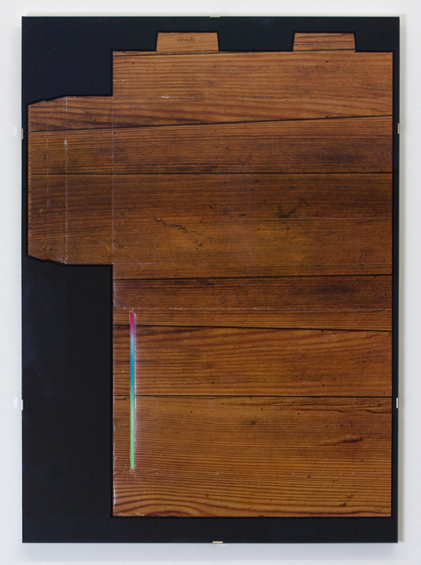 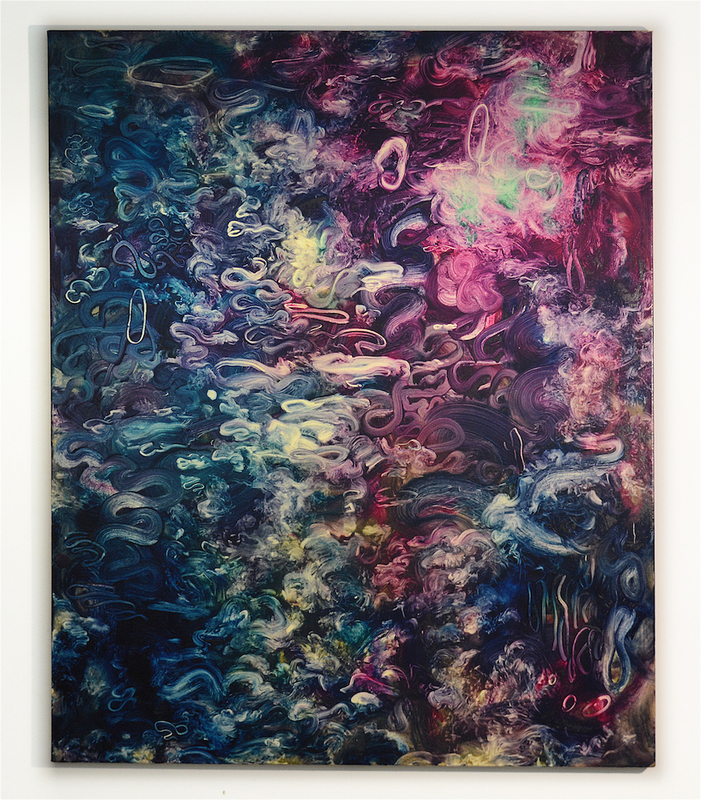 Yoan Mudry / Hannah Weinberger at Nicolas Krupp Contemporary Art. 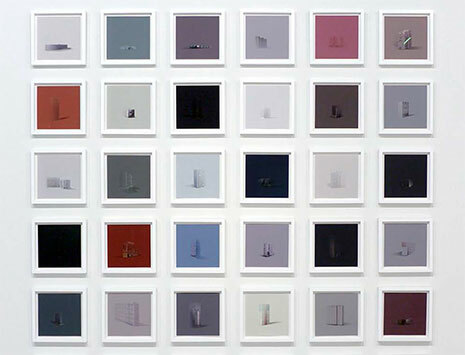 Solo exhibition of Thibault Brunet entitled From 0 to 1 - From 1 to 0 at the Fundacio Sunol in Barcelona. 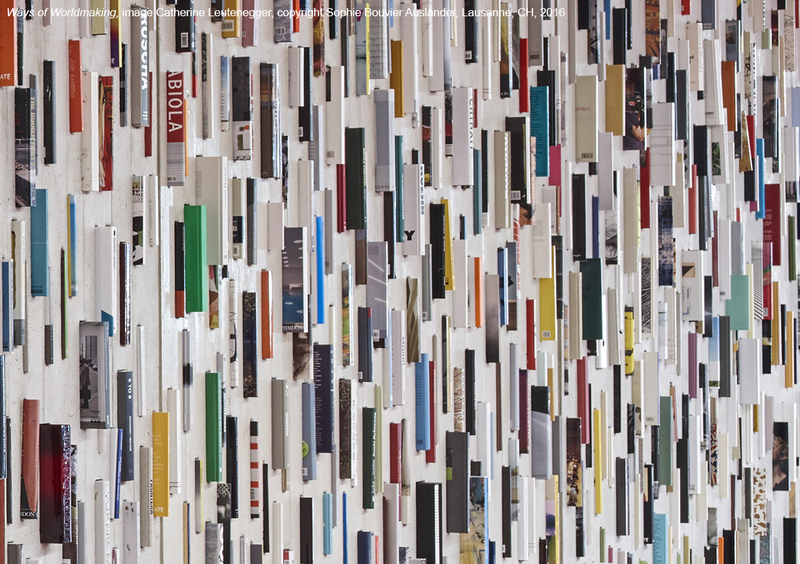 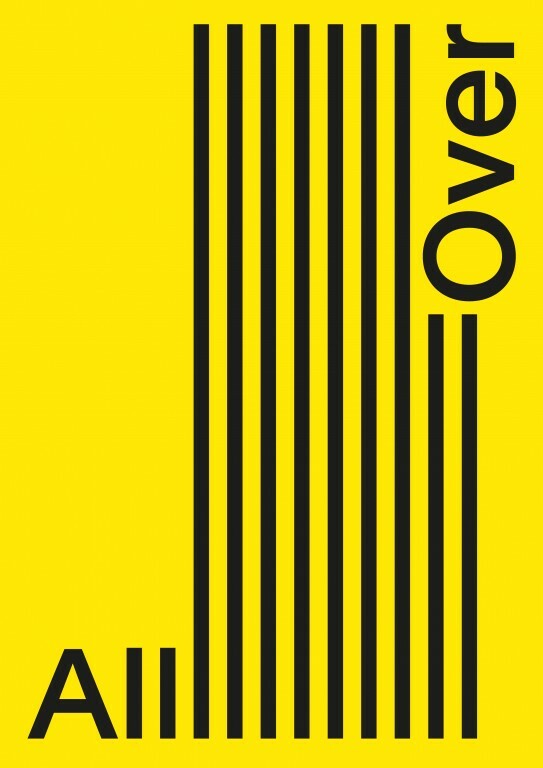 We are pleased to announce our participation to the 2015 edition of artgenève. 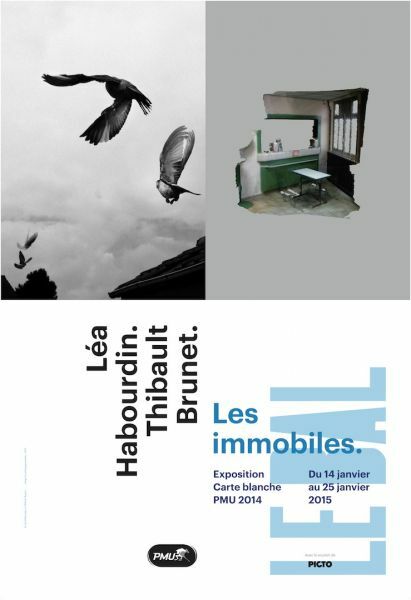 As the winners of the Carte Blanche PMU 2014 prize, Thibault Brunet, in tandem with Léa Habourdin, will show his latest body of works - Les Immobiles - at Le BAL (Paris). 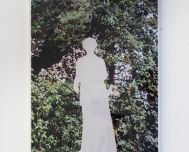 Sophie Bouvier Ausländer will participate at the collective exhibition L'art se livre at the Musée des Beaux-Arts Le Locle. 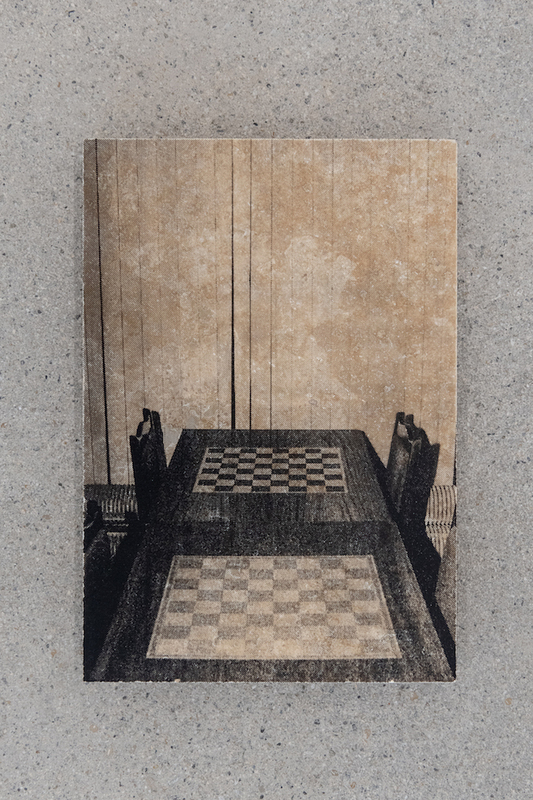 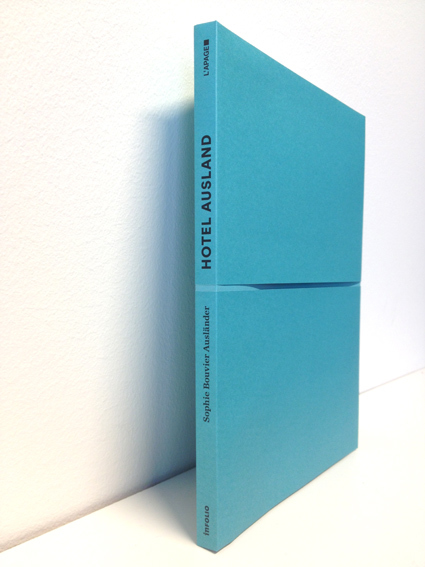 We are pleased to announce the publication of a monograph on Sophie Bouvier Ausländer's recent works. 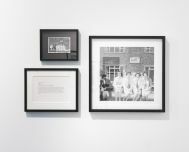 Prints from Simon Roberts' Motherland series are included in the exhibition ‘Human Nature: 15 years of Art Collection Deutsche Börse’. 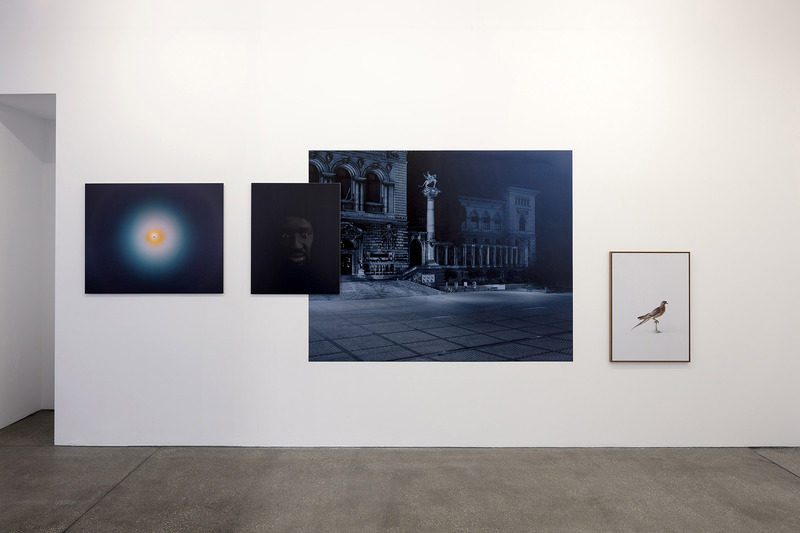 This year Deutsche Börse will have been collecting contemporary photography for fifteen years. 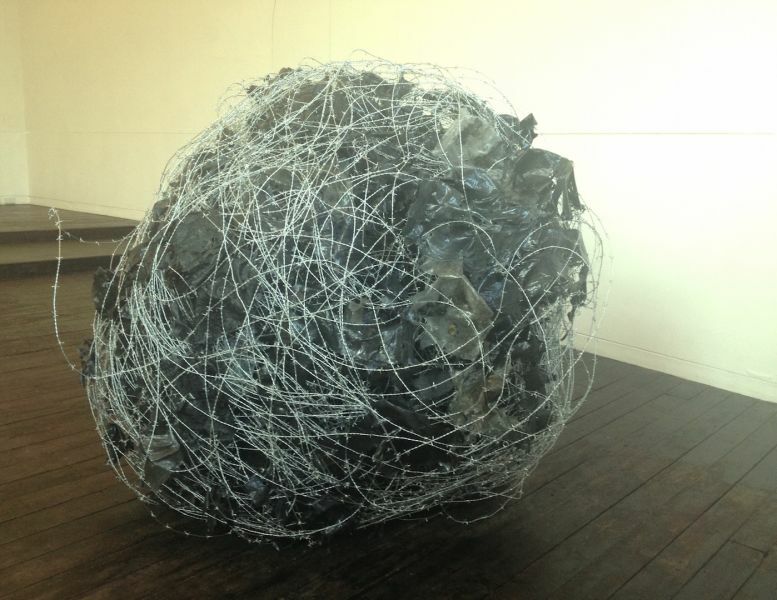 For this reason a big anniversary exhibition is shown in their premises from 1 October. 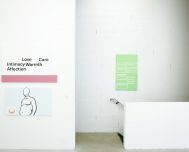 The exhibition “Human Nature. 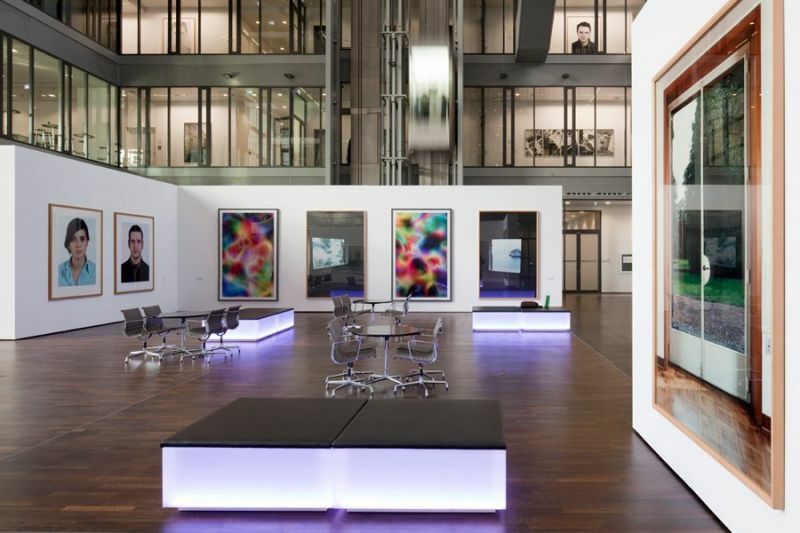 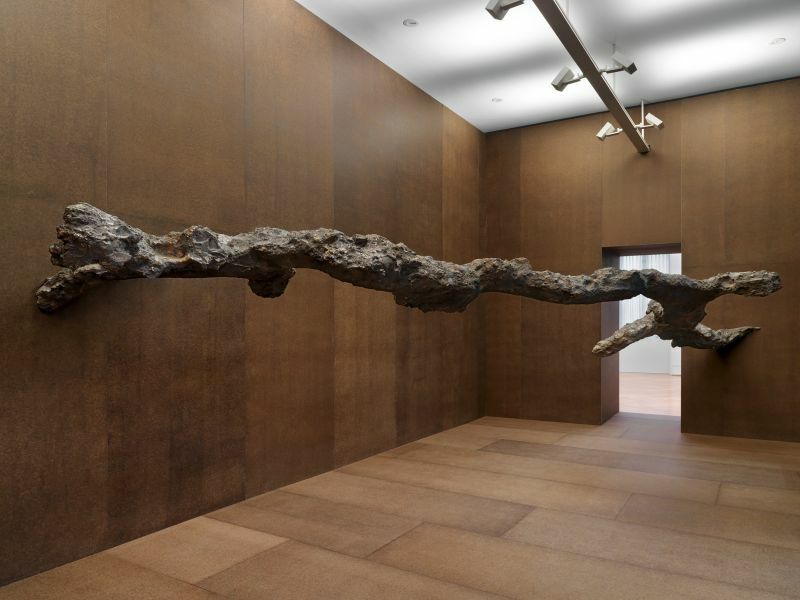 15 years of Art Collection Deutsche Börse ” will present around 125 works by 24 artists of the collection. 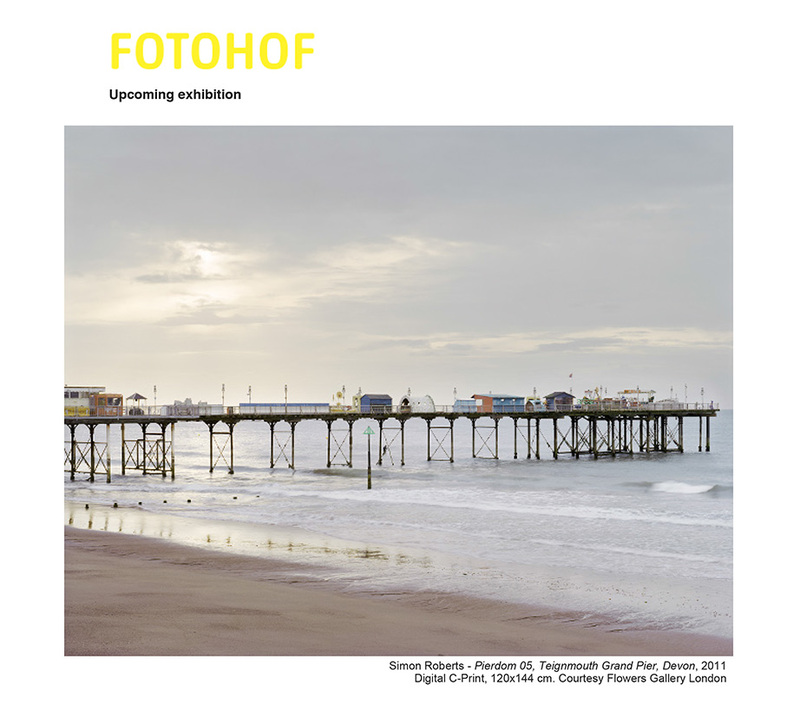 The show will tour to the NRW-Forum in Düsseldorf end of January and thus be shown in a great public exhibition space as part of the Düsseldorf Photo Weekend and until April. 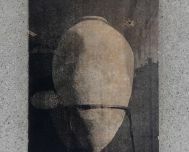 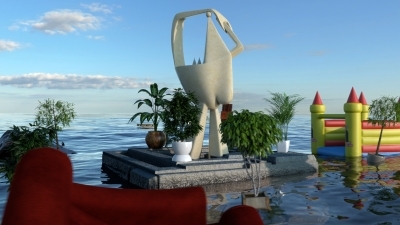 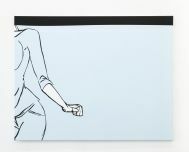 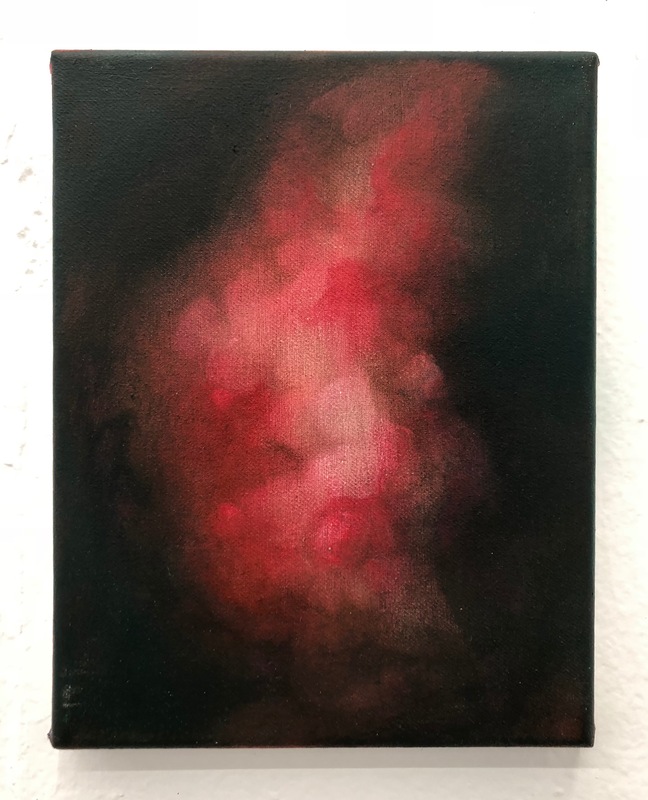 Thibault Brunet currently shows some of his work at the collective exhibition La Belle Echappée, curated by Hélène Lallier and Barbara Polla at the Château des Adhémar in Montélimar (France). 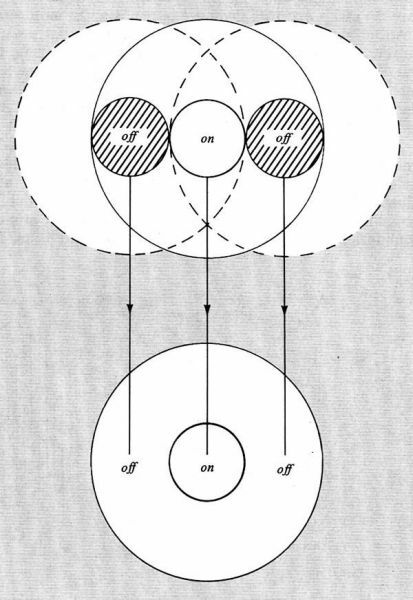 What Are The Sections Sections Of?